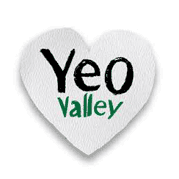 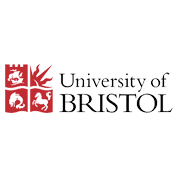 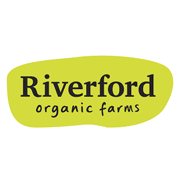 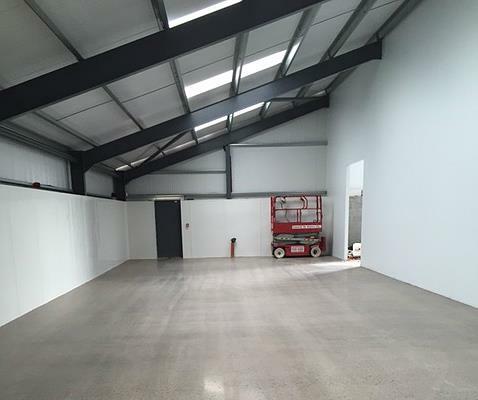 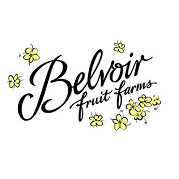 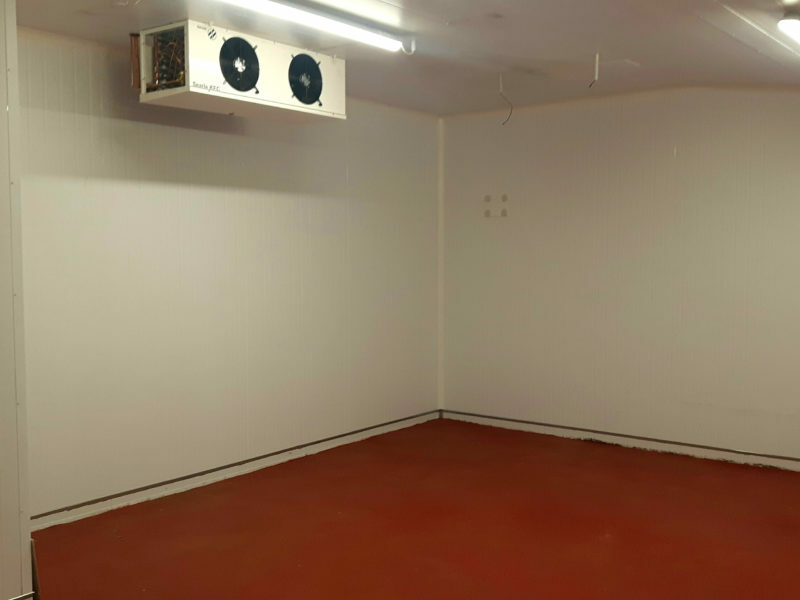 An urgent requirement for a fit out of an existing farm building which will be used as a retail and wholesale store for exotic animals and fish. 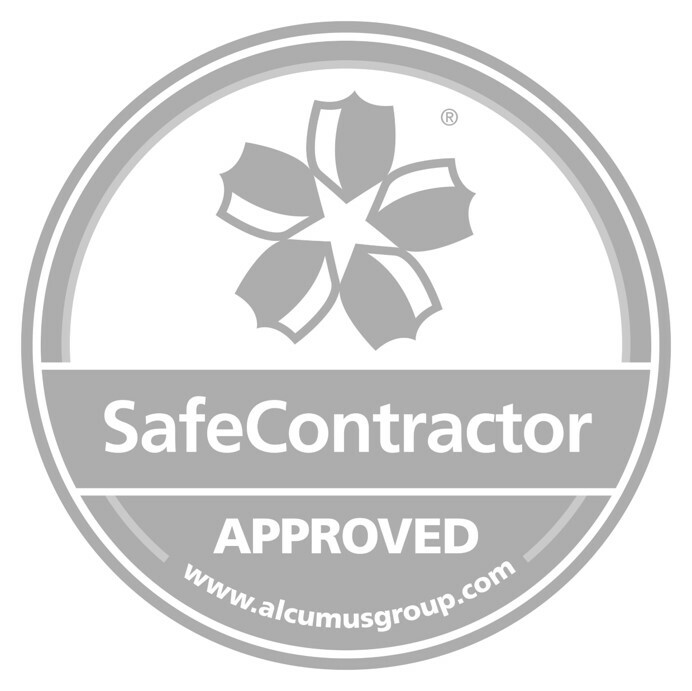 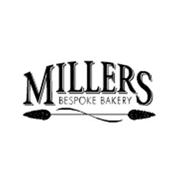 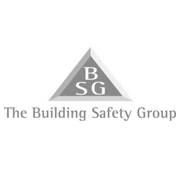 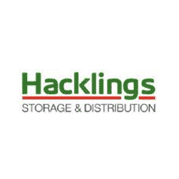 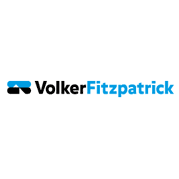 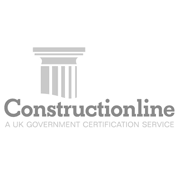 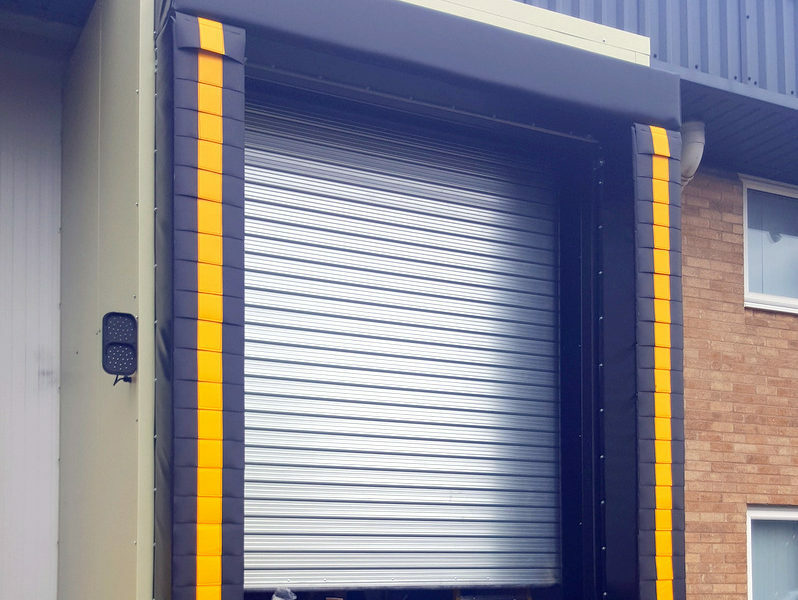 With a requirement to have us on site within two weeks of the order being placed, the client was also looking for a competitive option to achieve a low U value. 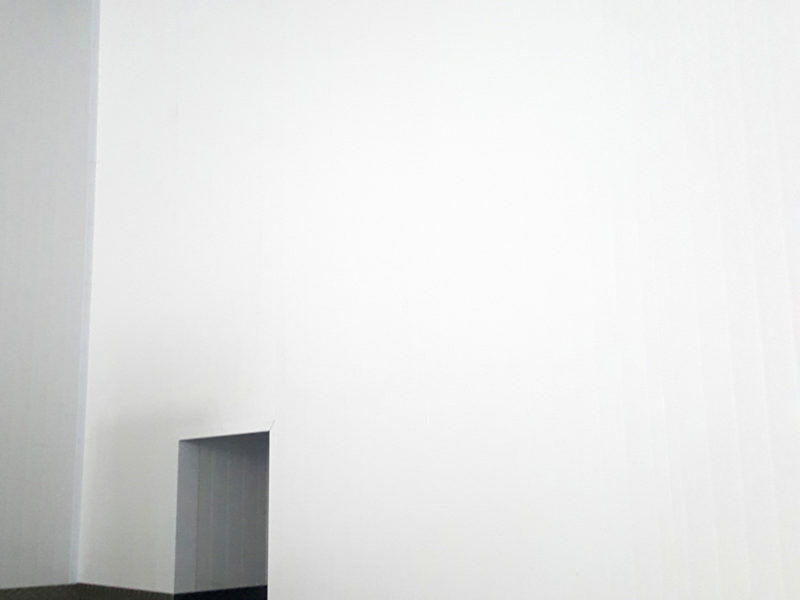 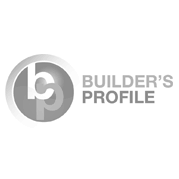 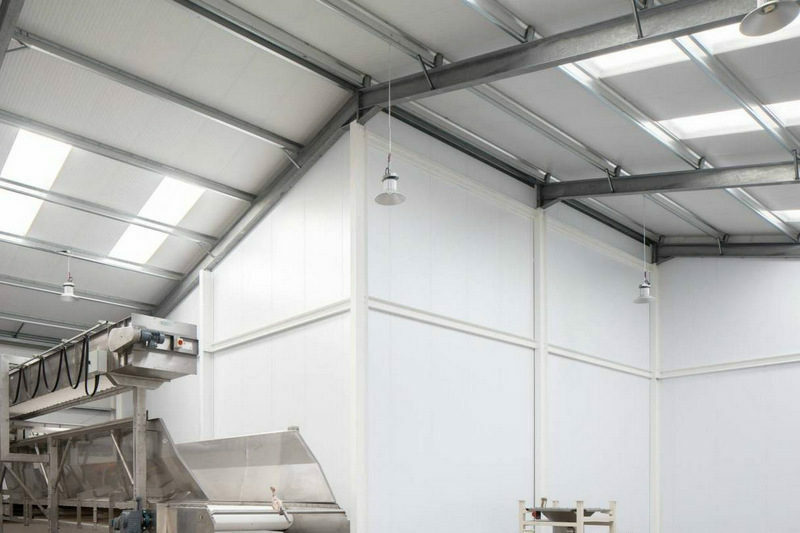 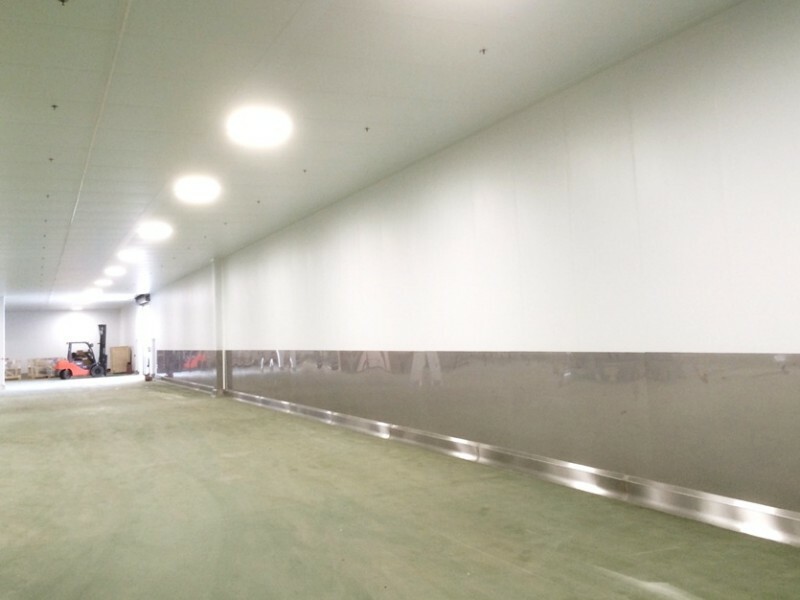 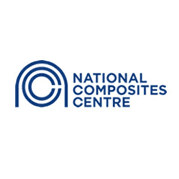 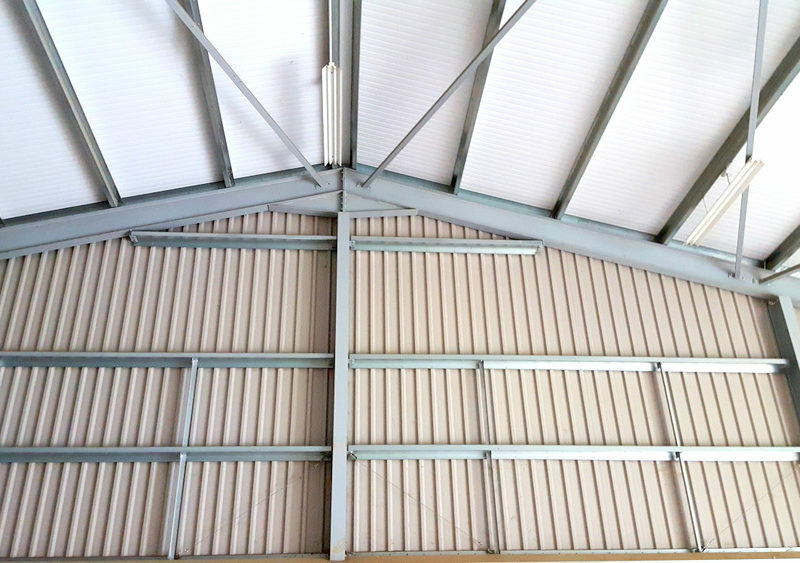 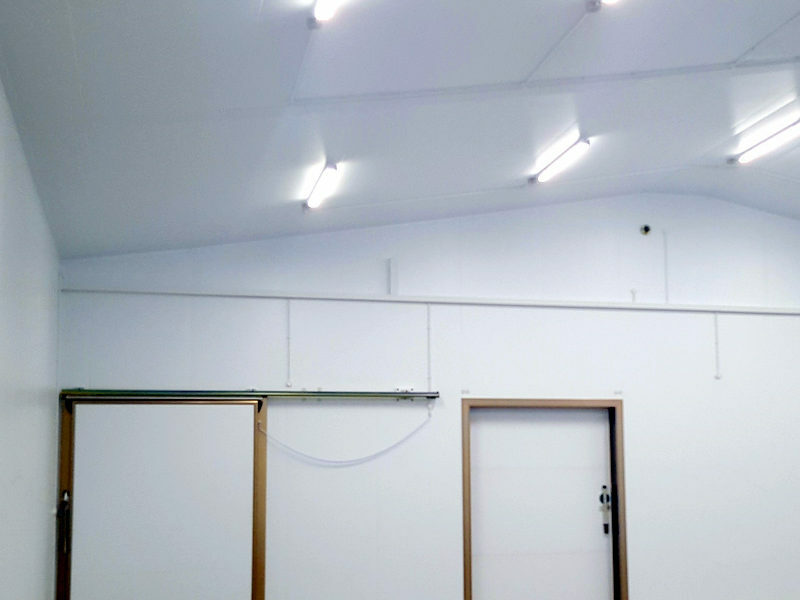 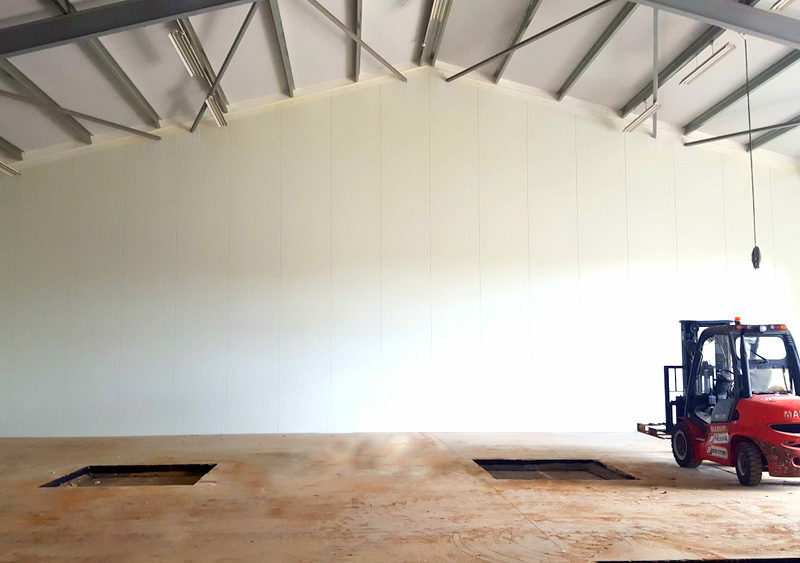 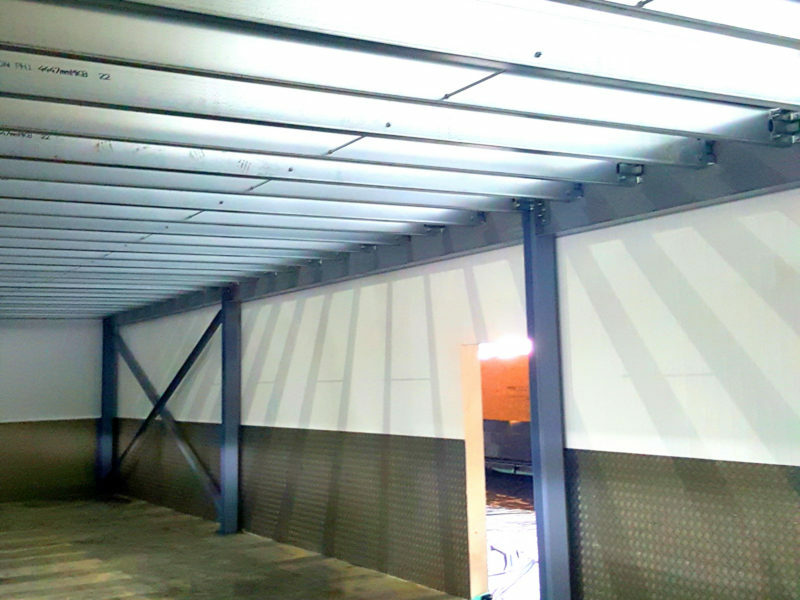 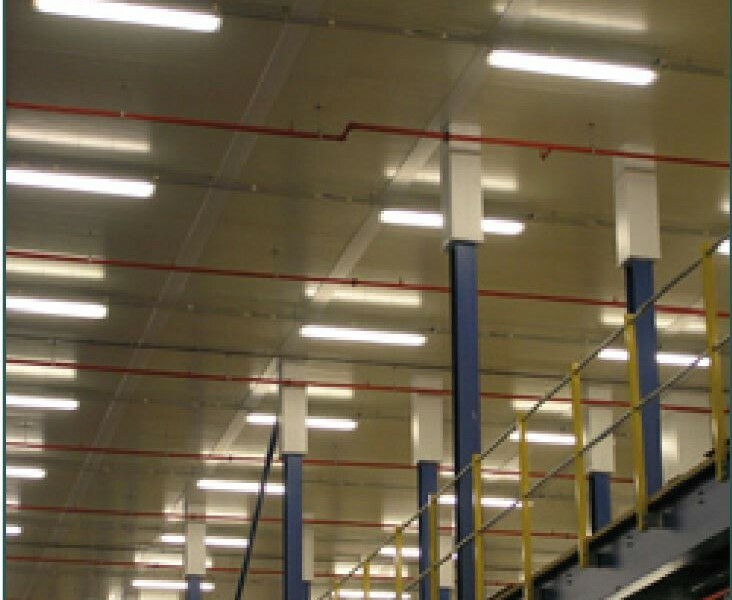 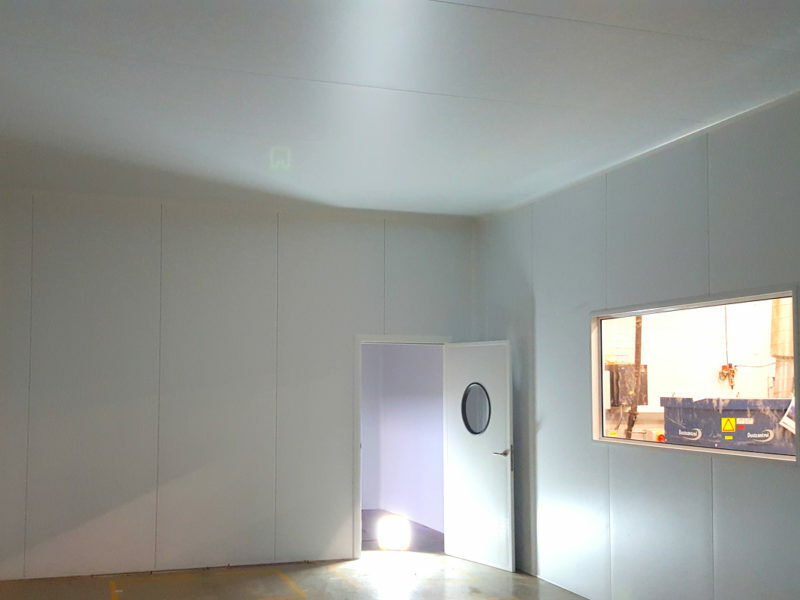 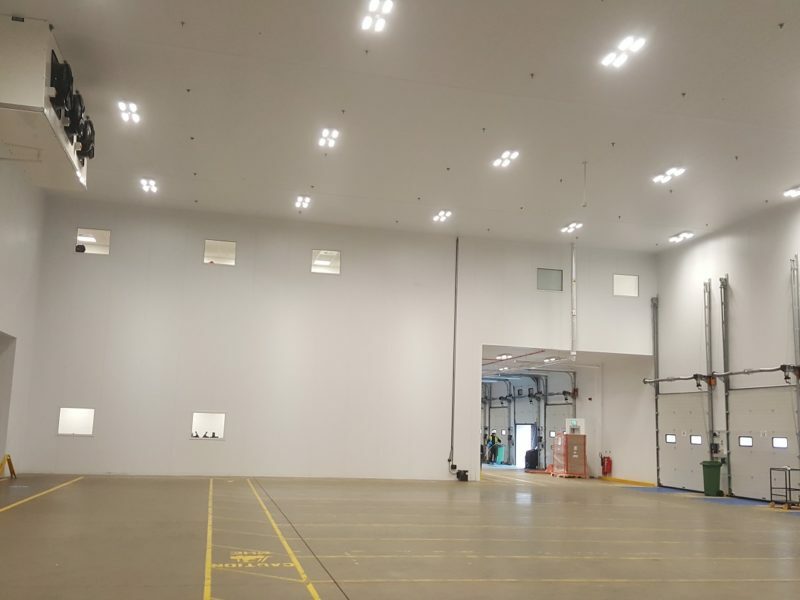 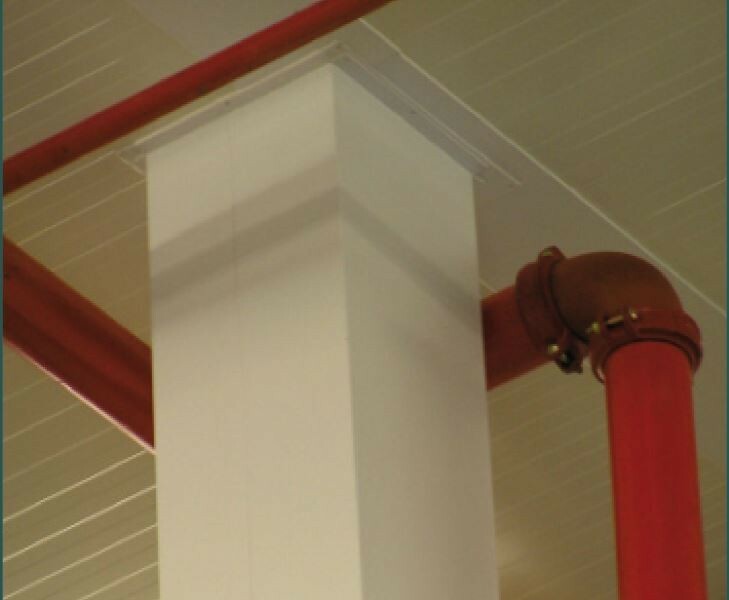 The short lead time, which included design drawings and pre-installation visits, led us to recommend the use of PIR panels for installation in the two-storey pre-cast concrete building. 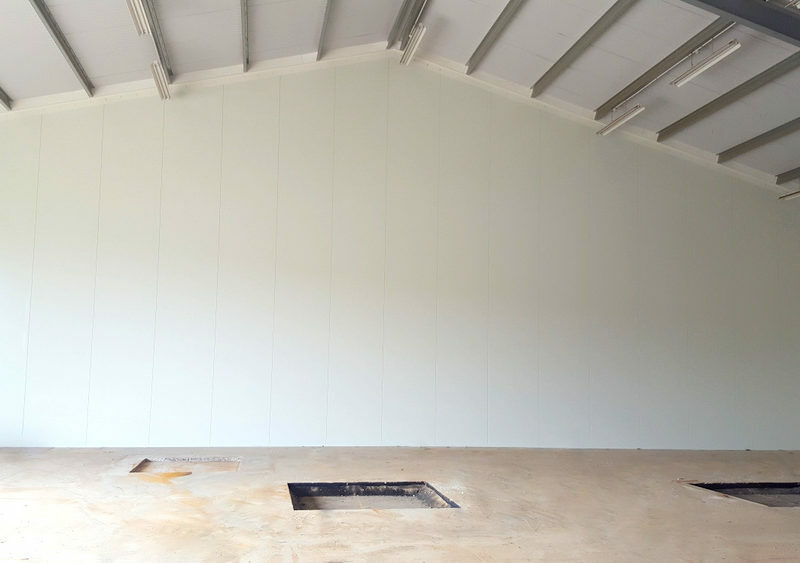 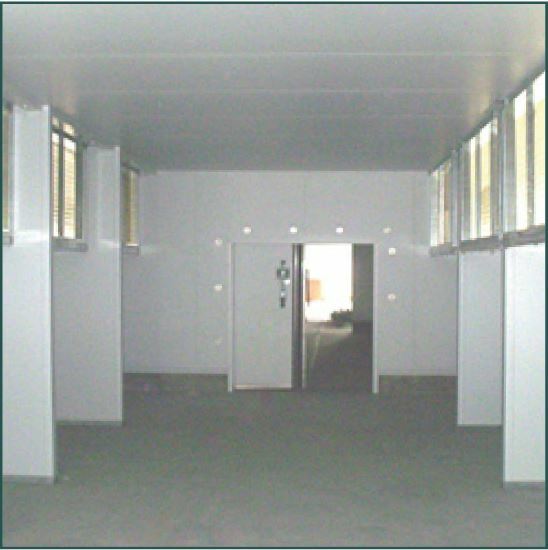 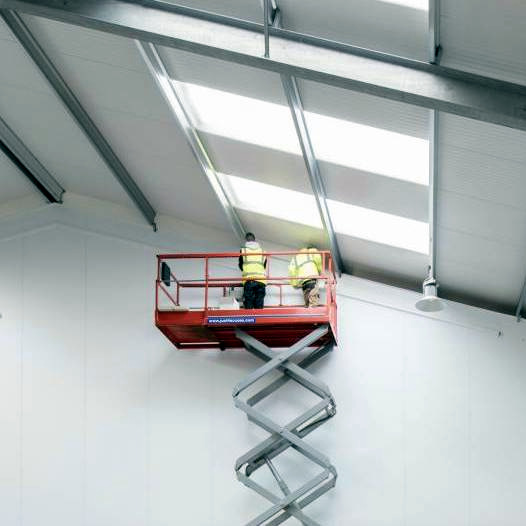 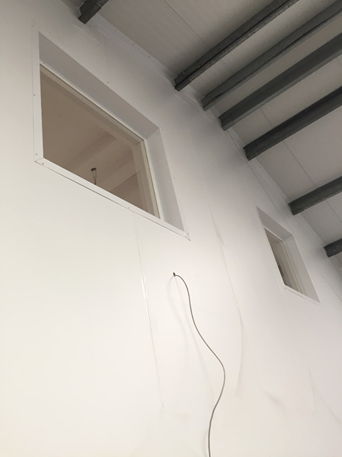 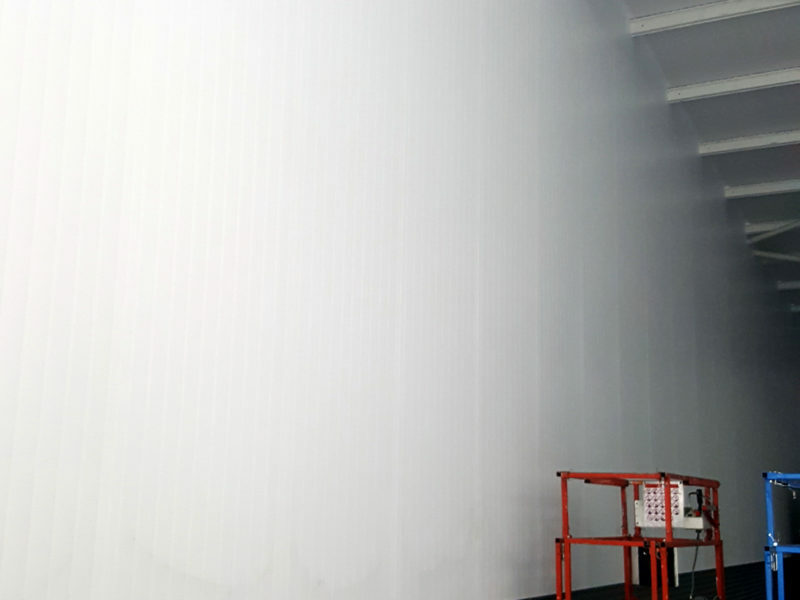 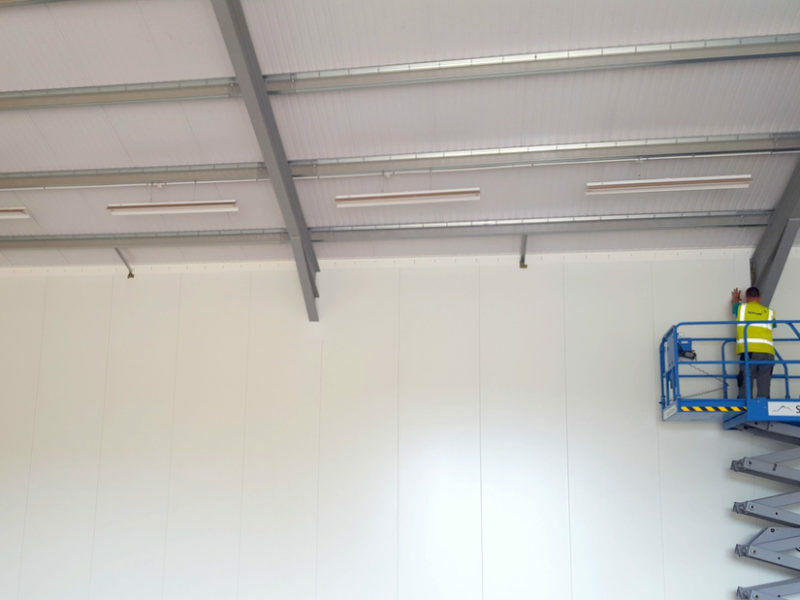 The panels are finished with a white cleanable polyester finish to ensure the building meets hygiene requirements. 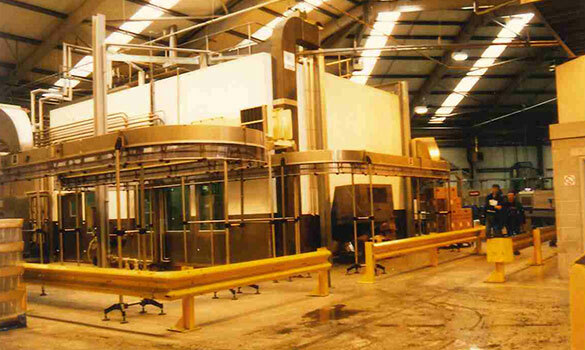 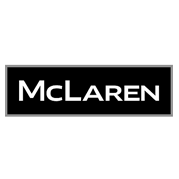 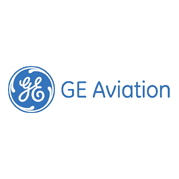 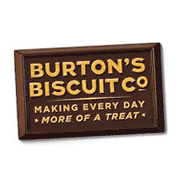 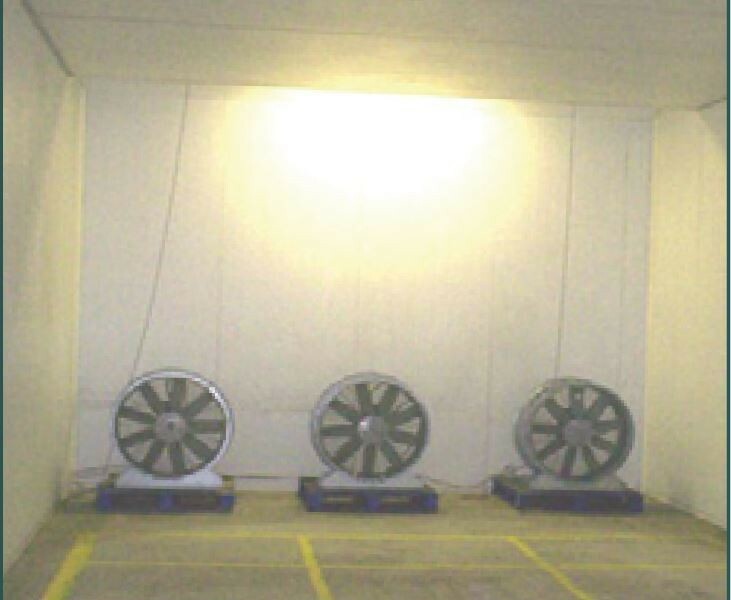 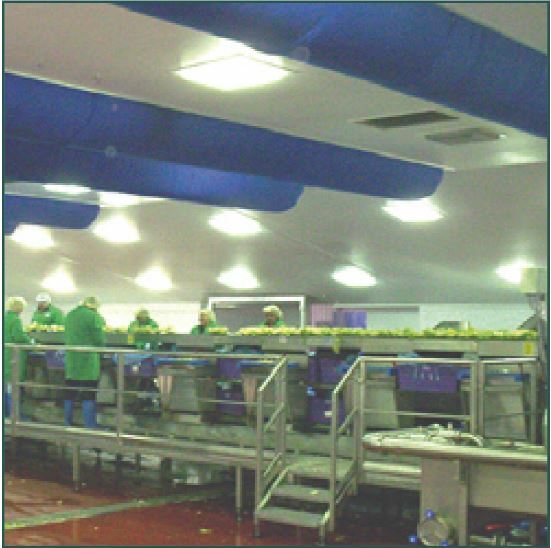 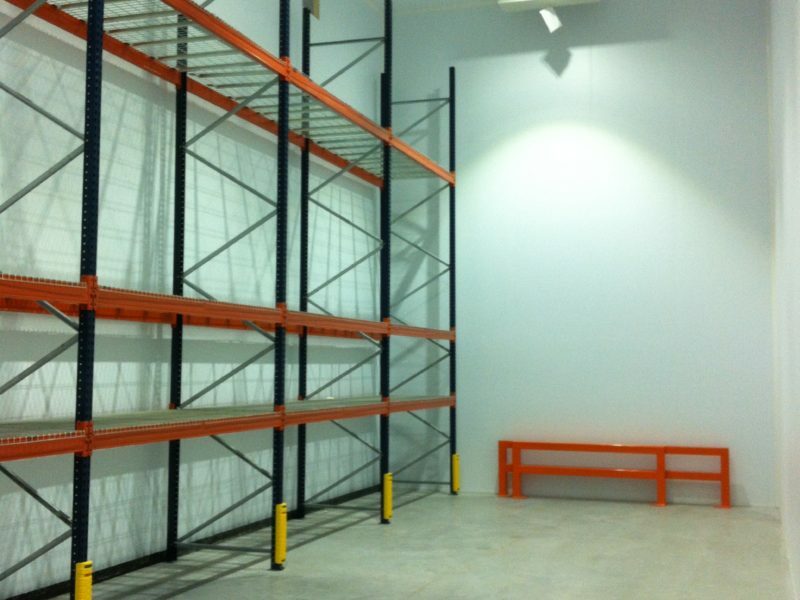 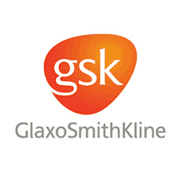 We completed the job within the challenging time frame thanks to our excellent product knowledge. 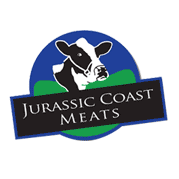 Really quick turnaround, I was very impressed. 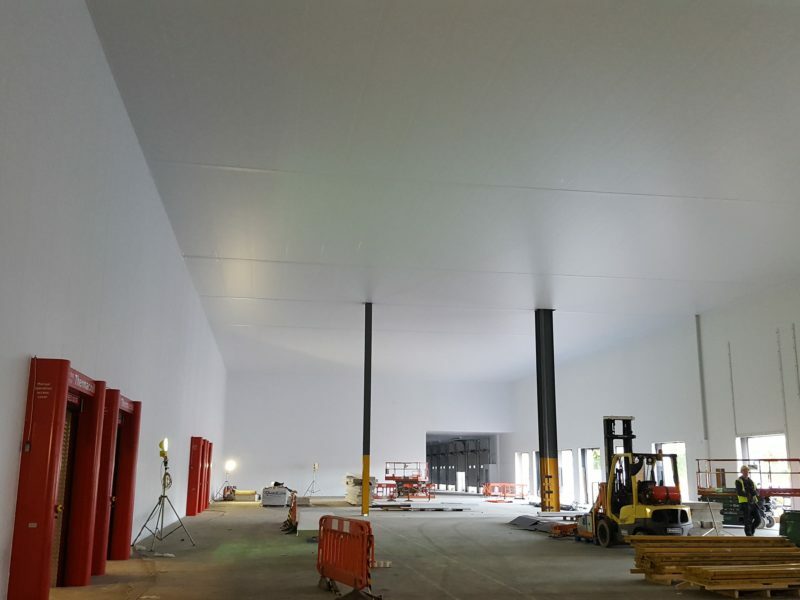 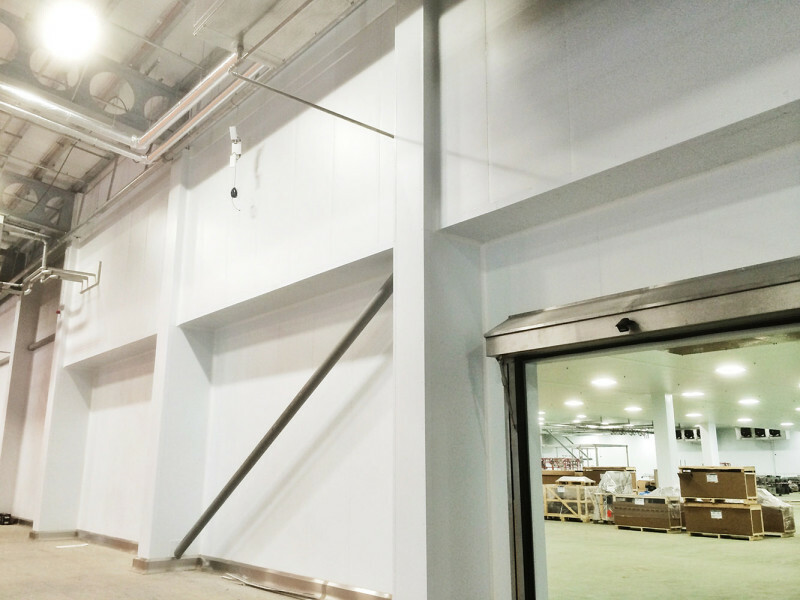 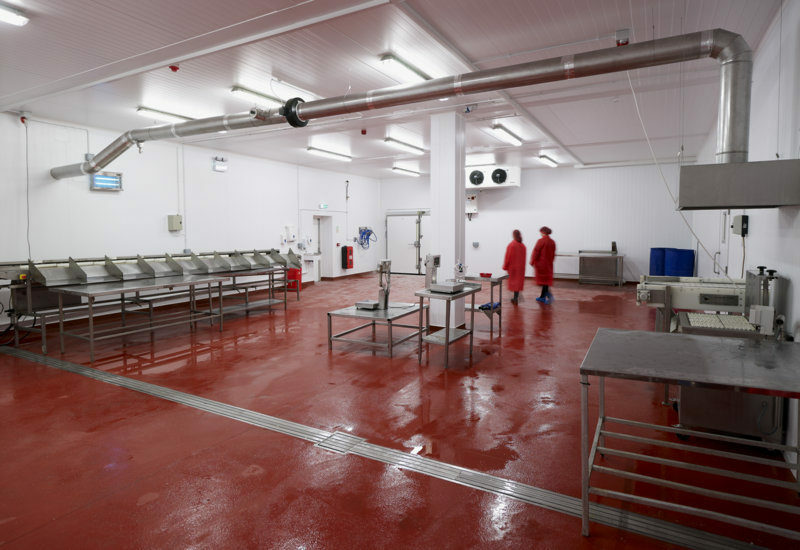 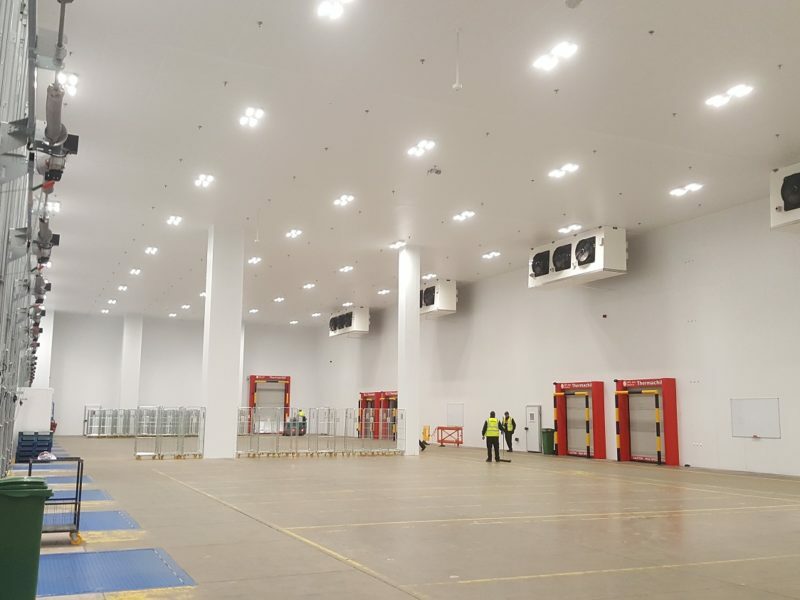 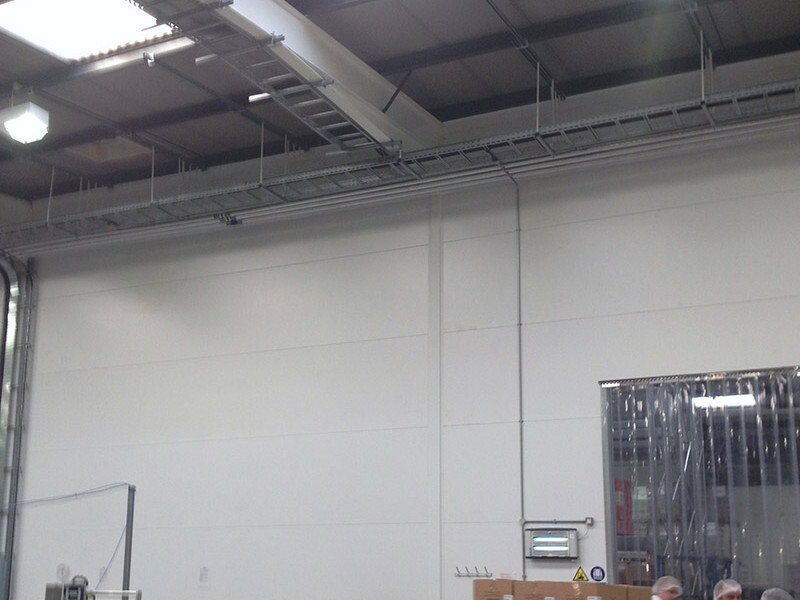 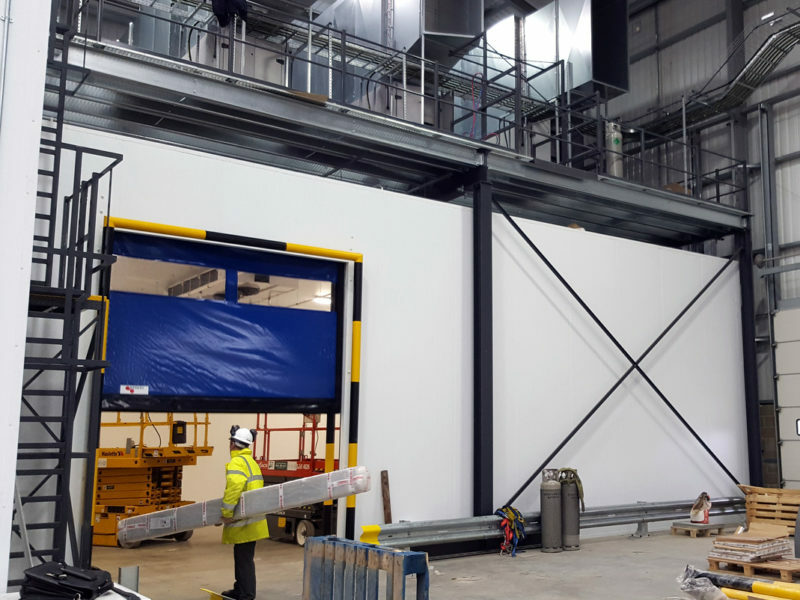 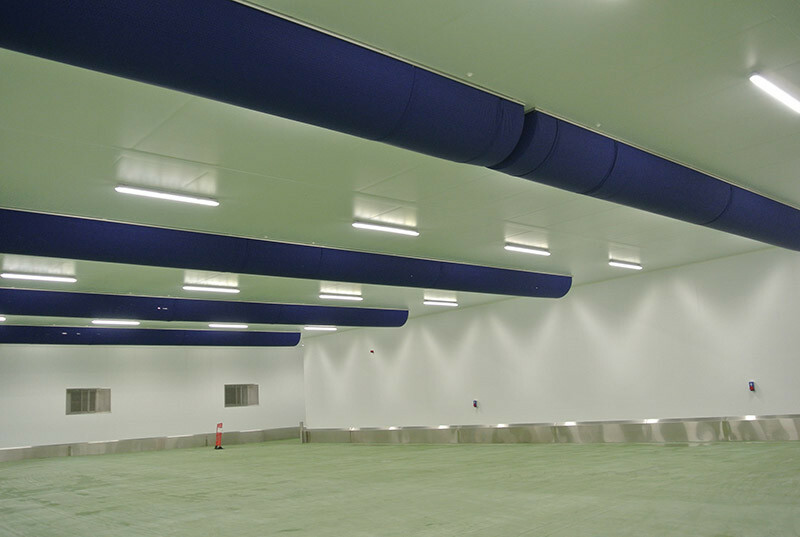 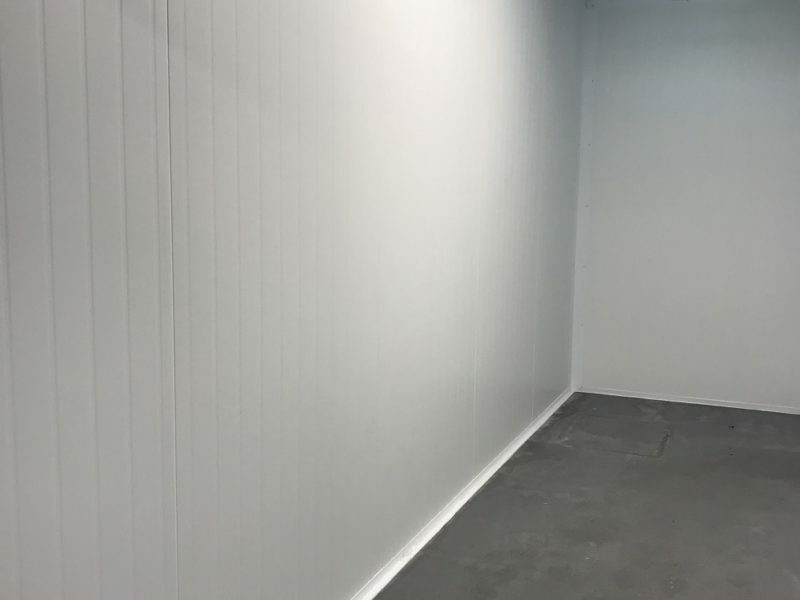 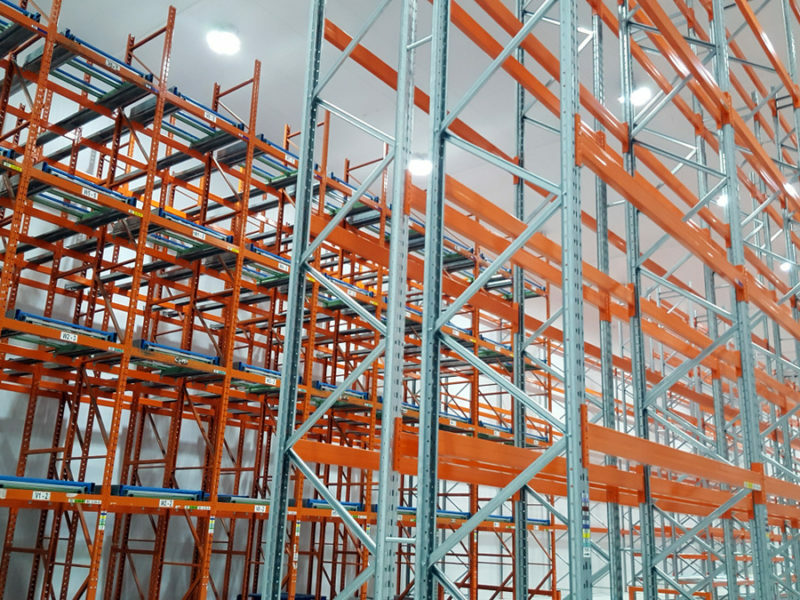 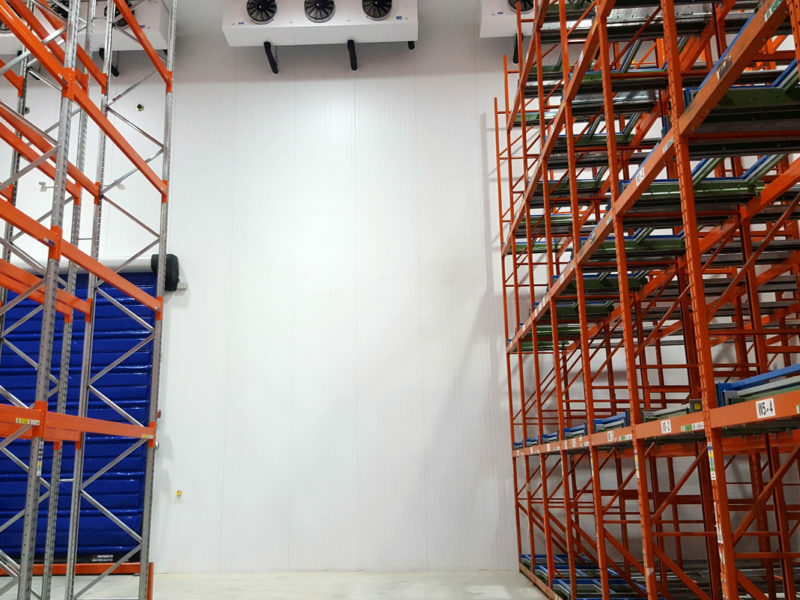 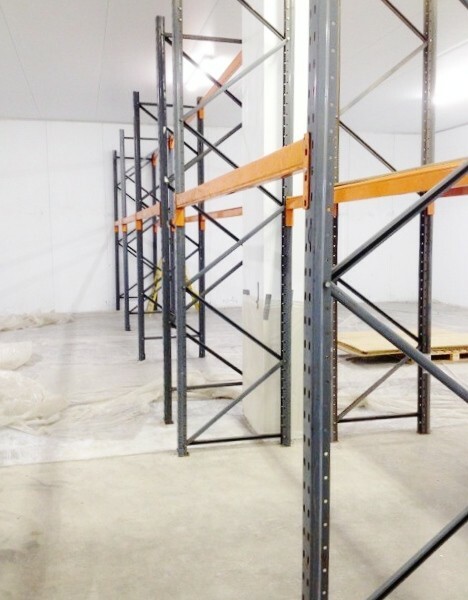 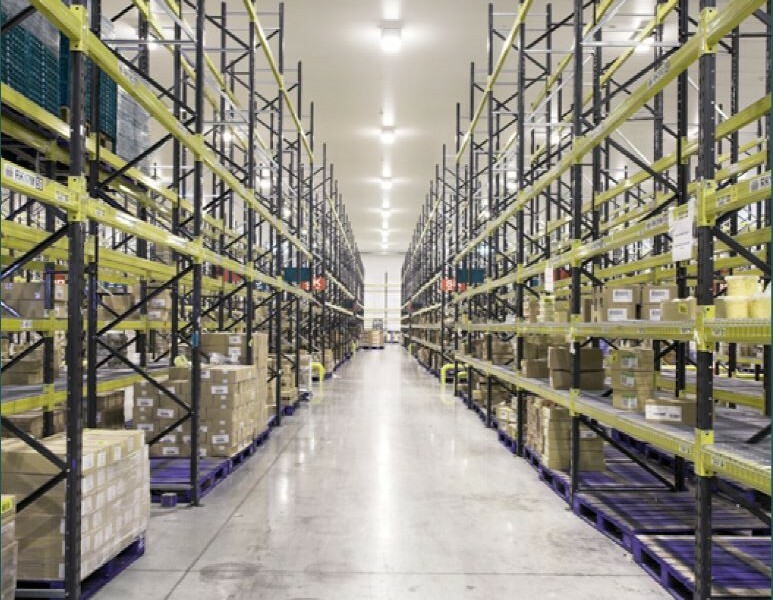 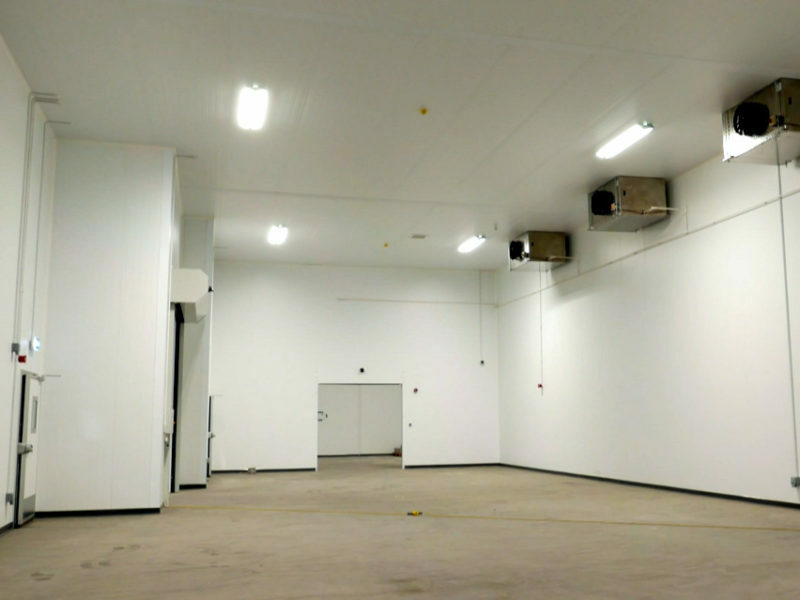 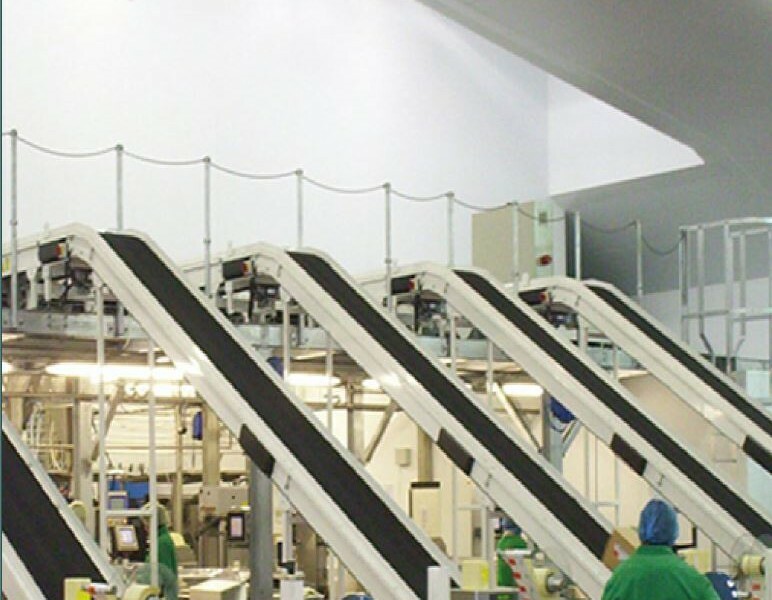 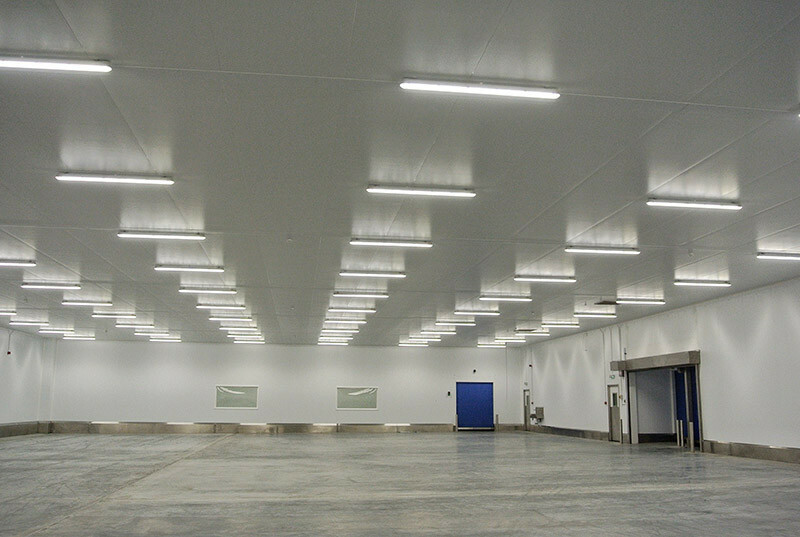 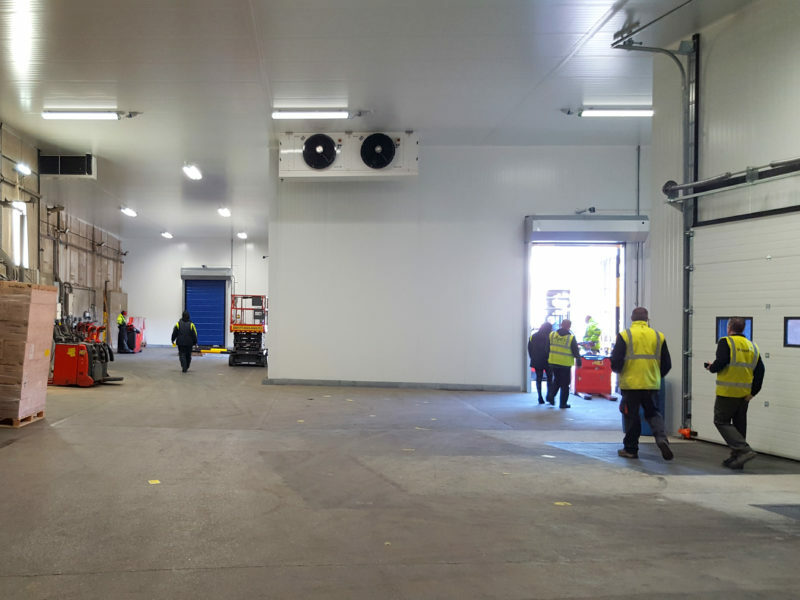 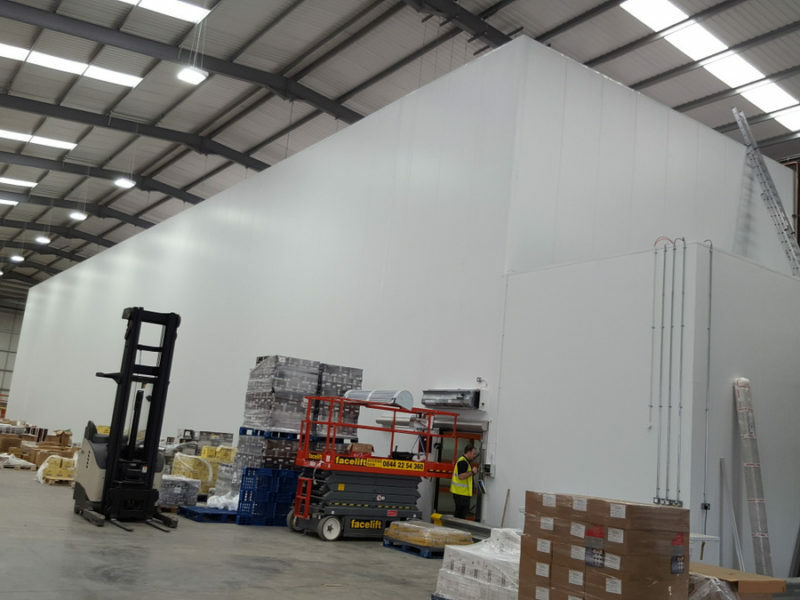 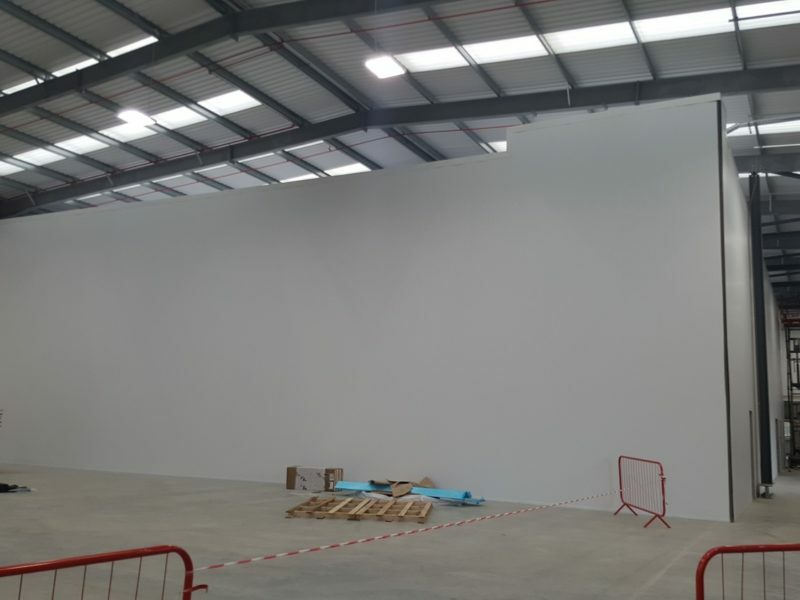 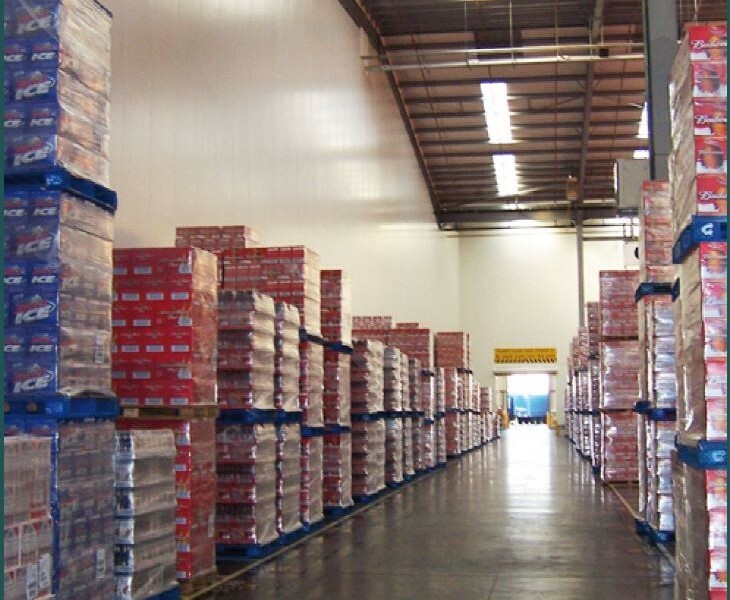 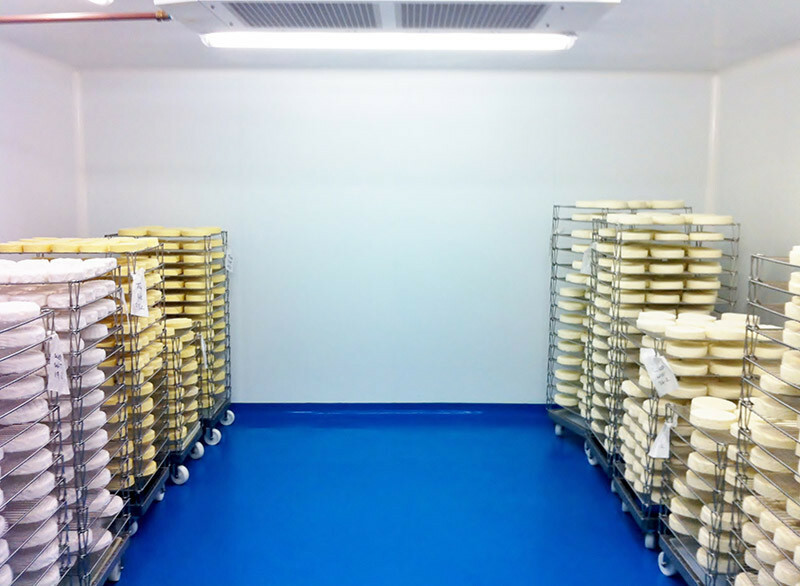 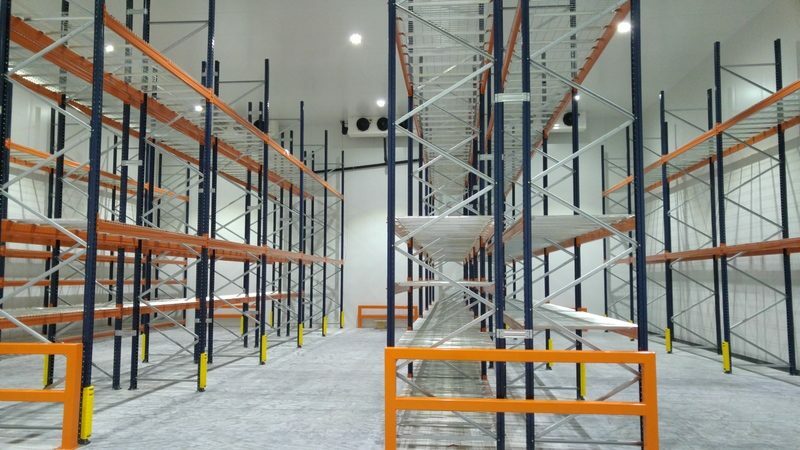 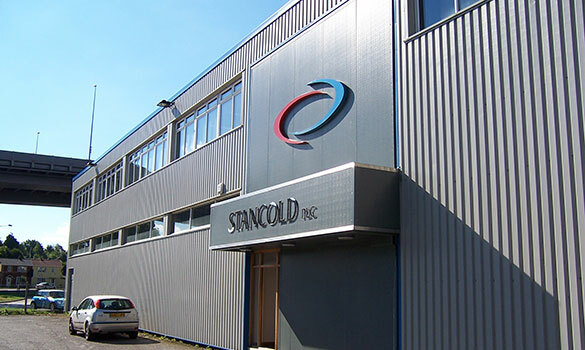 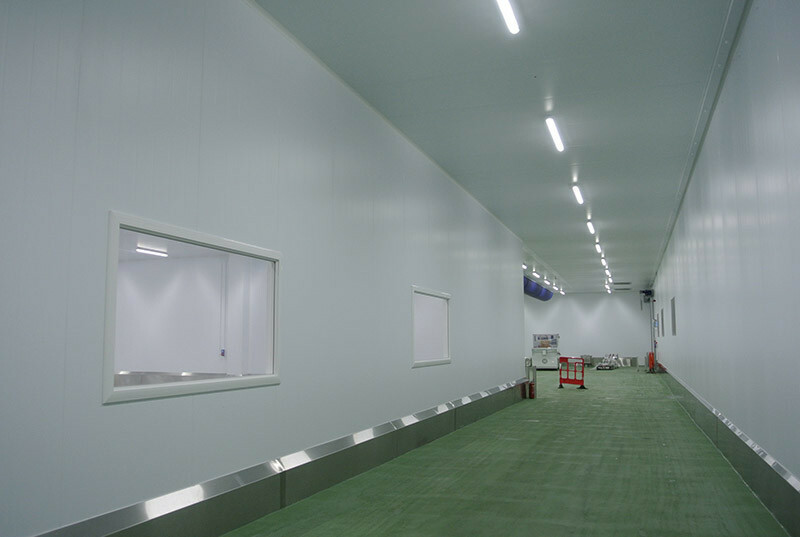 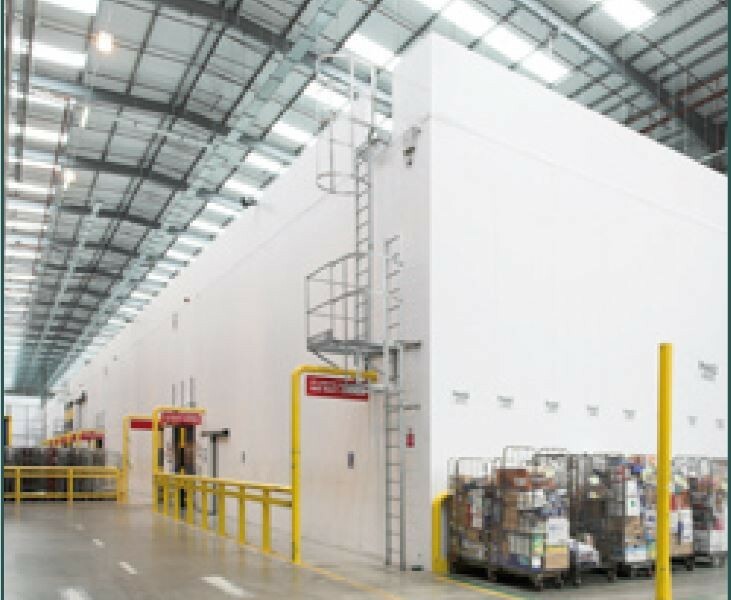 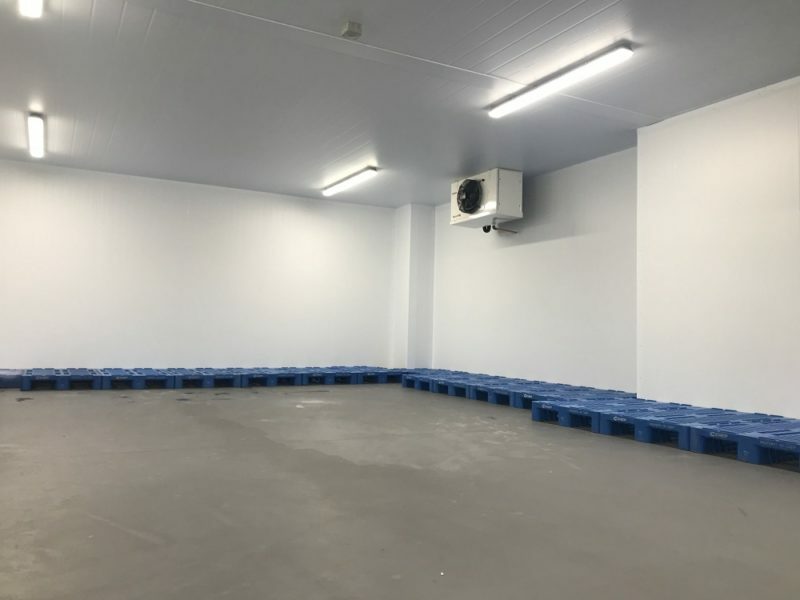 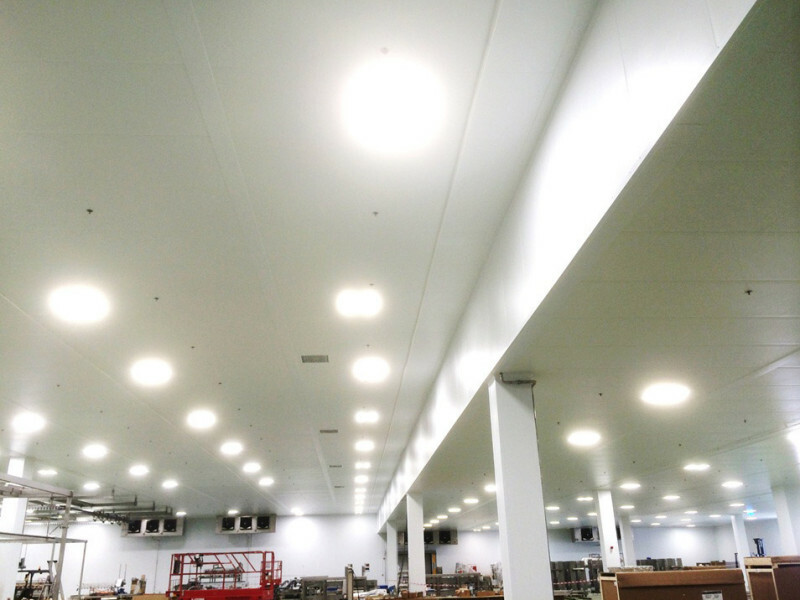 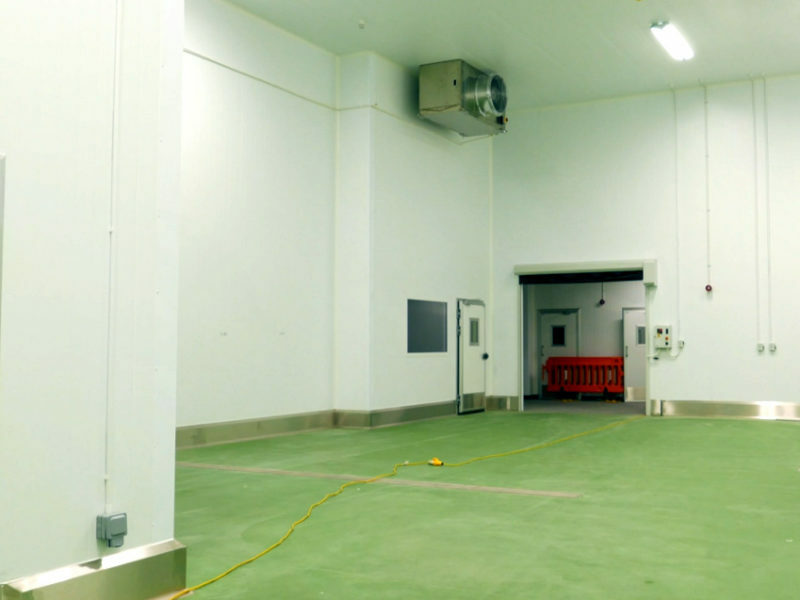 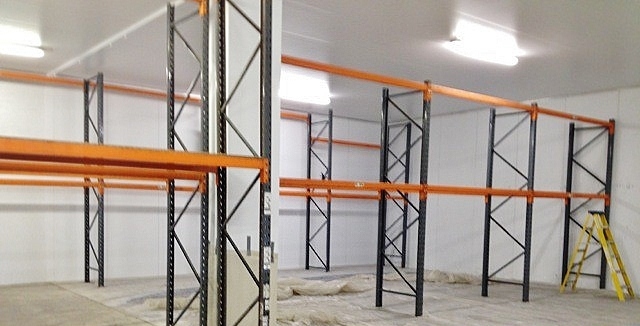 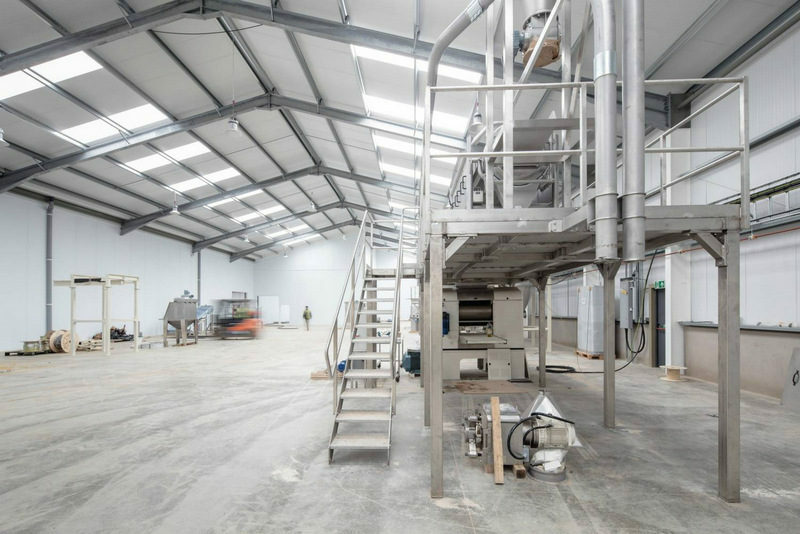 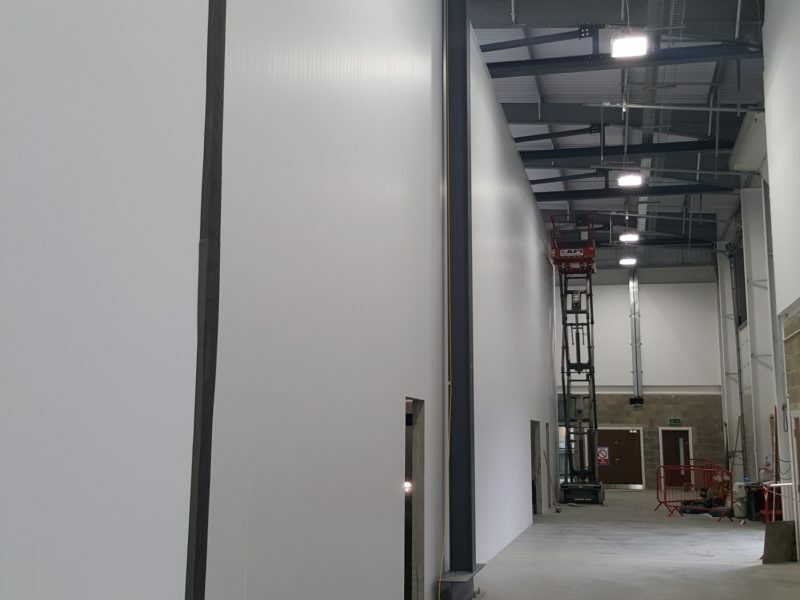 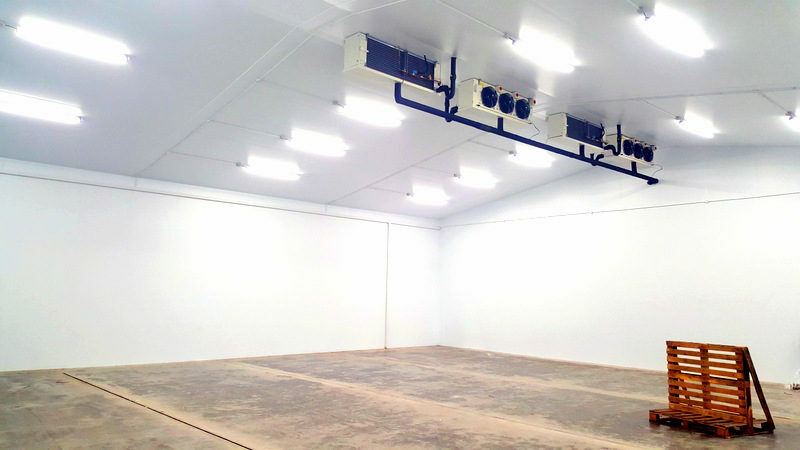 In order to produce a new product range for a national supermarket, the Pro Pak factory needed a full renovation and Stancold had been recommended by one of their suppliers to carry out the works. 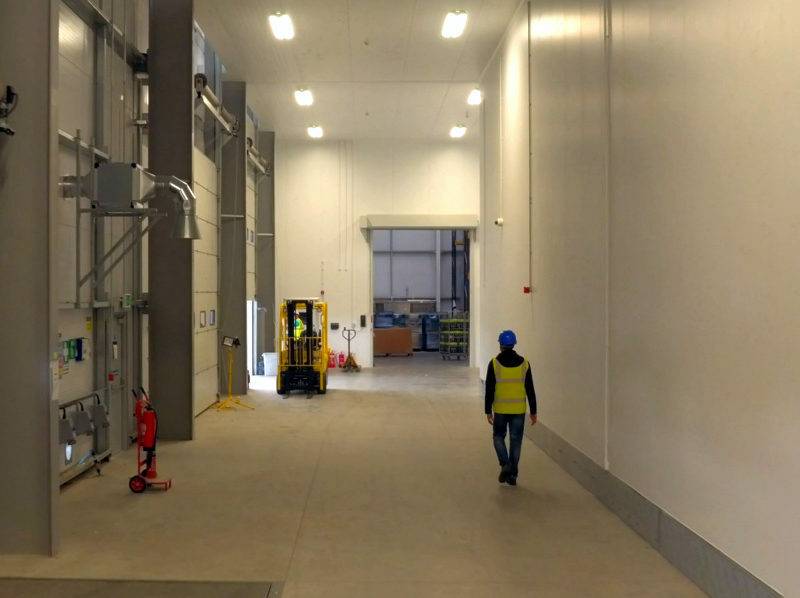 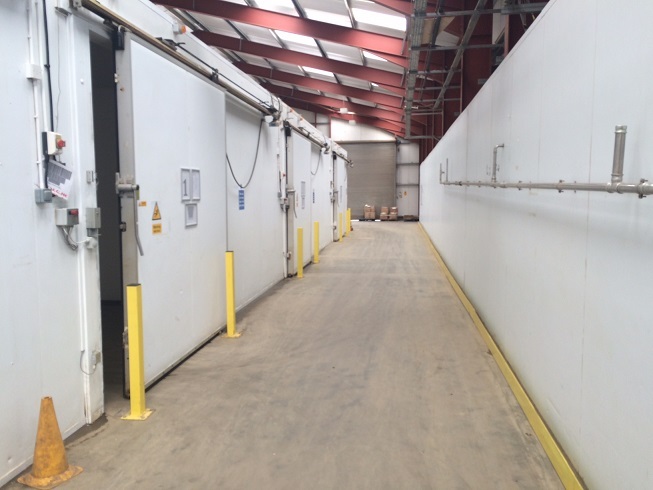 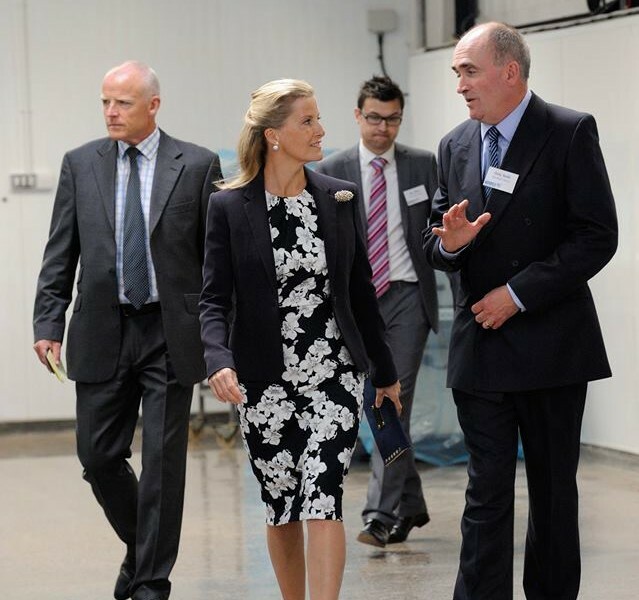 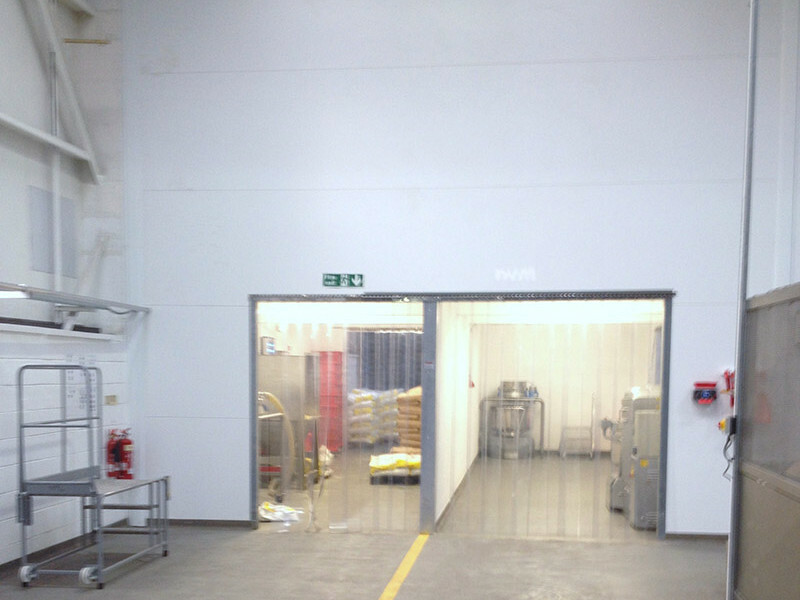 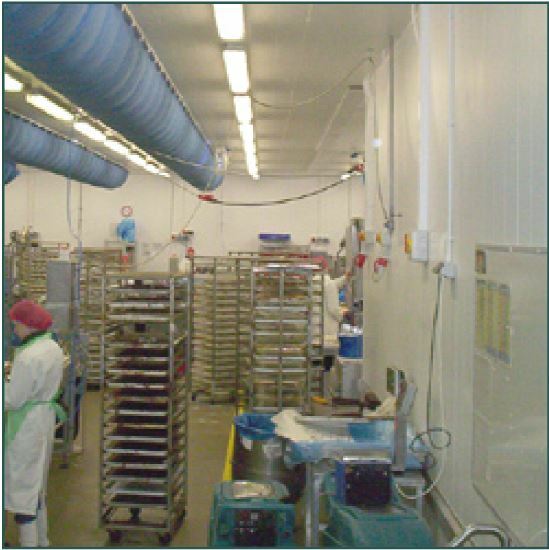 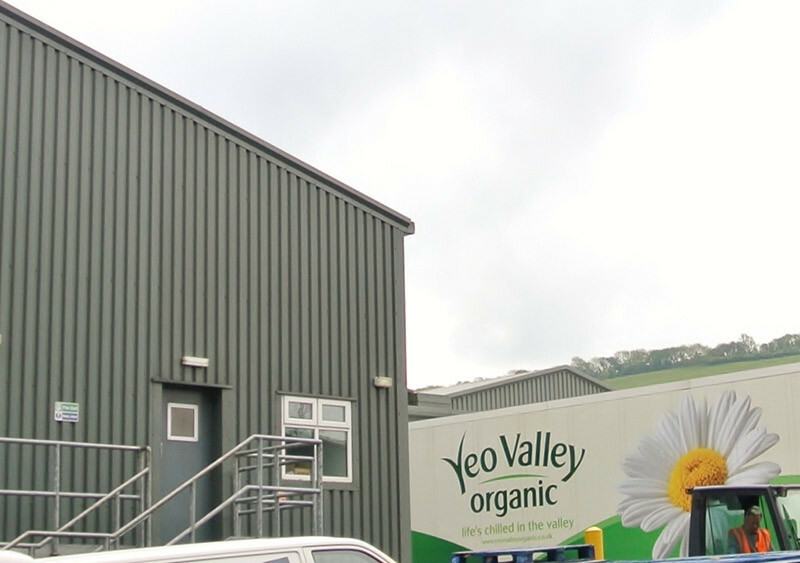 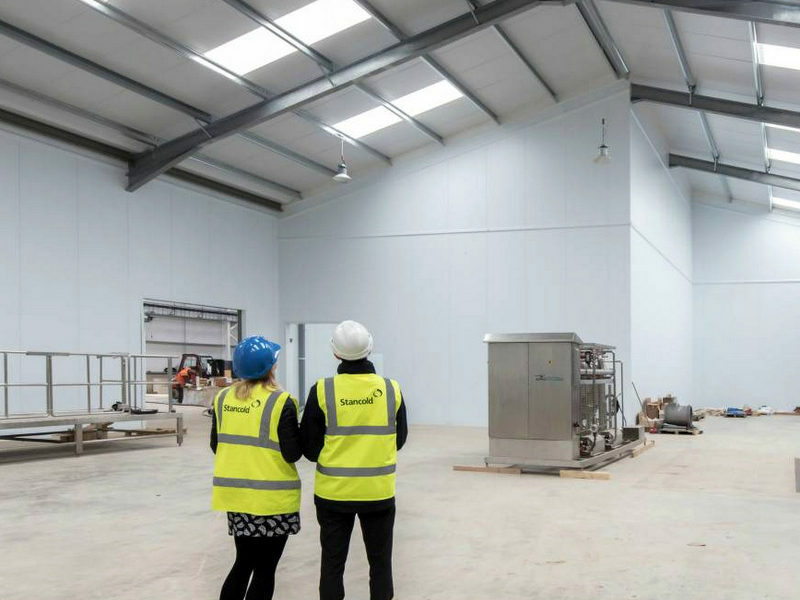 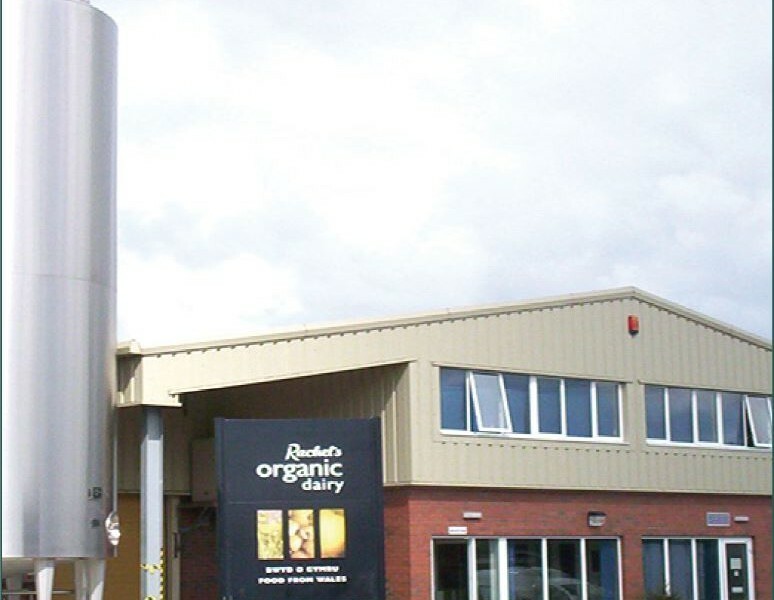 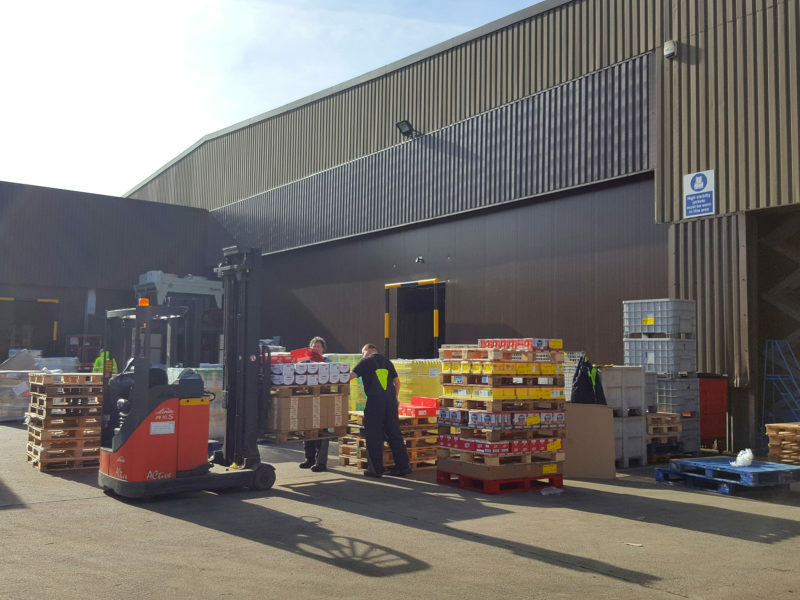 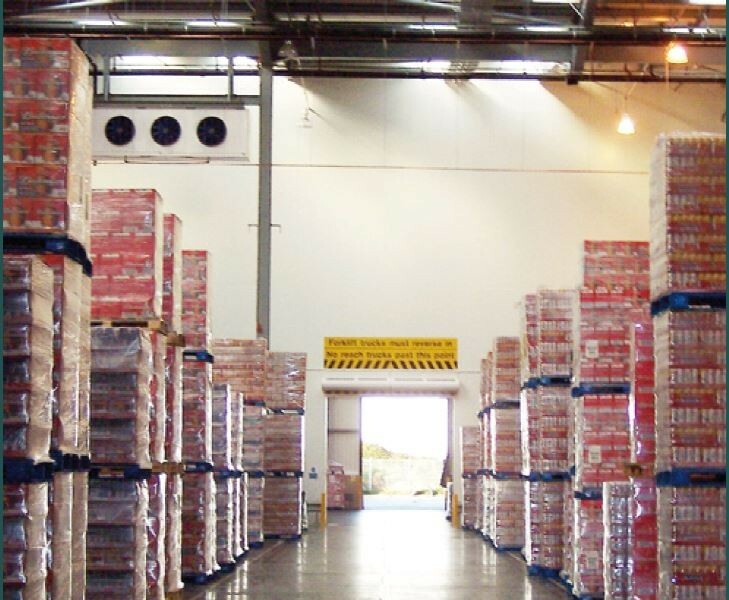 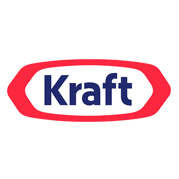 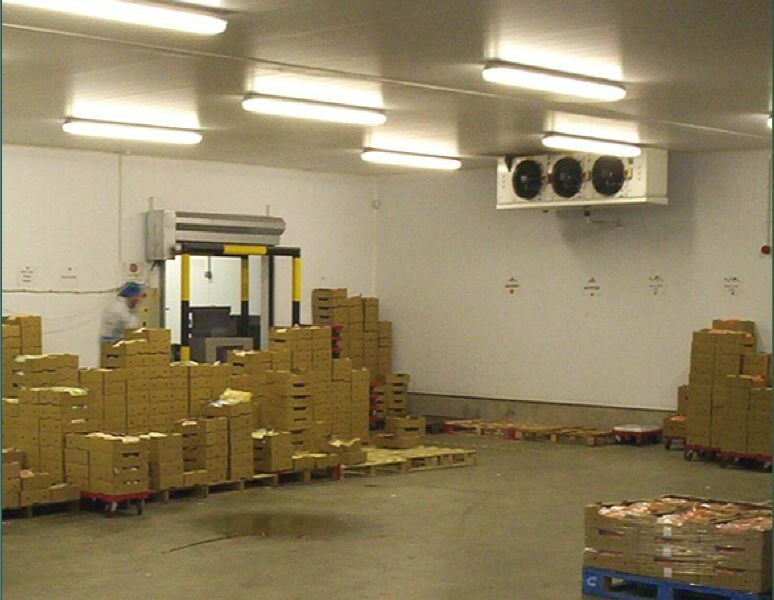 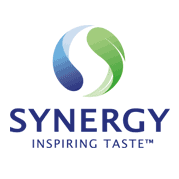 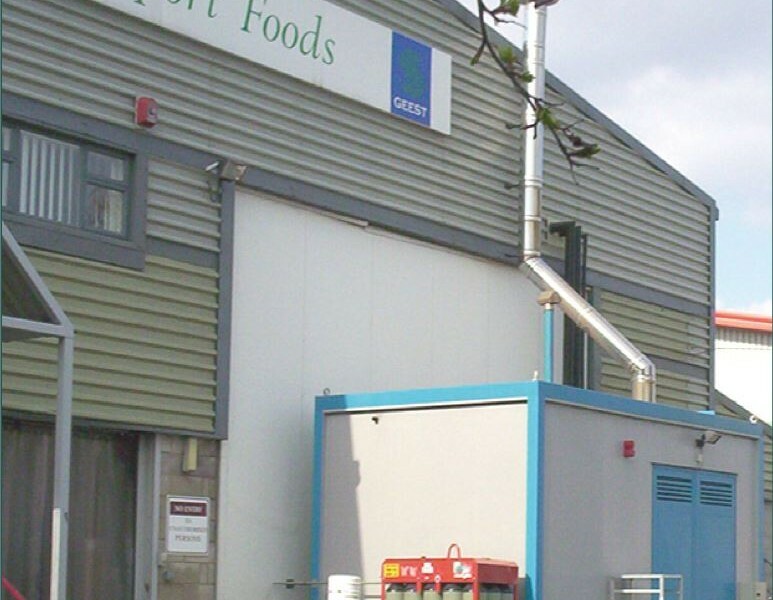 Our team carried out a full survey of the prospective area within their existing ready meal facility, offering budget pricing and feasibility assistance in the initial stages. 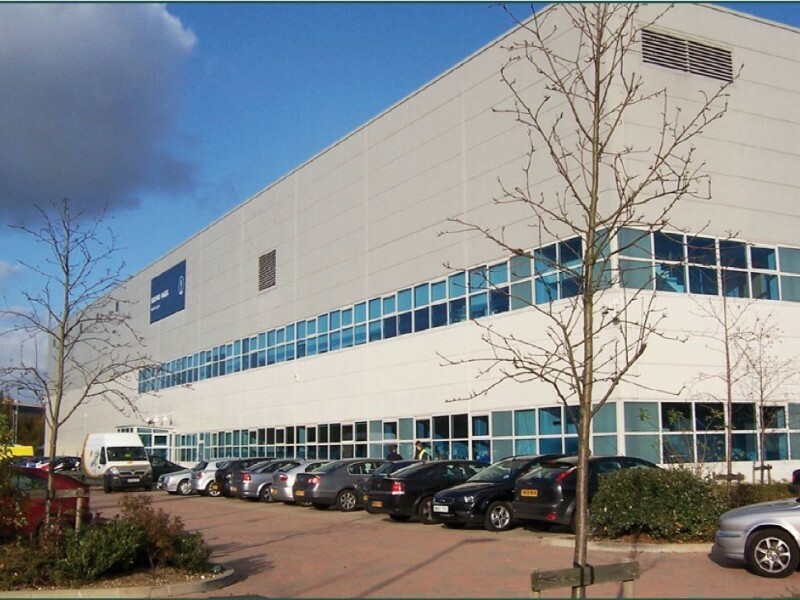 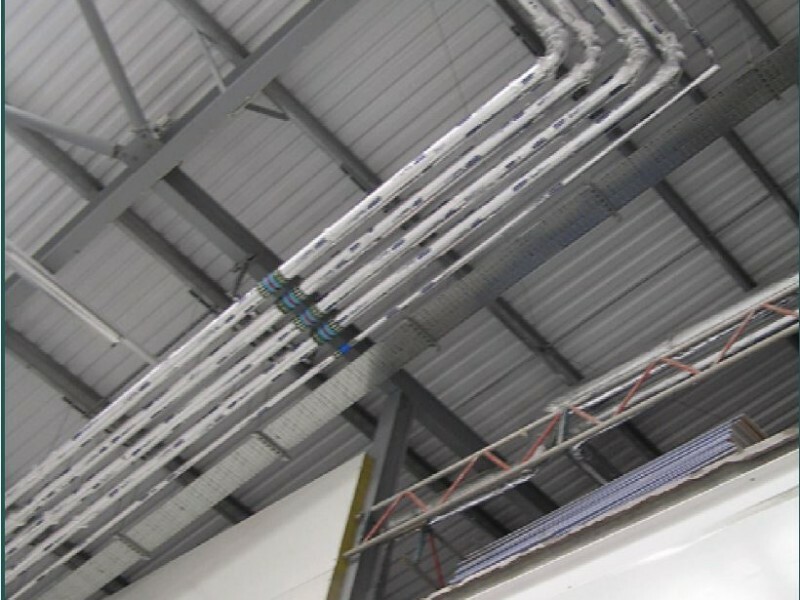 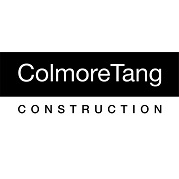 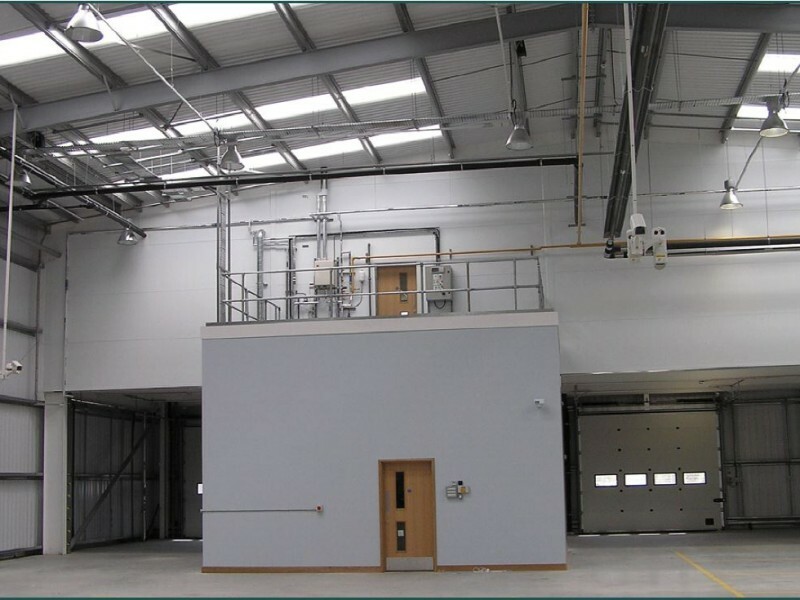 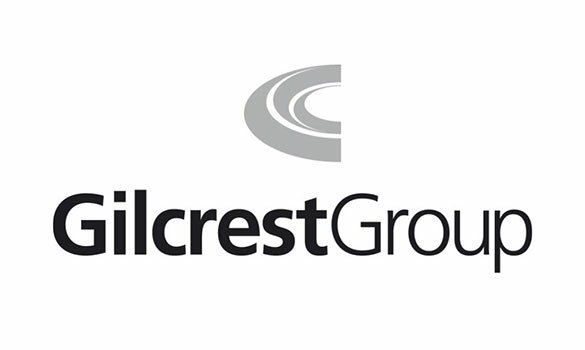 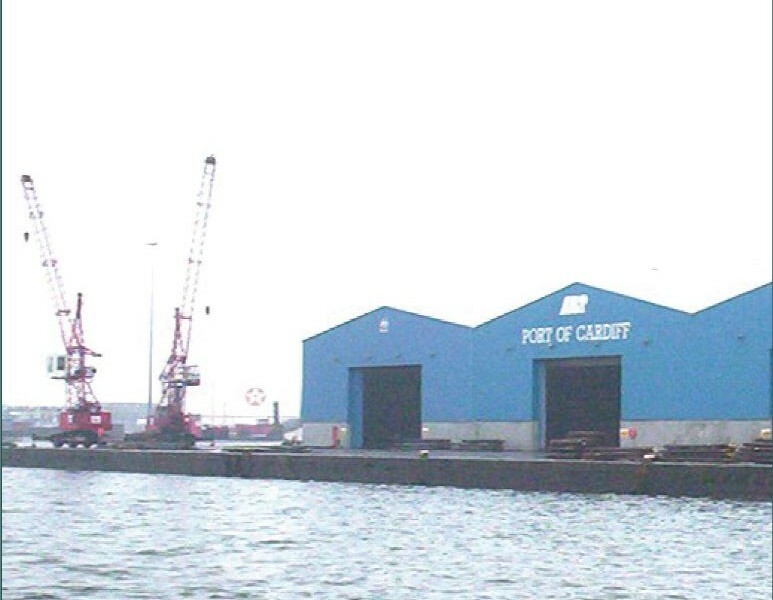 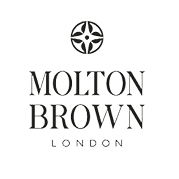 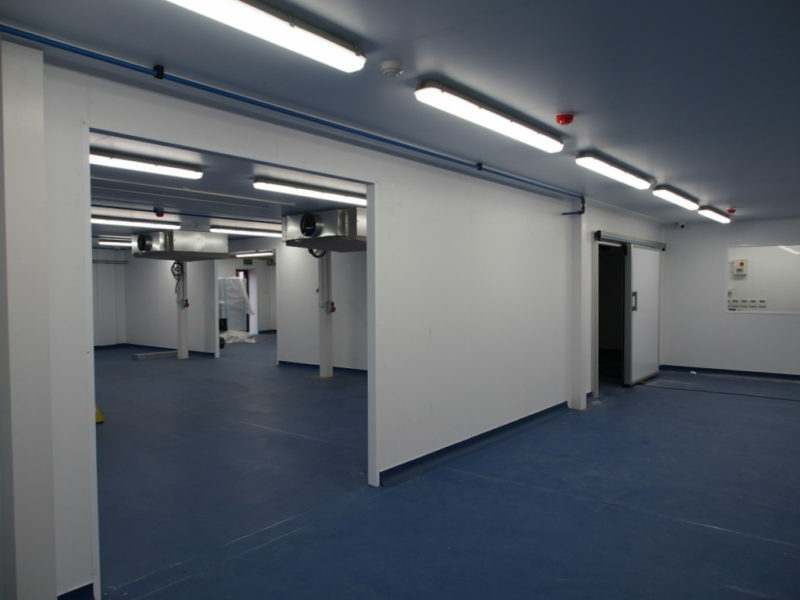 As the scheme developed, we created a programme of works and carried out value engineering assistance to ensure the client received a fit-for-purpose scheme that met their tight budget. 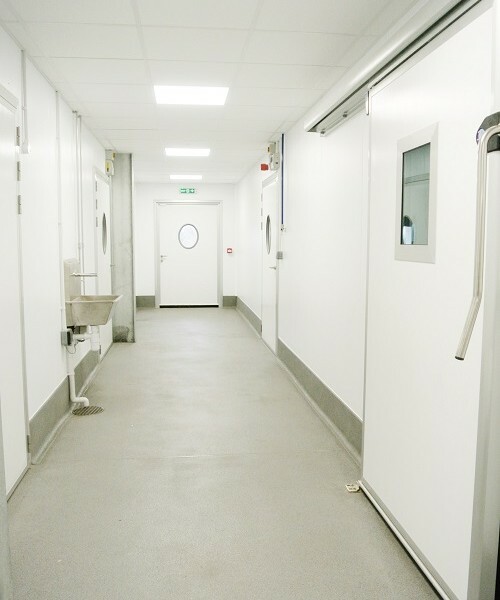 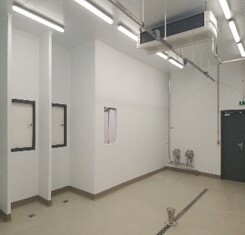 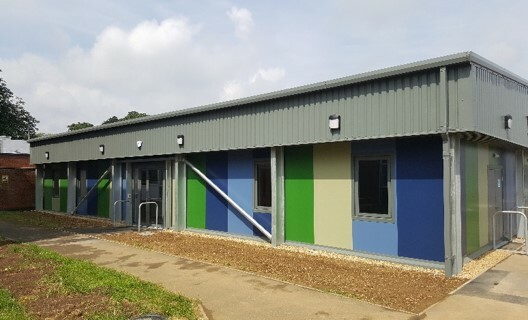 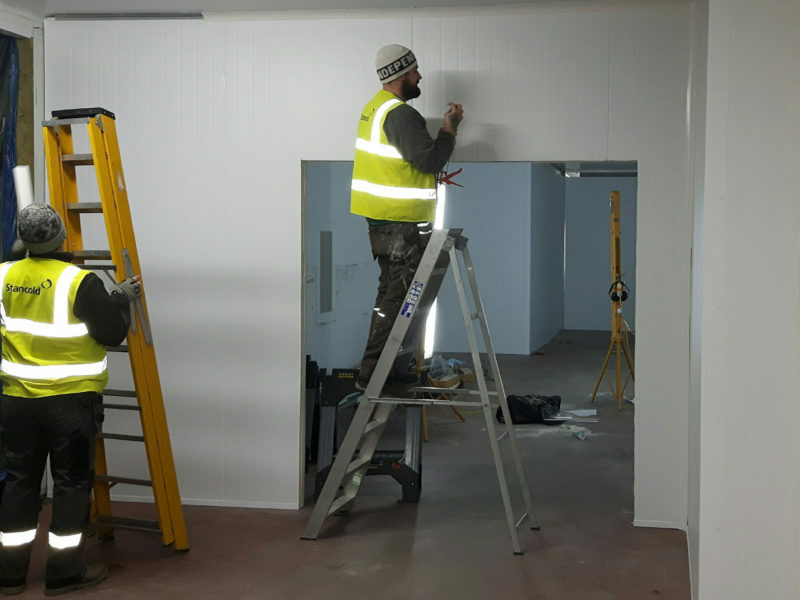 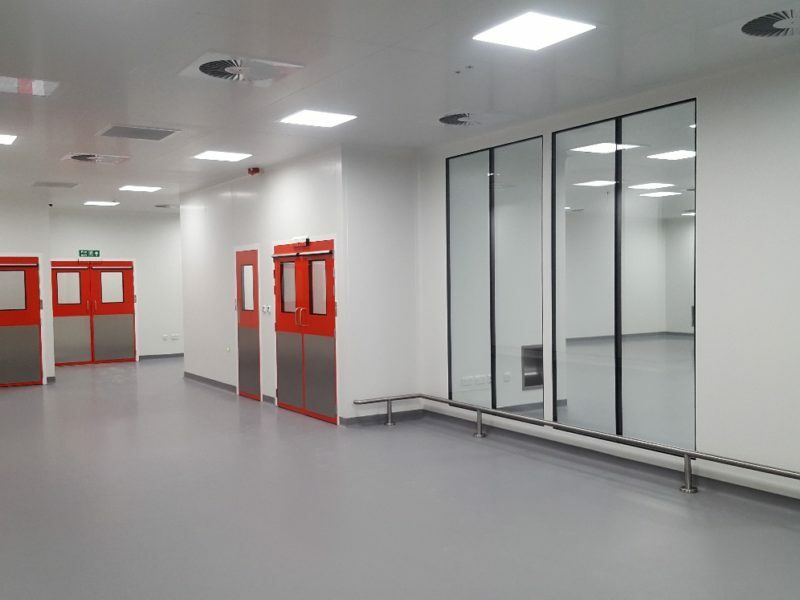 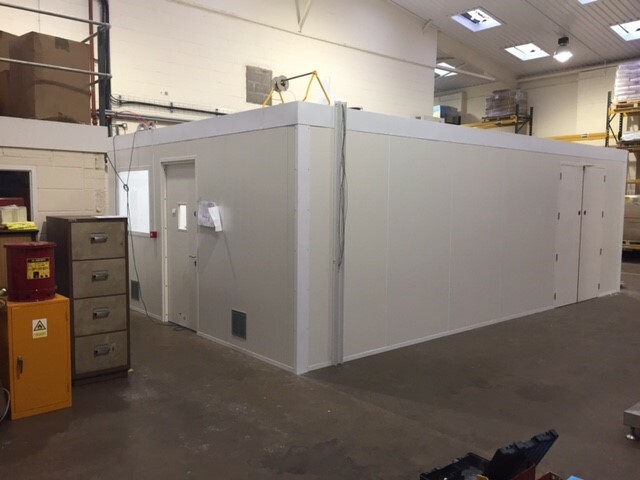 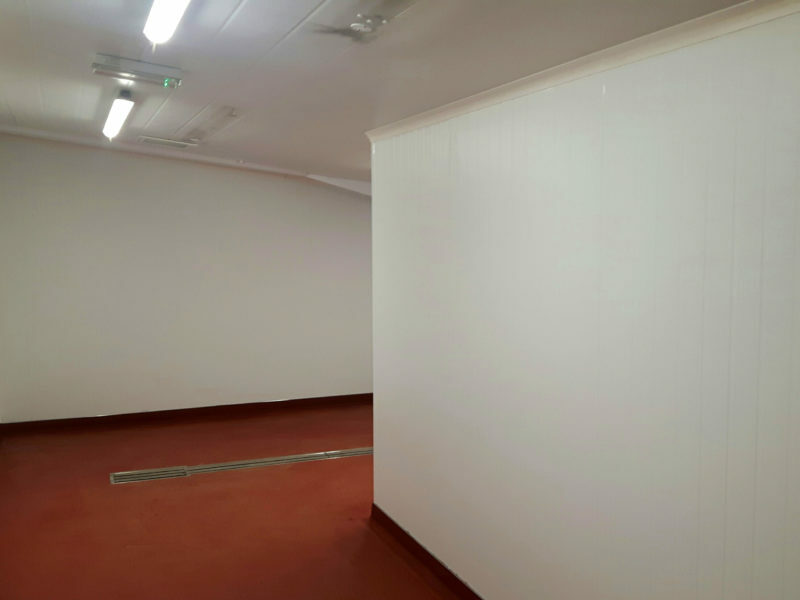 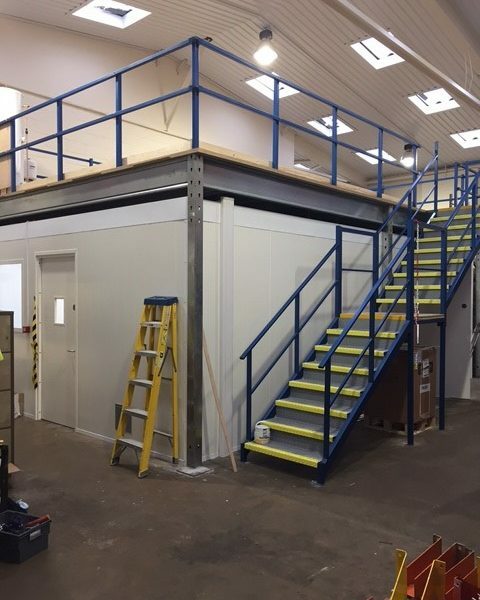 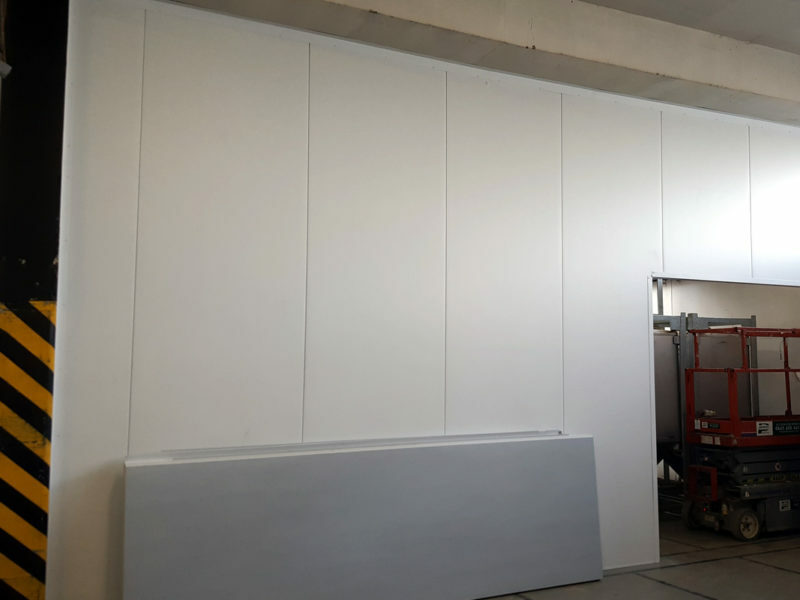 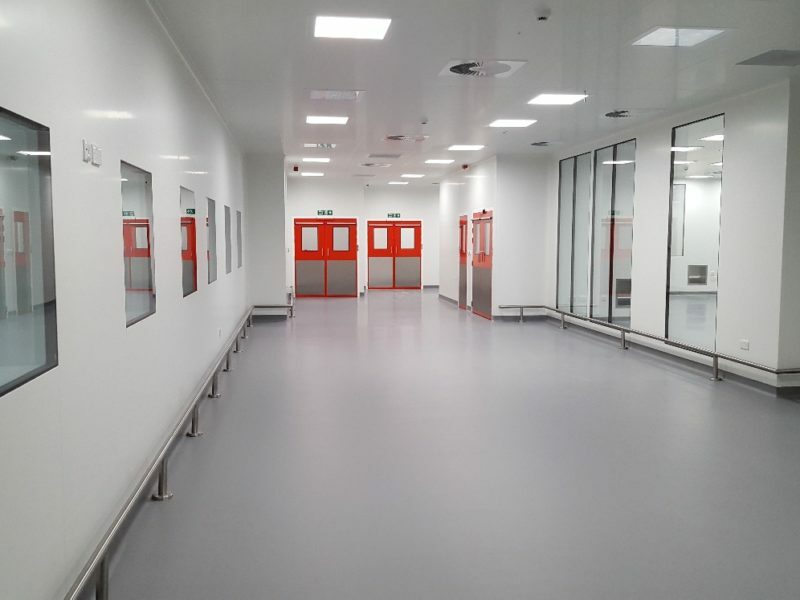 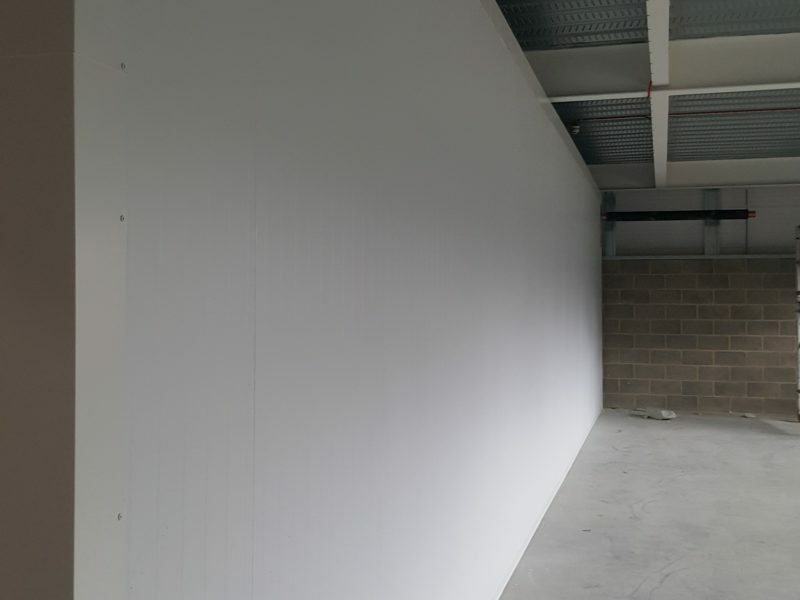 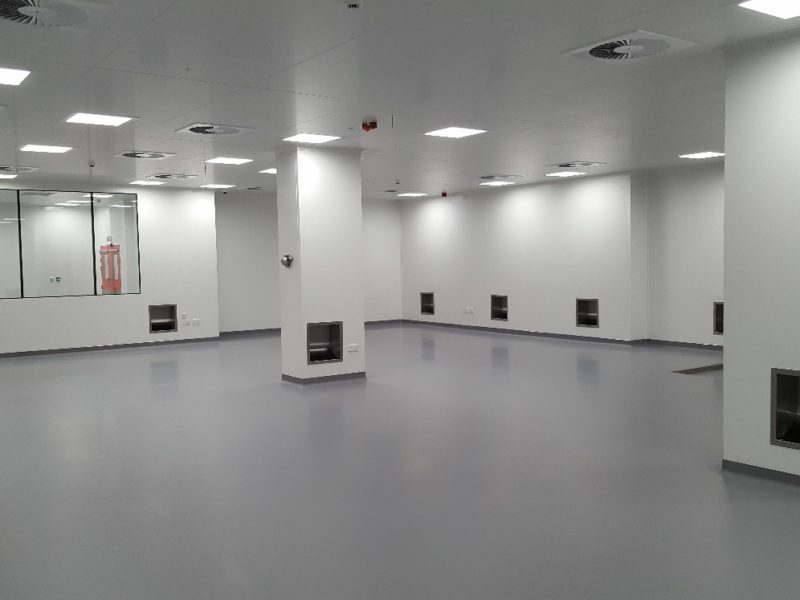 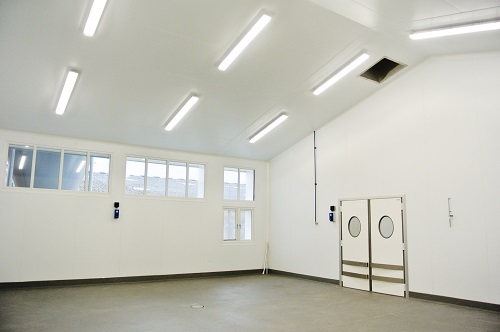 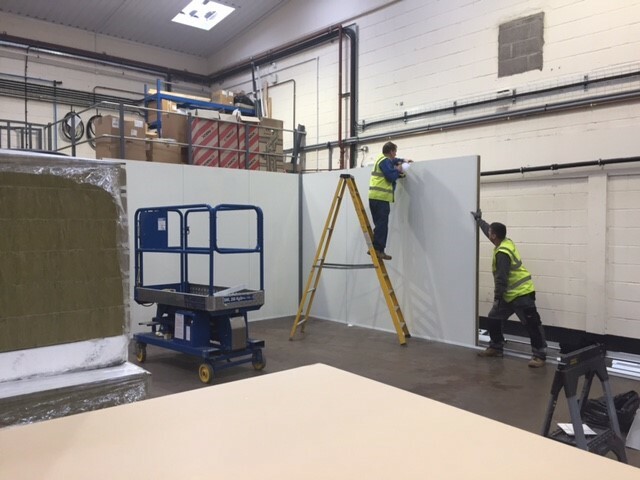 We created the high care rooms and lined walls in the existing building with Kingspan KS1100 Quadcore panels and removed the current kitchen and changing area walls as well as carrying out general modifications to ensure that site met the stringent hygiene requirements demanded by the client. 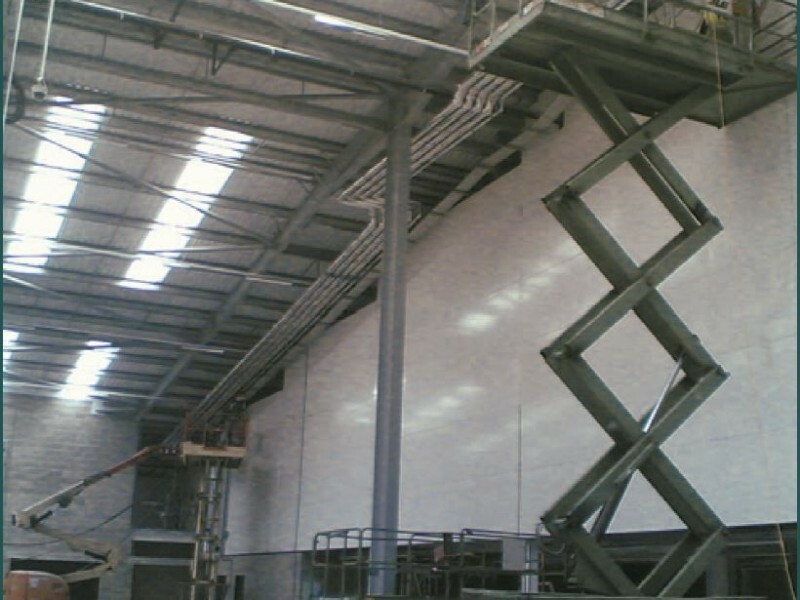 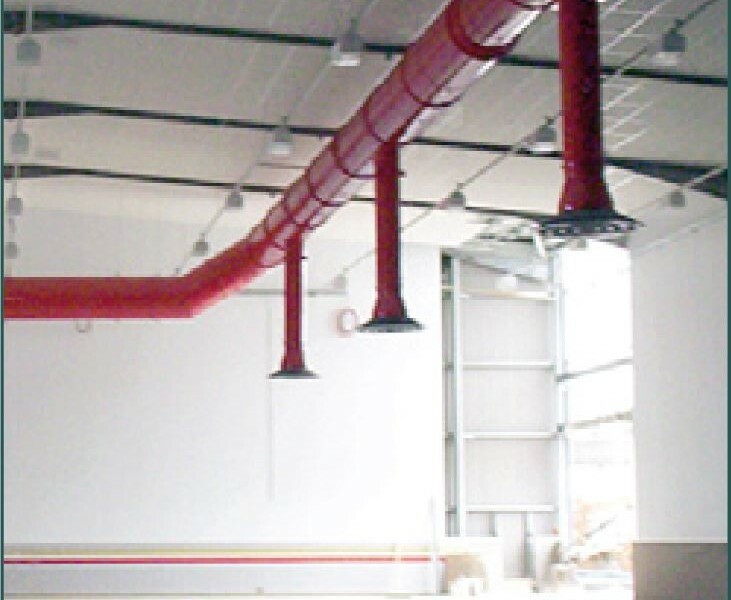 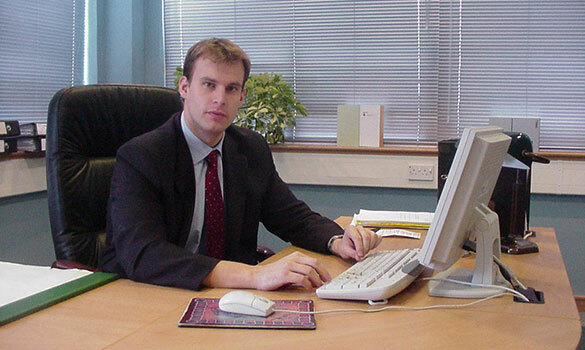 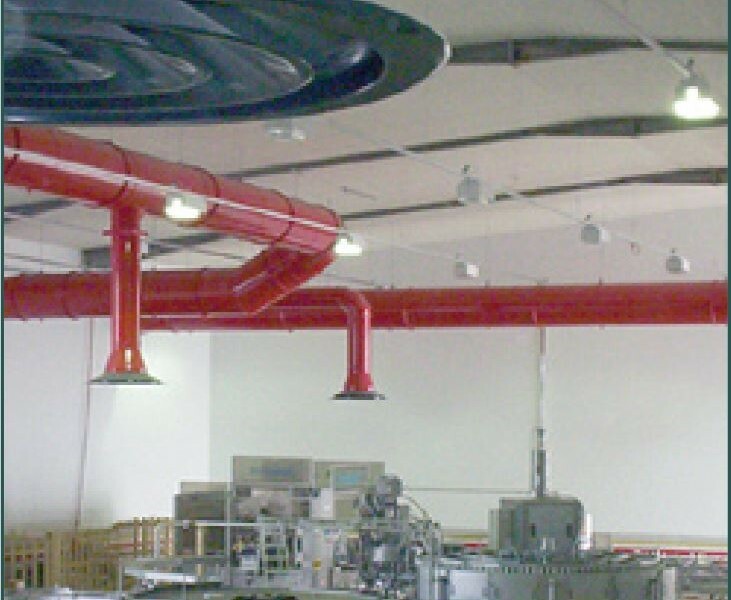 The works were carried out on time and to budget to the complete satisfaction of our client. 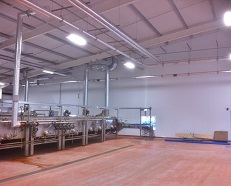 Stancold installers were excellent. 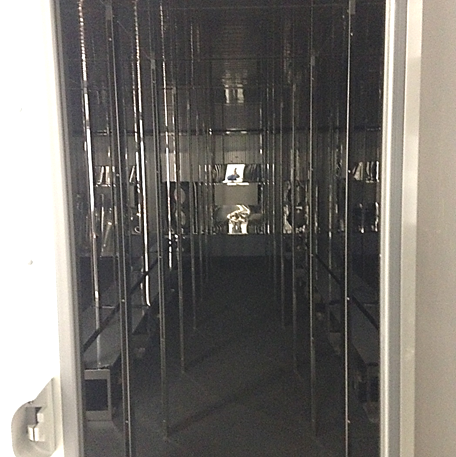 We’re very likely to use you again for future work. 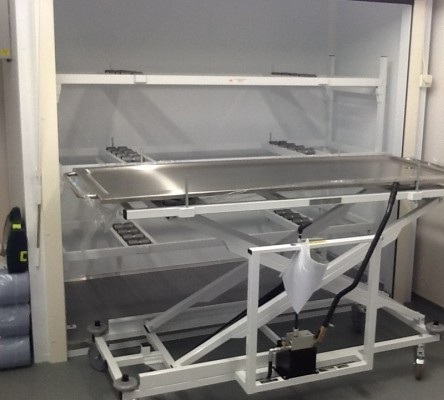 Operating for more than 20 years, Rose House Funeral Supplies are a one-stop-shop for funeral supplies and mortuary equipment in the UK. 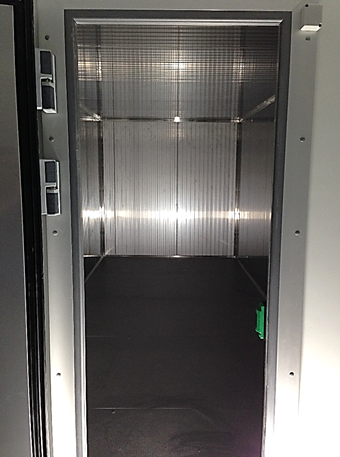 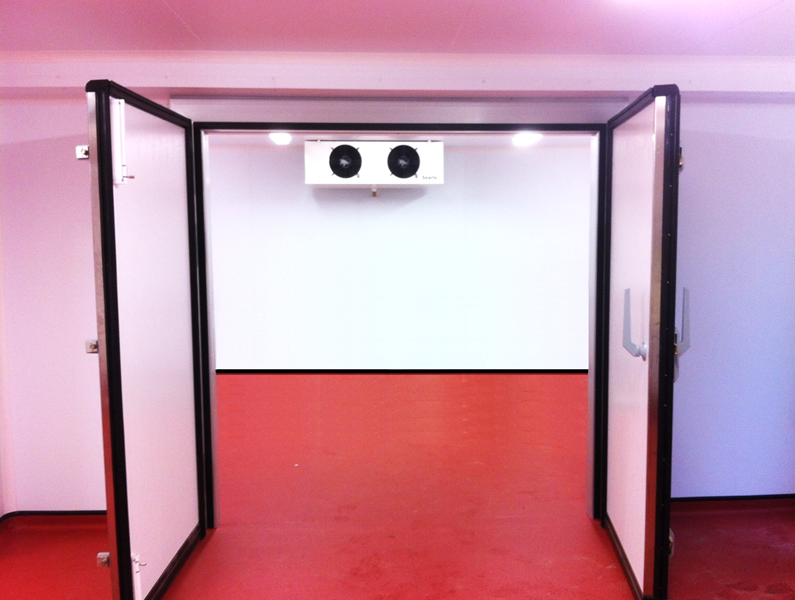 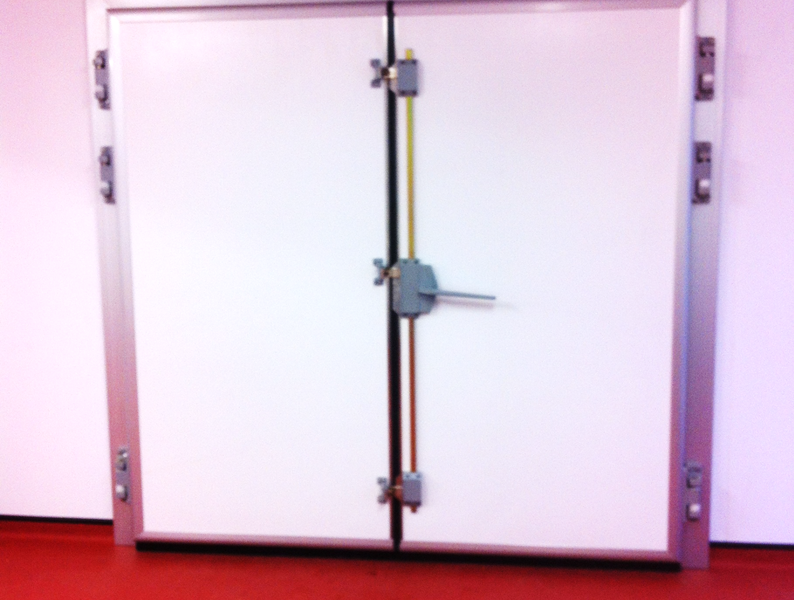 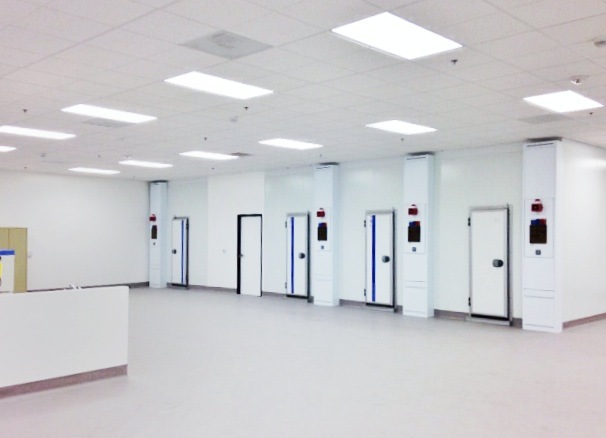 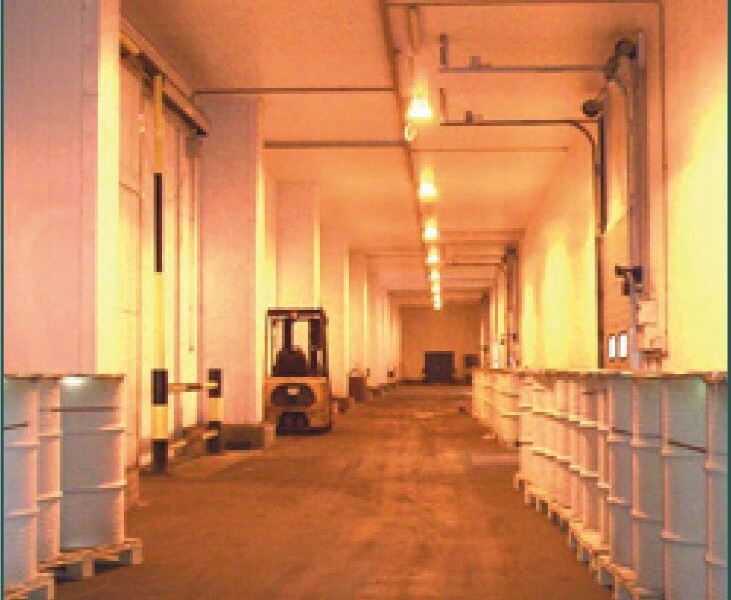 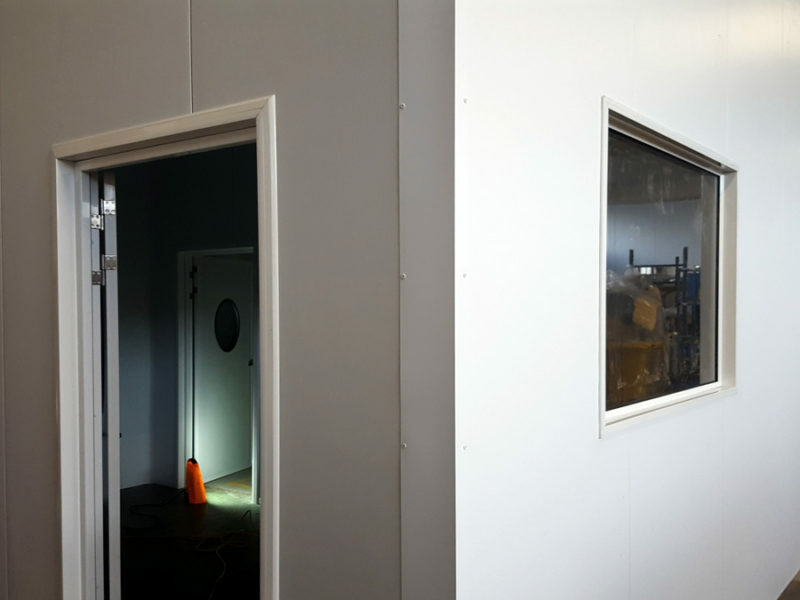 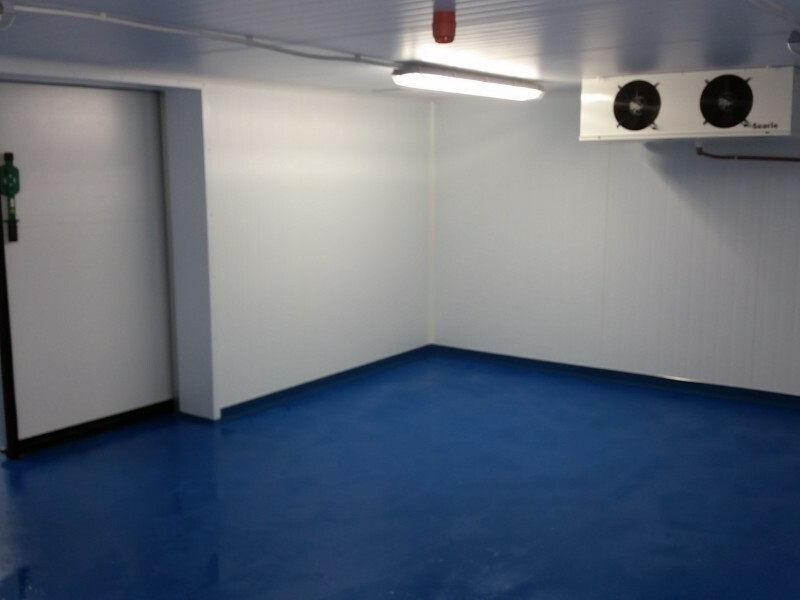 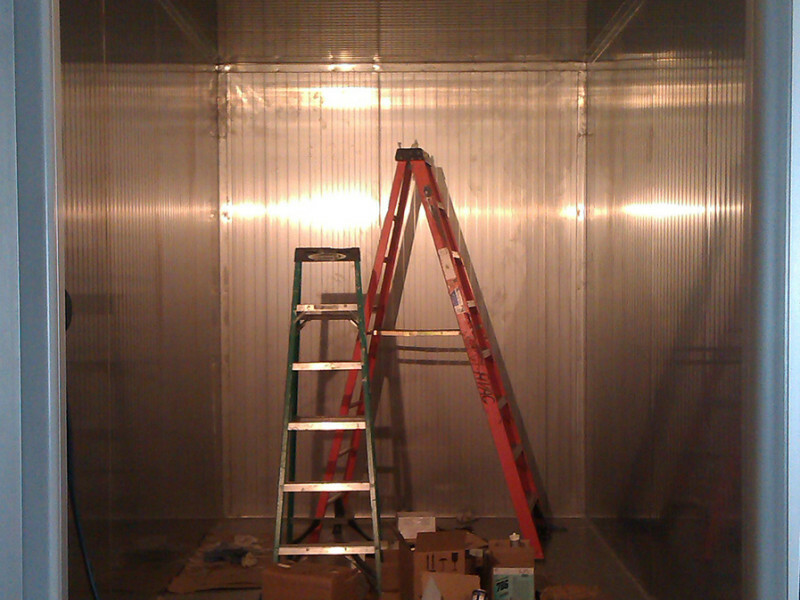 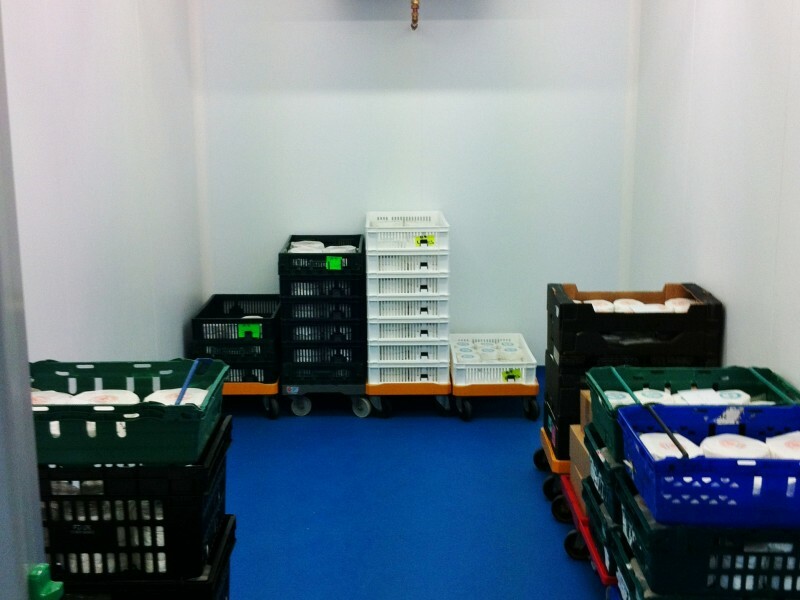 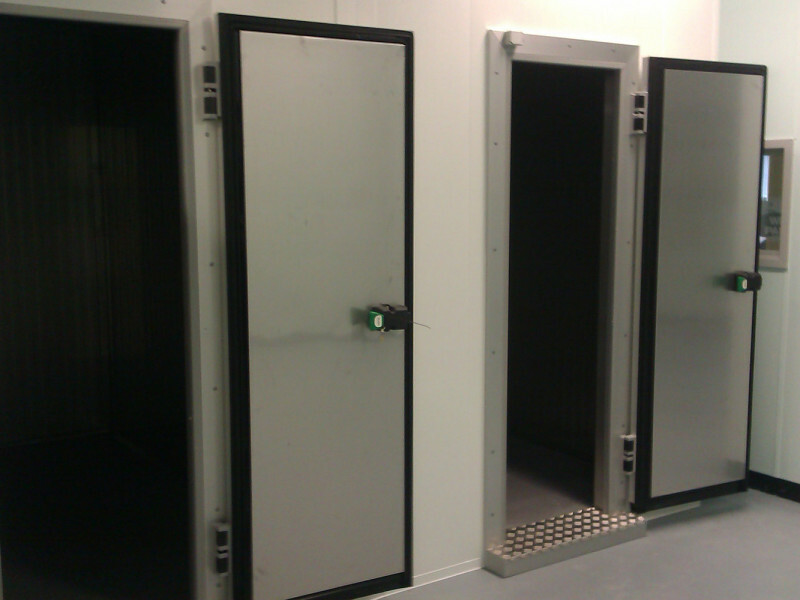 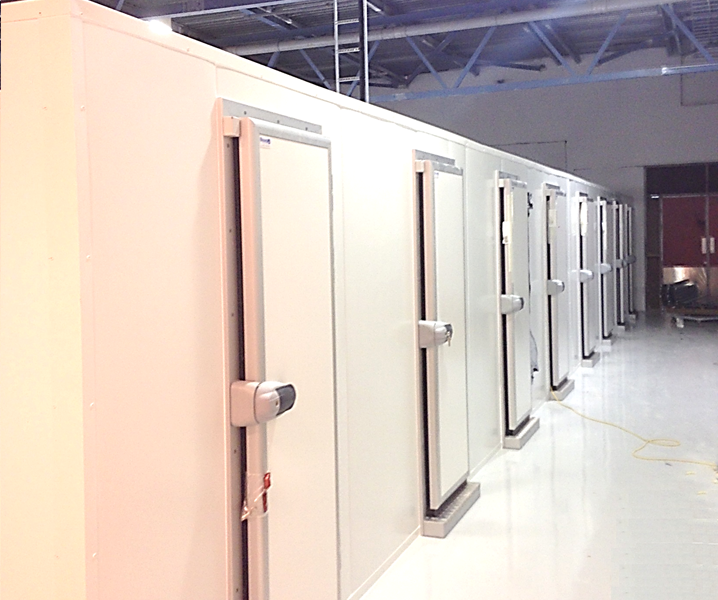 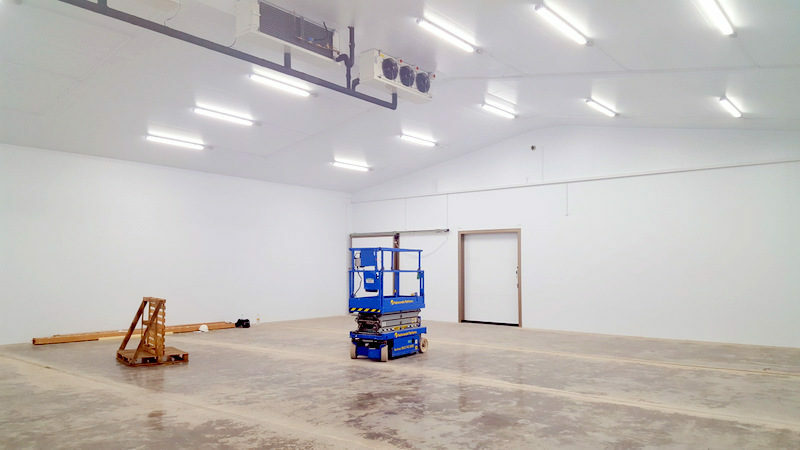 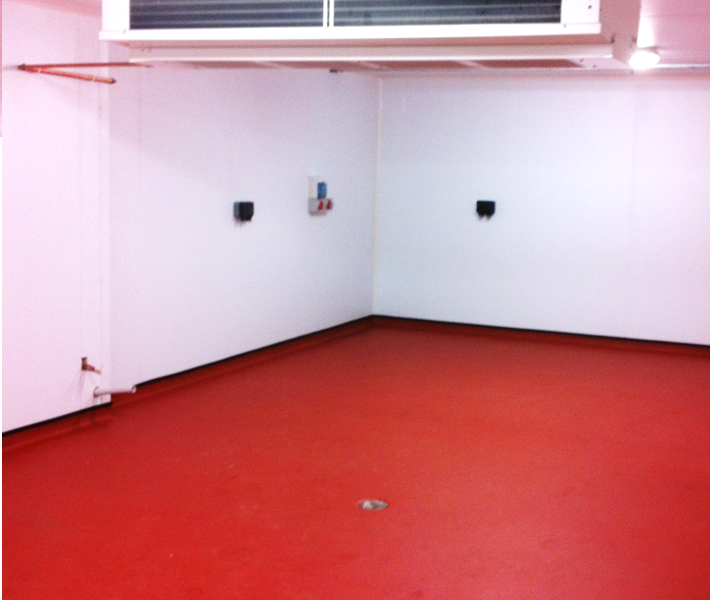 They got in touch with us about a mortuary cold room as they were looking to expand their business. 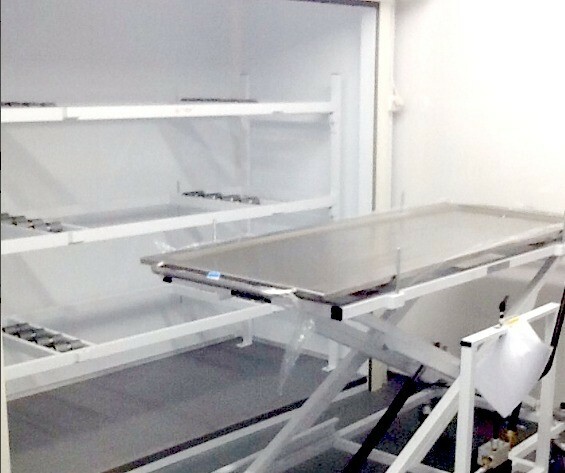 Due to site restrictions, the customer was seeking a mortuary chiller that occupies less space than traditional end loading cabinets. 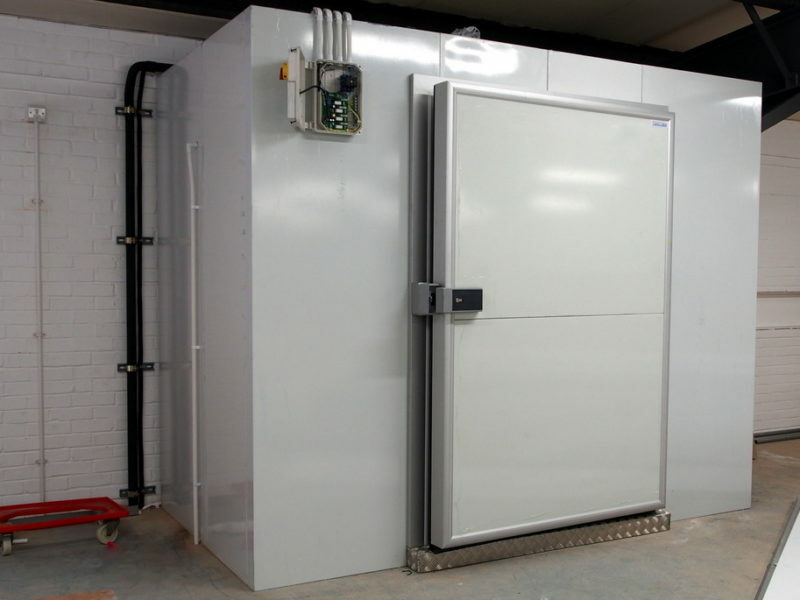 We’ve designed and built a side loading mortuary chiller the size of 1.16m x 2.40m x 2.40m to fit into the appointed area and suit the mortuary equipment. 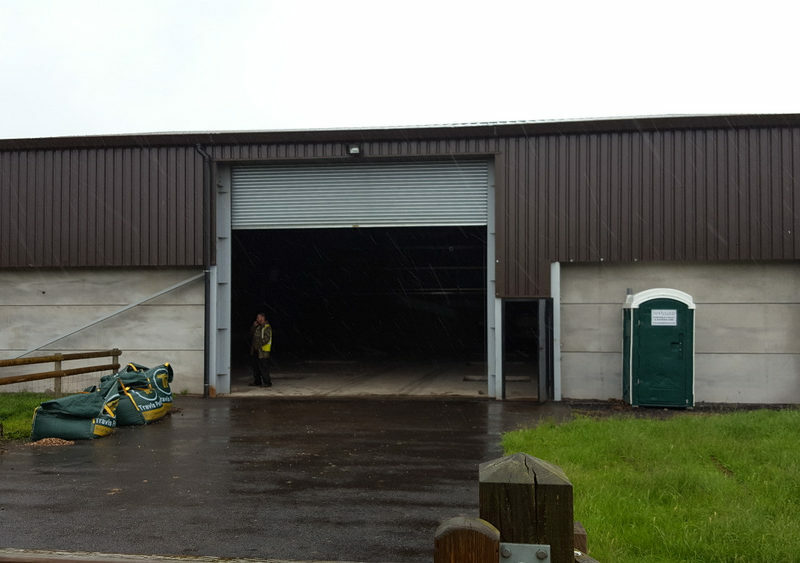 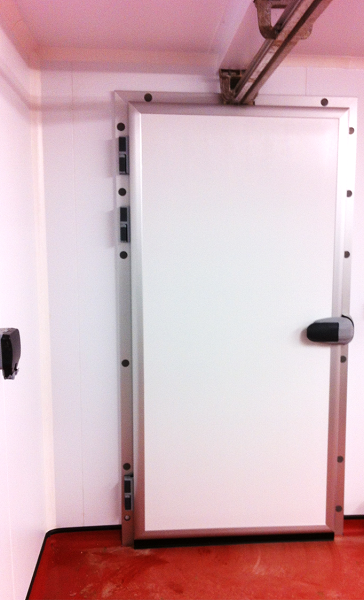 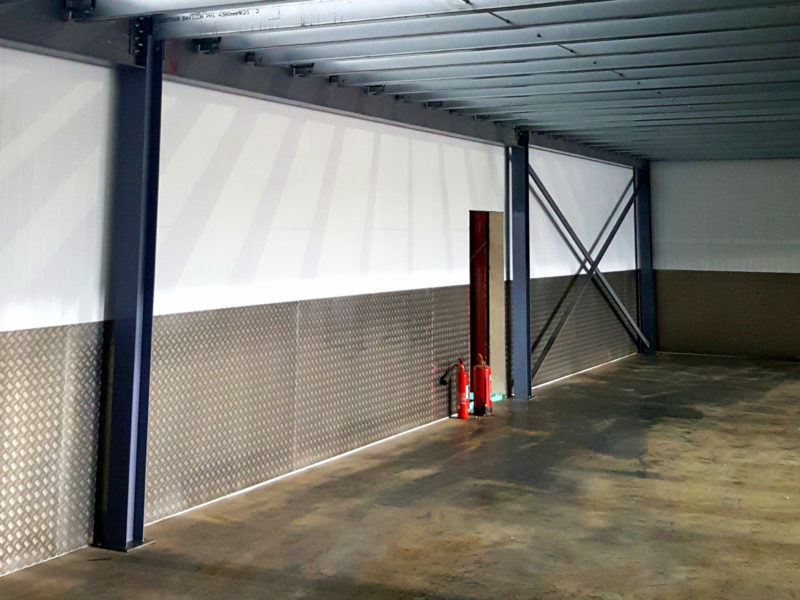 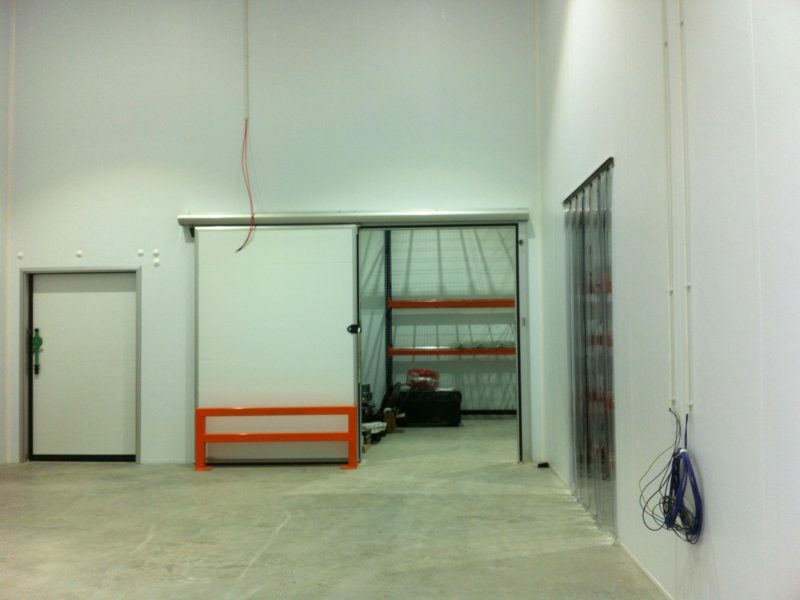 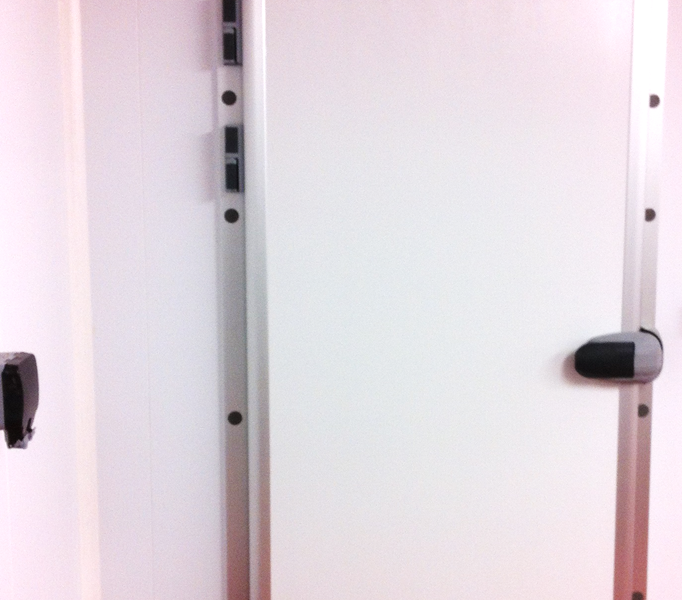 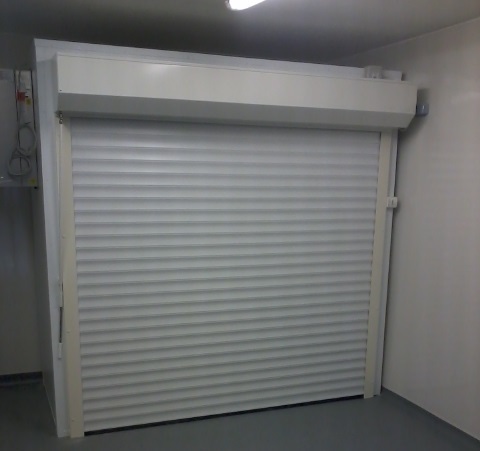 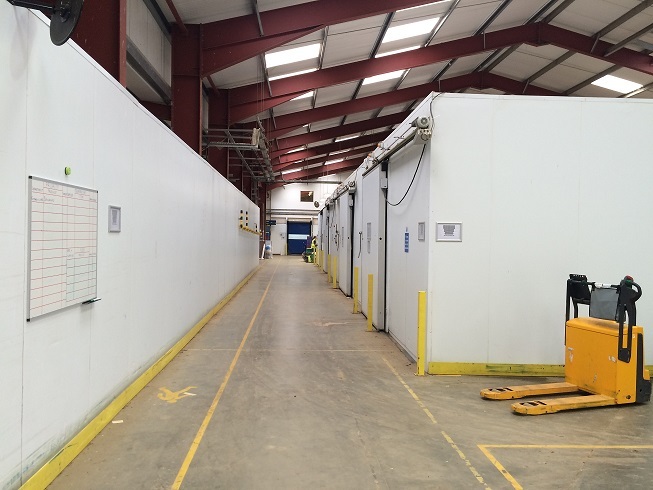 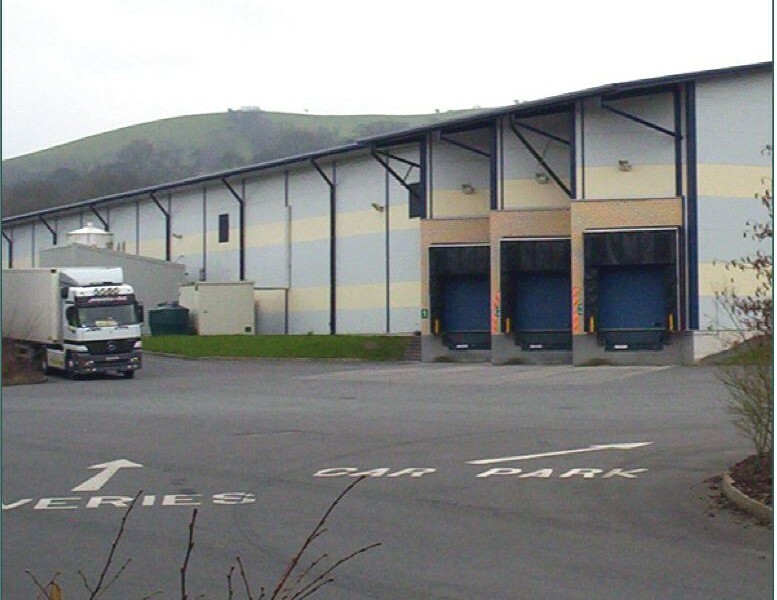 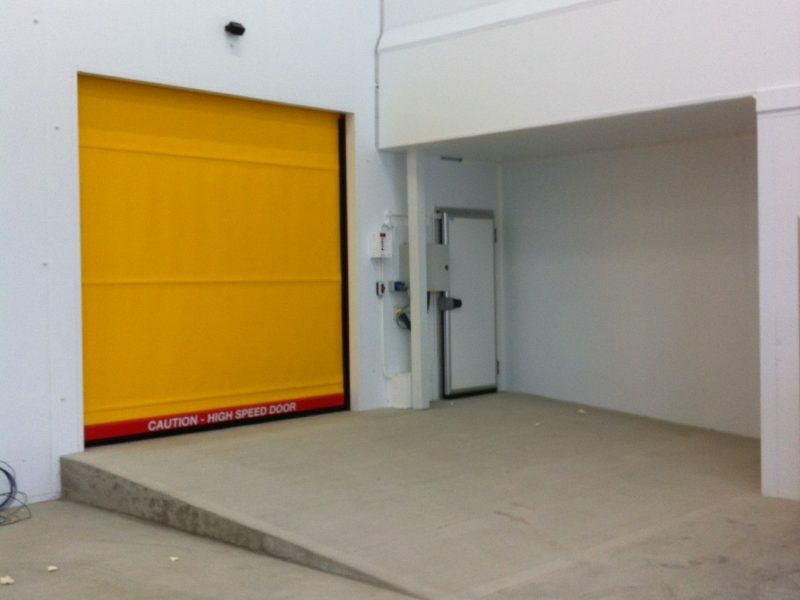 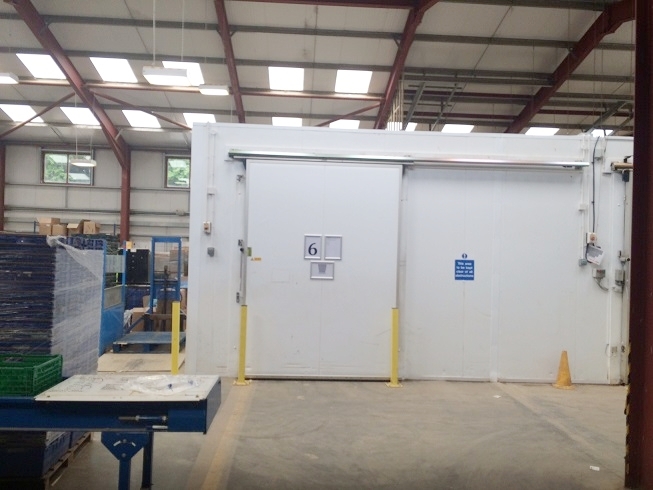 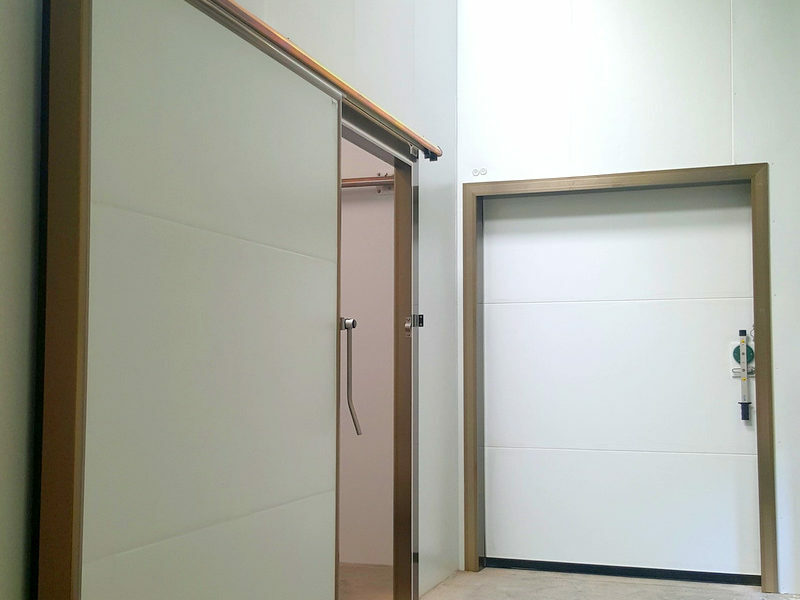 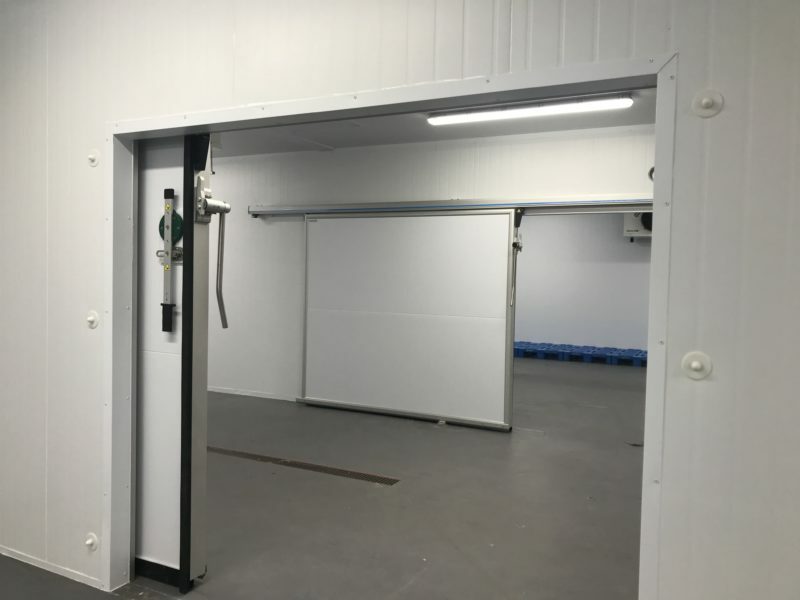 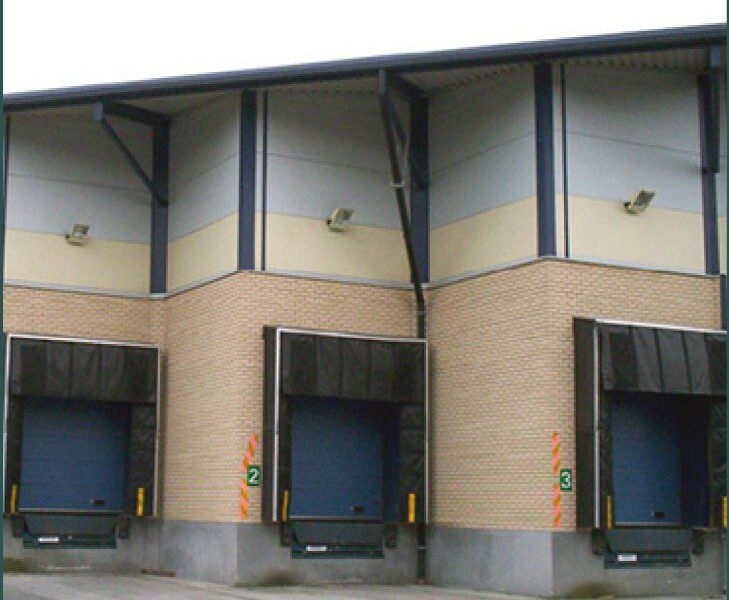 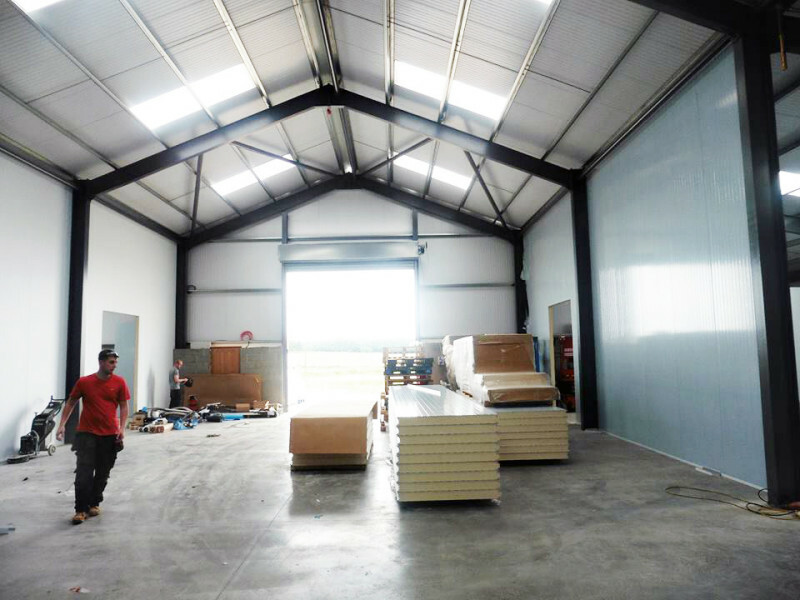 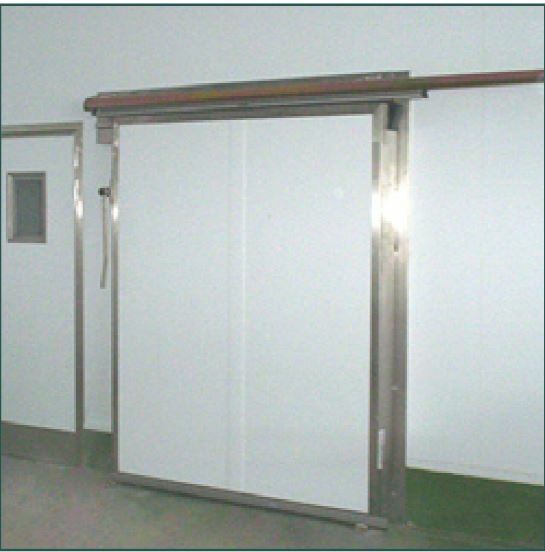 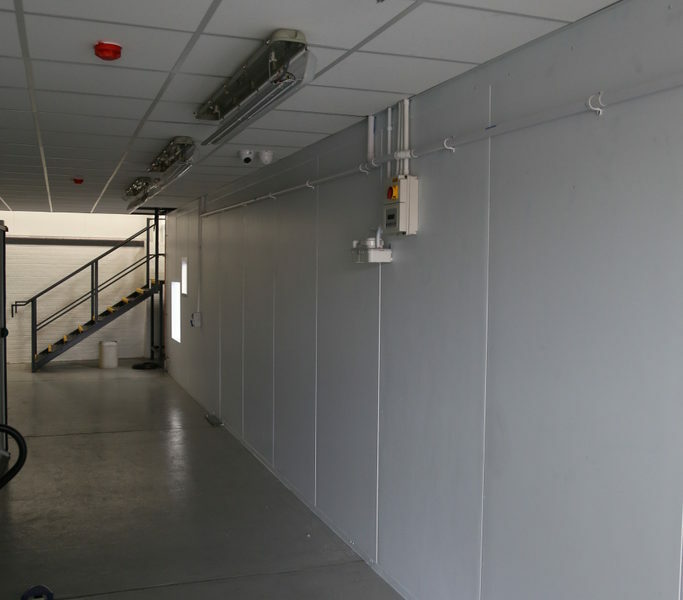 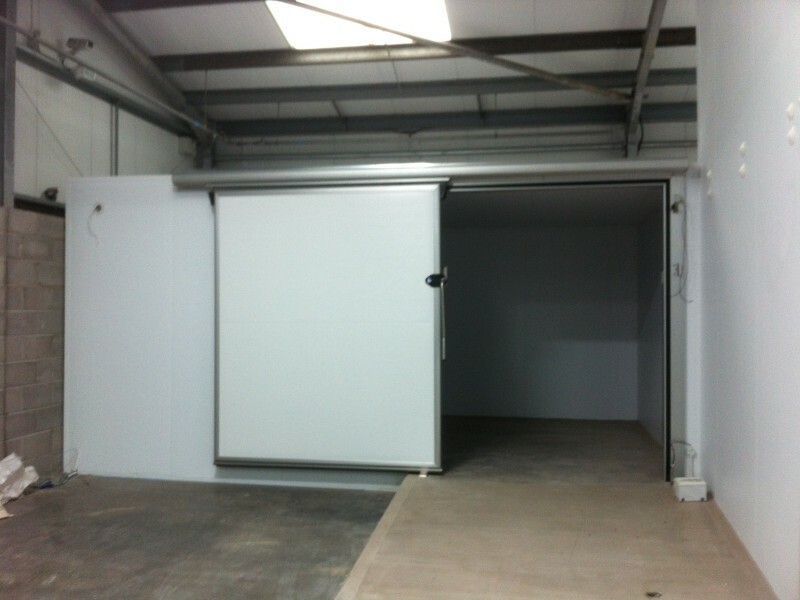 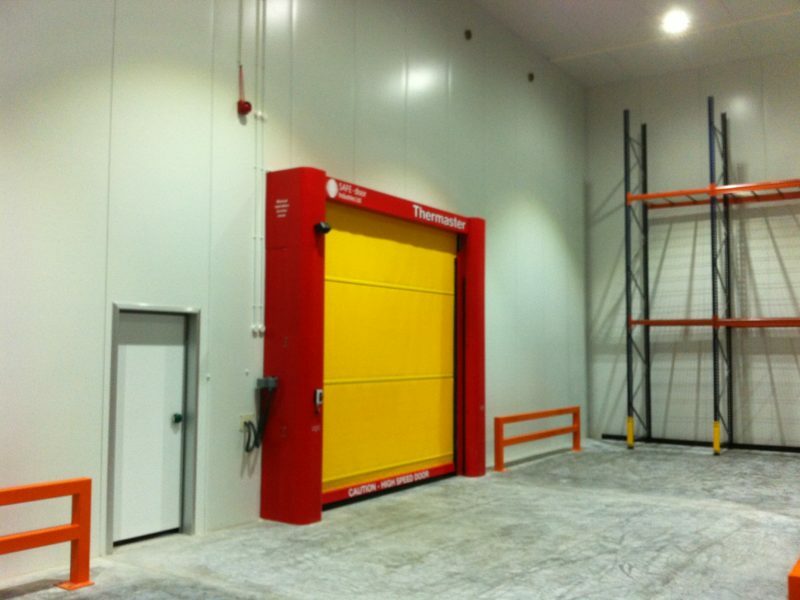 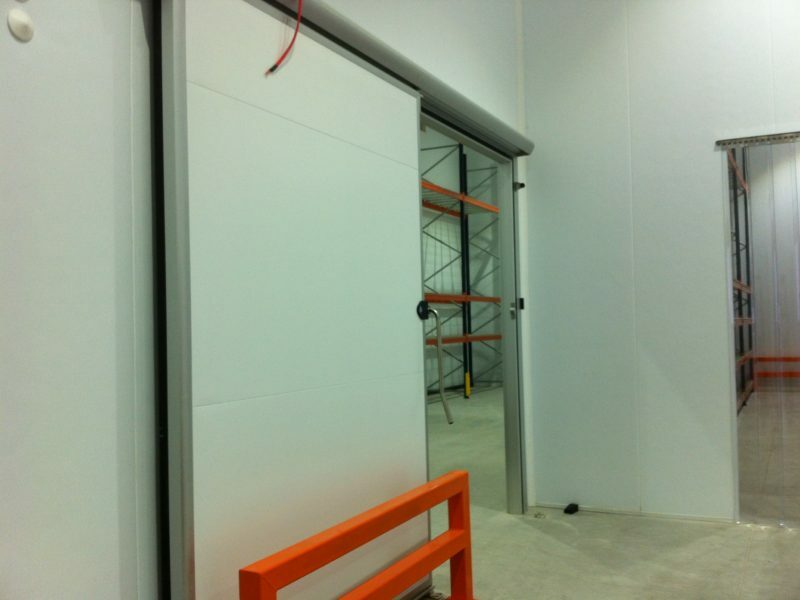 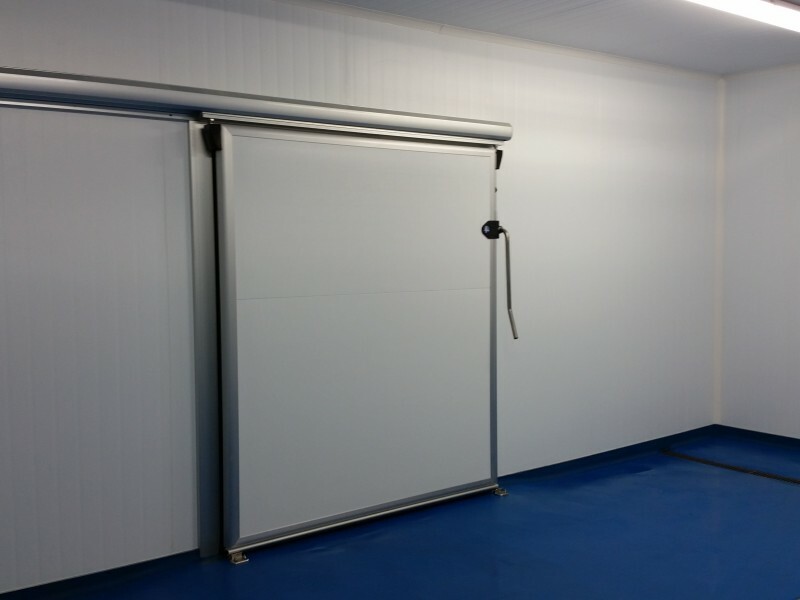 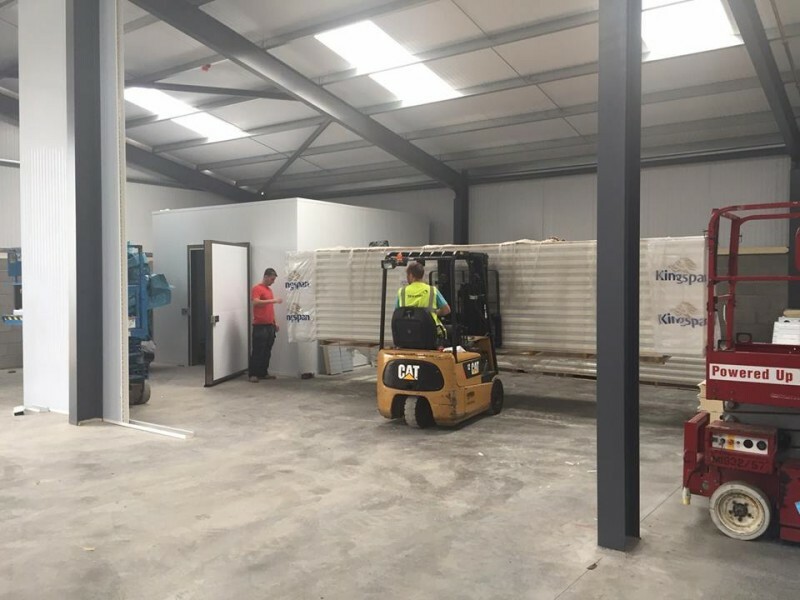 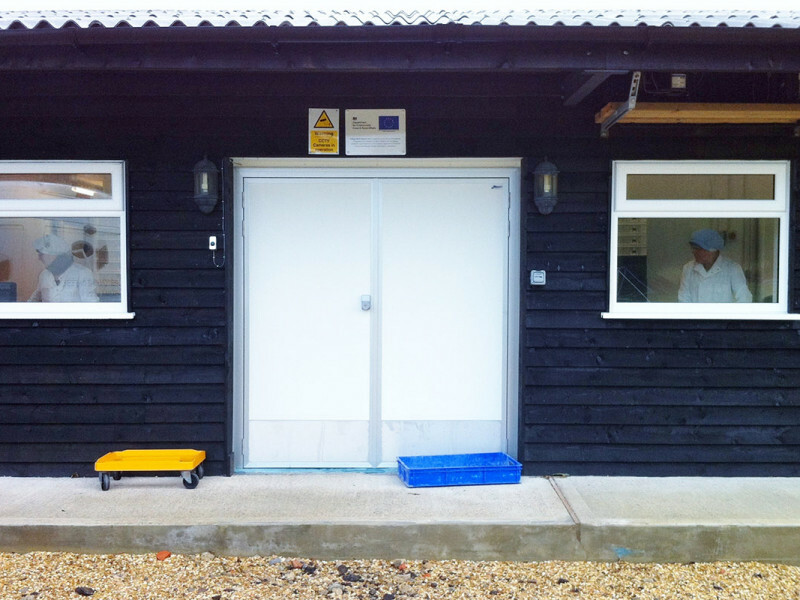 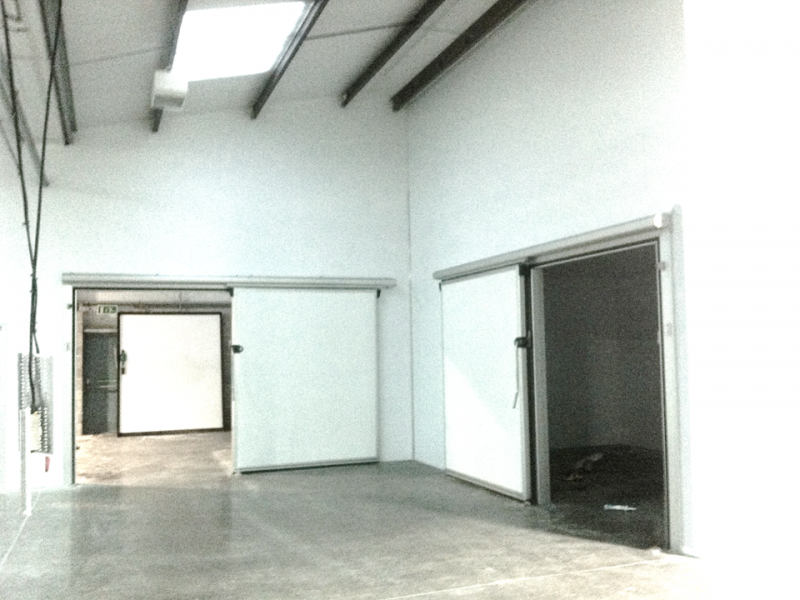 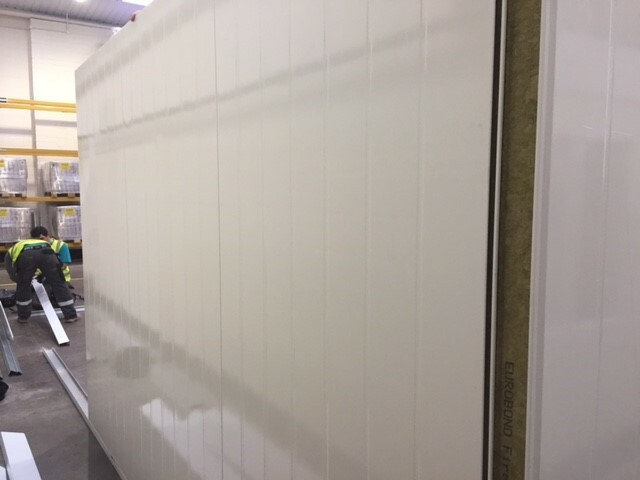 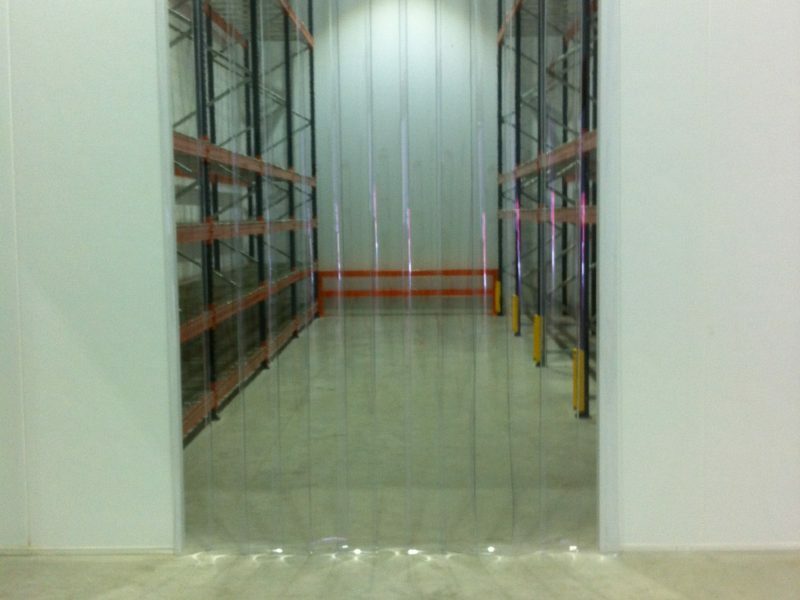 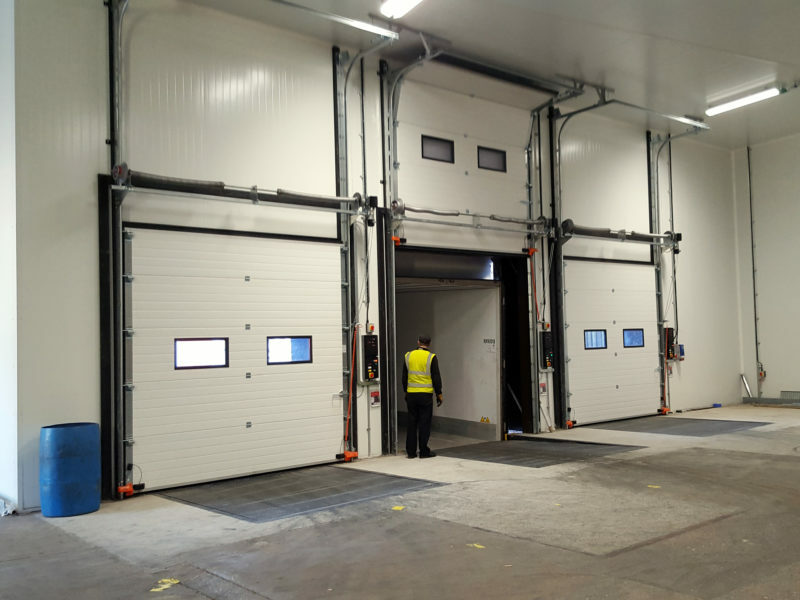 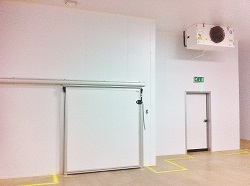 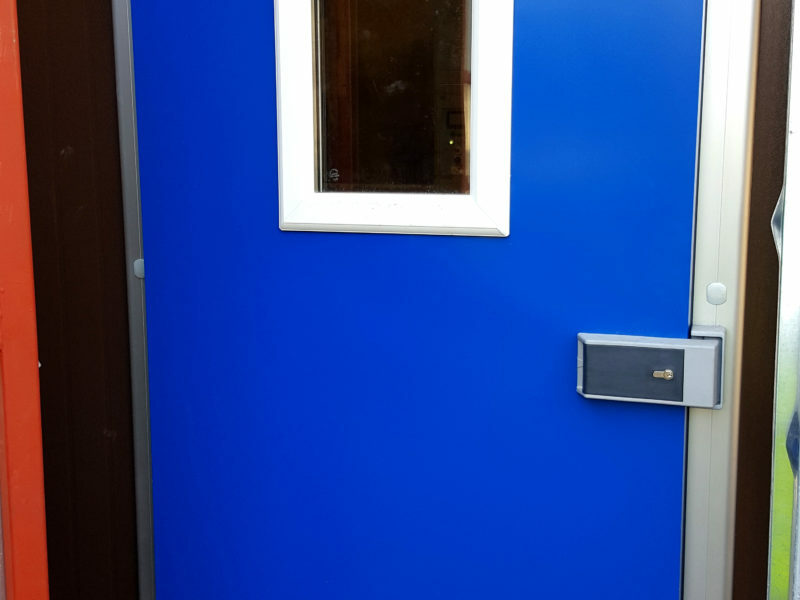 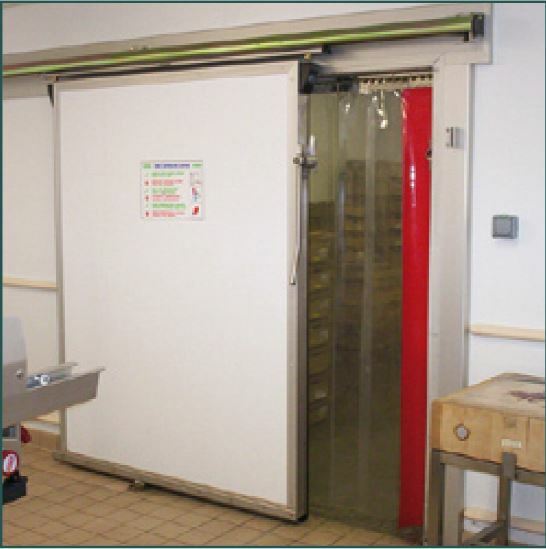 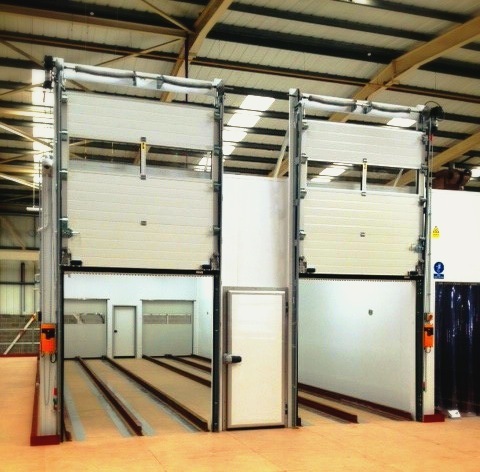 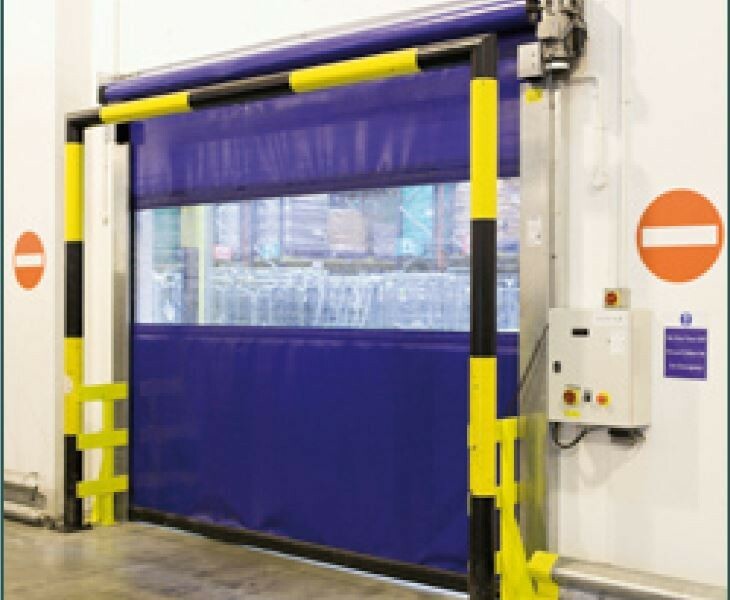 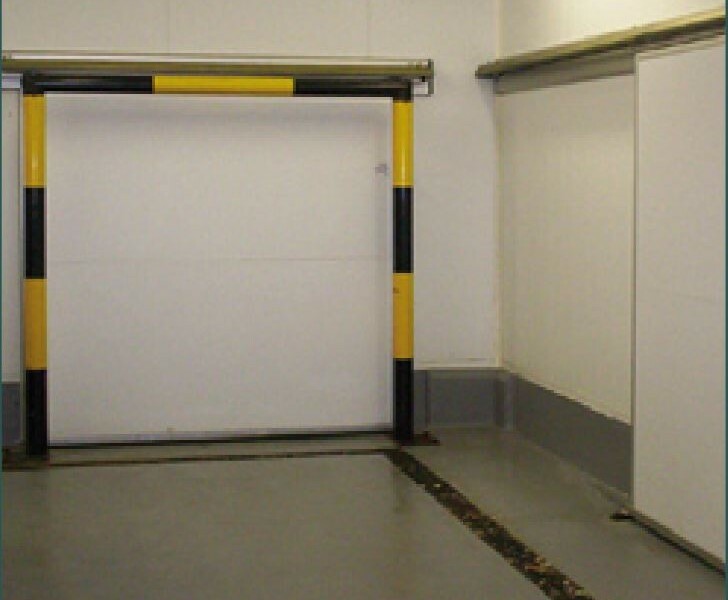 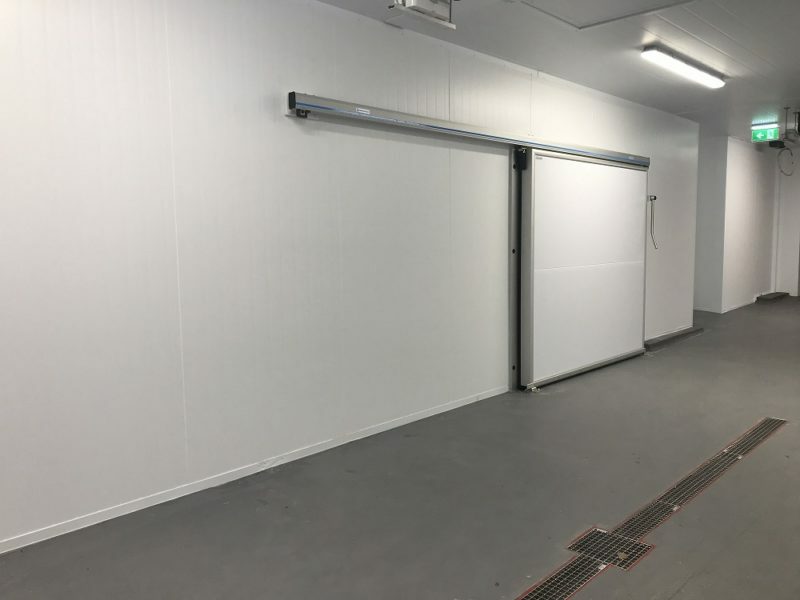 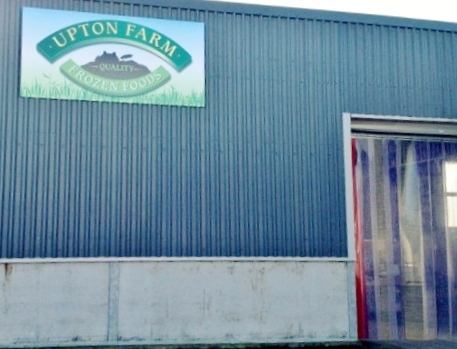 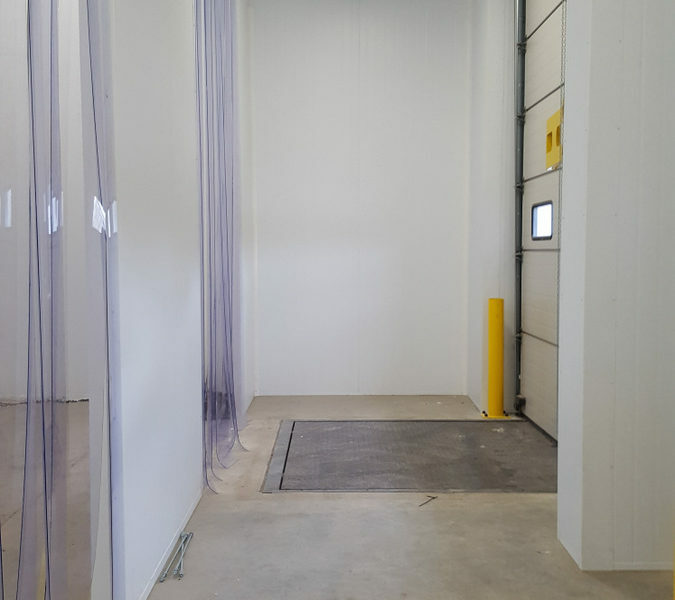 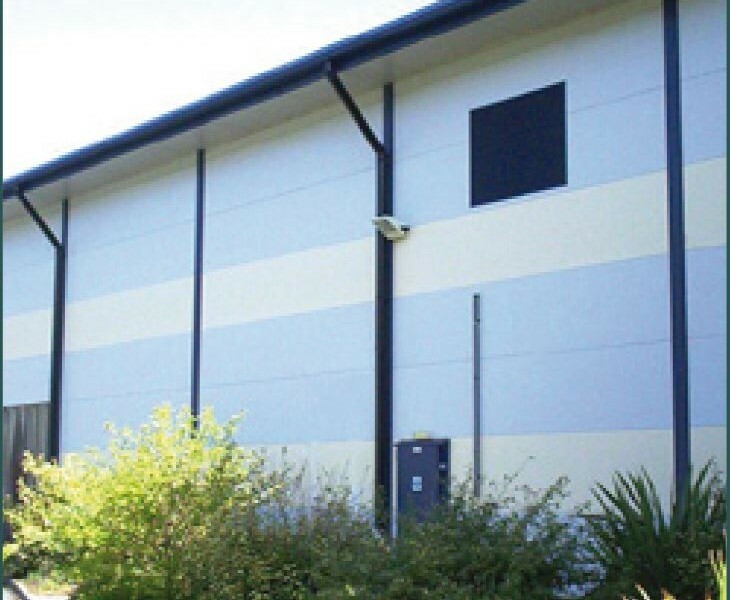 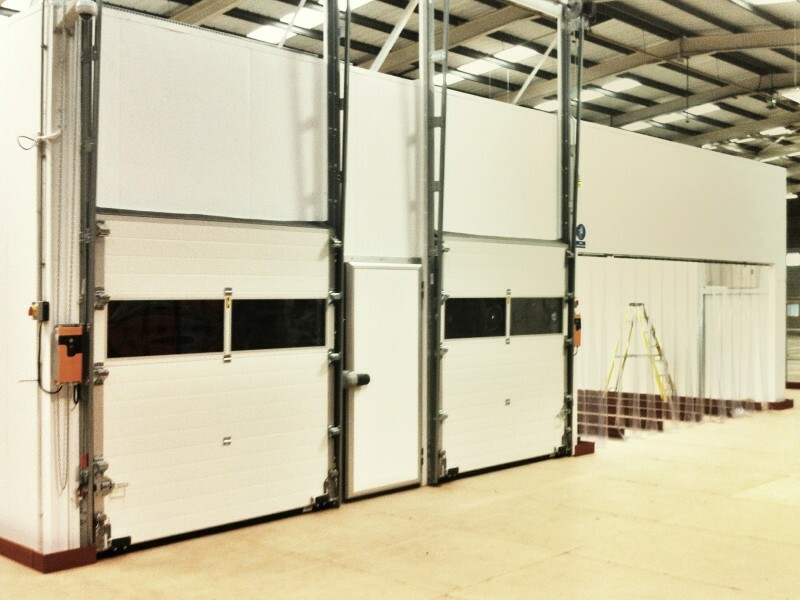 We chose insulated roller shutter doors to take up less space and enable side access. 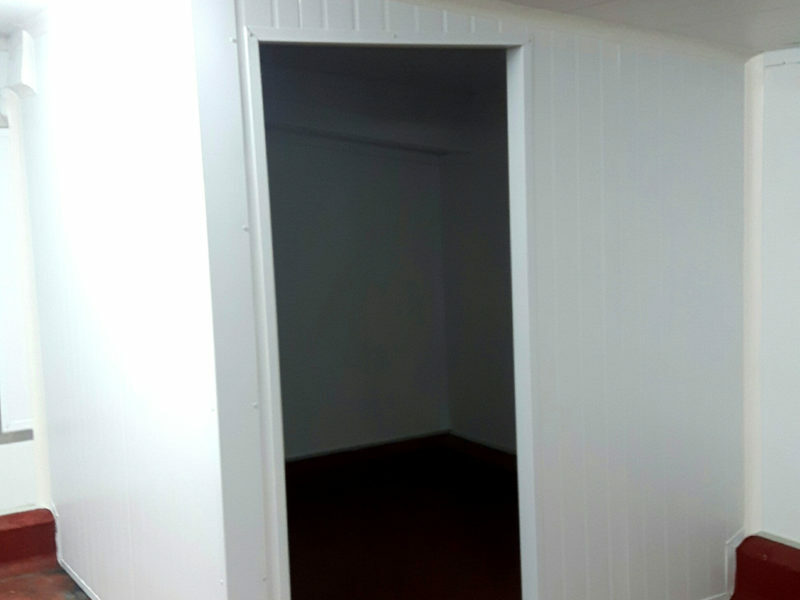 We’ll use your services in the future. 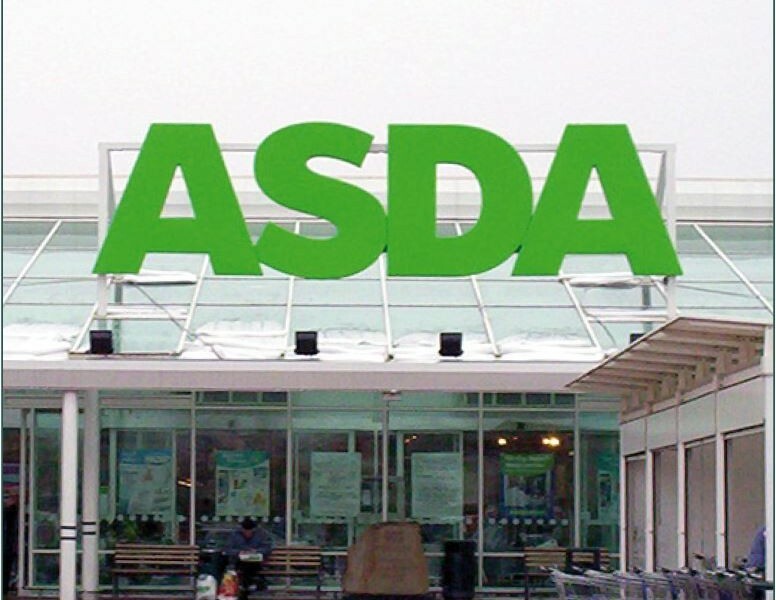 ASDA, part of the Wal-Mart Group, is one of the UK’s best known retailers. 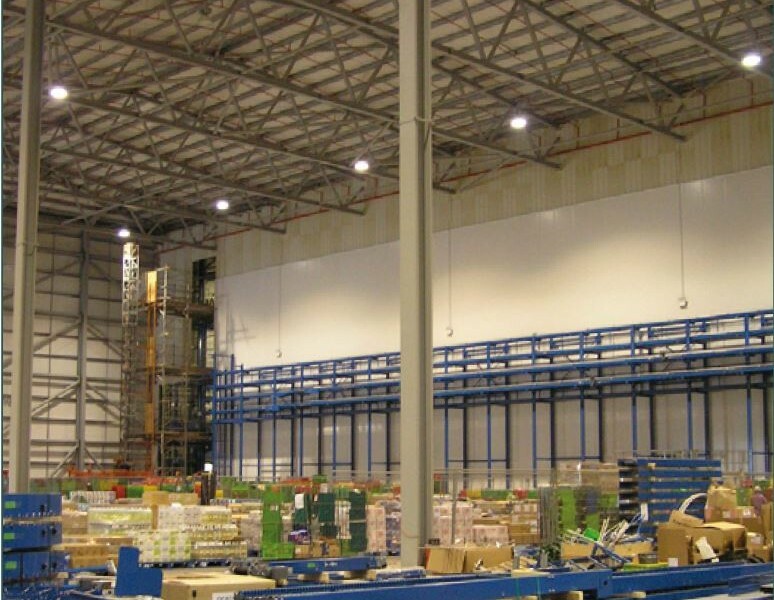 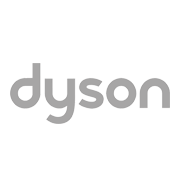 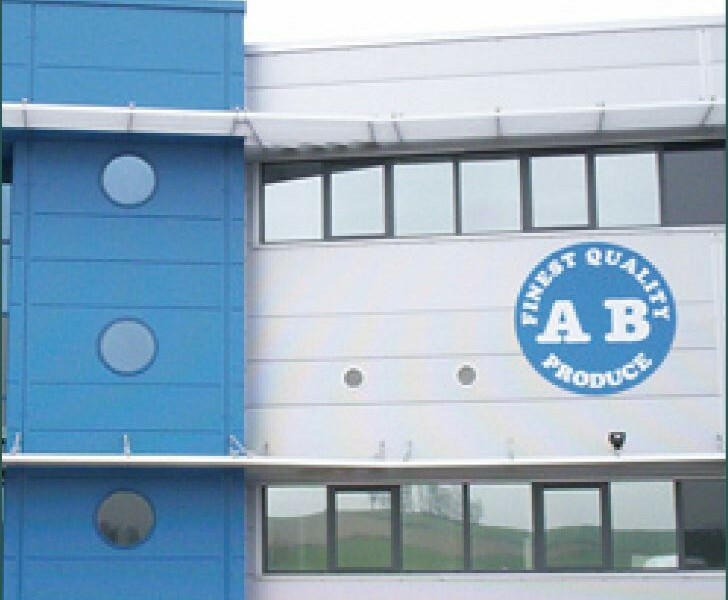 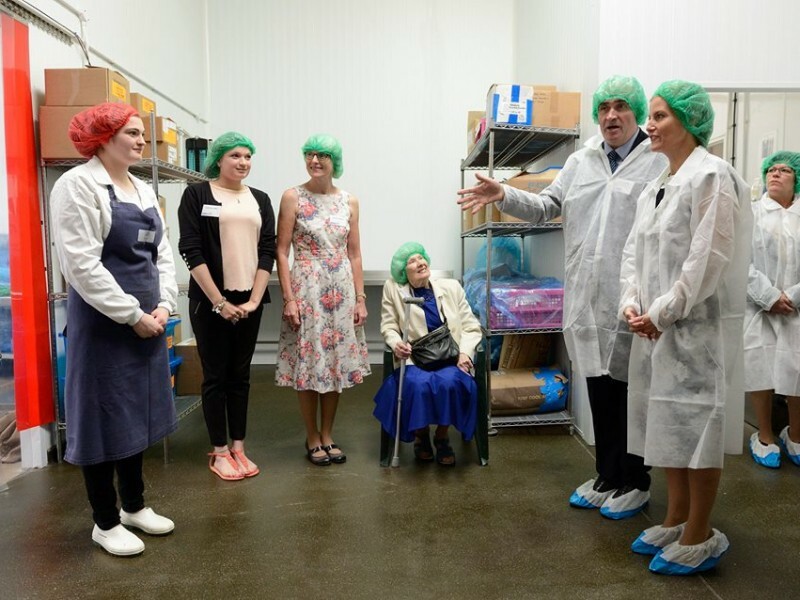 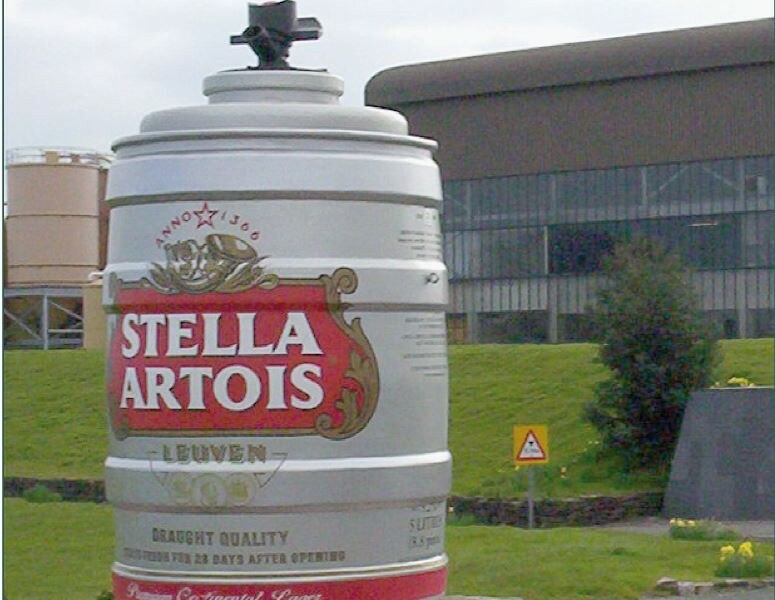 ASDA employ 122,000 staff across 256 stores and 19 distribution depots in the UK. 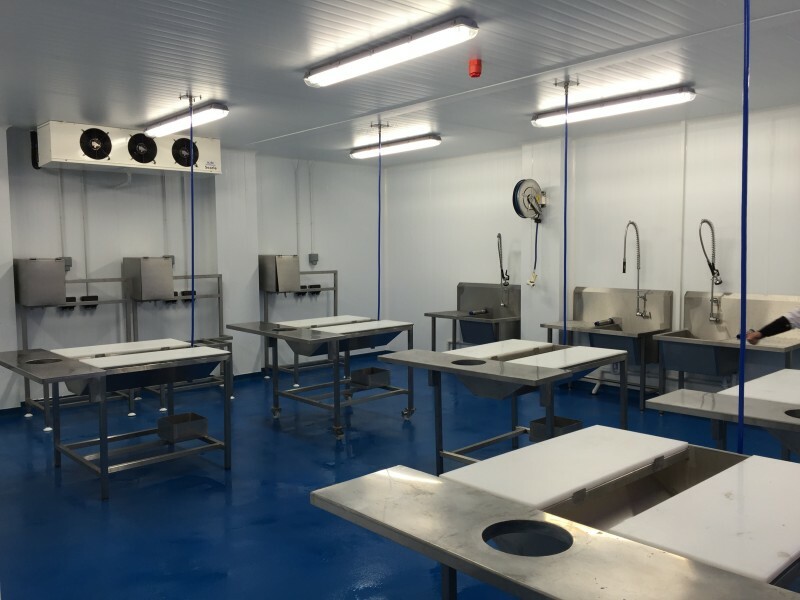 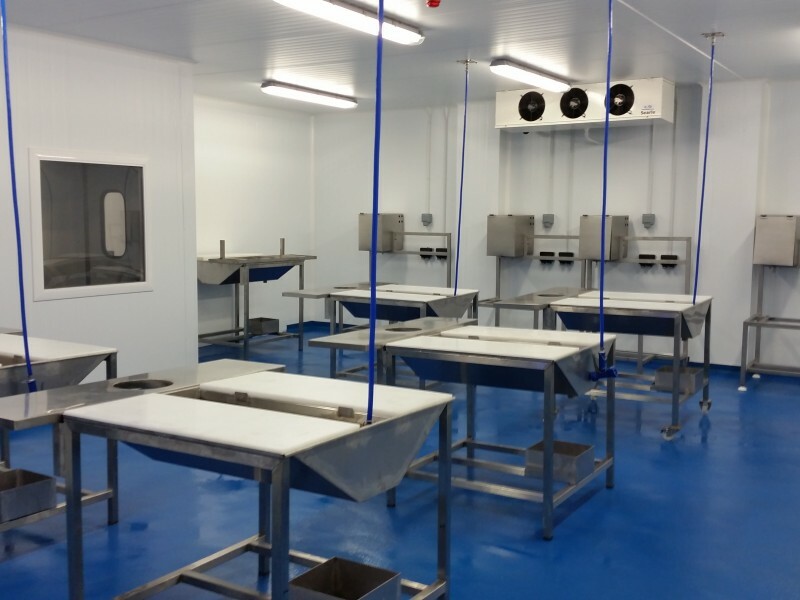 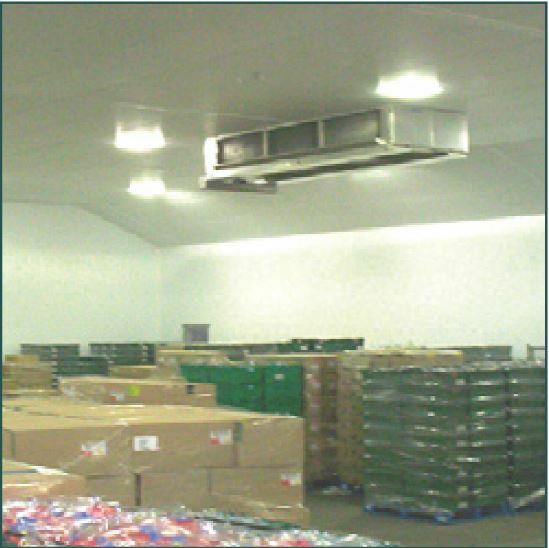 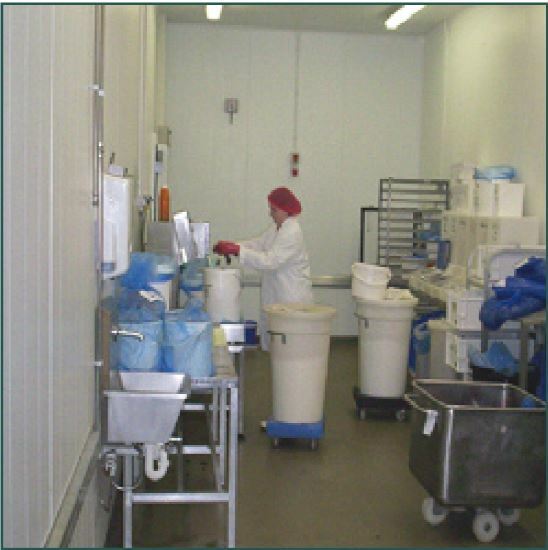 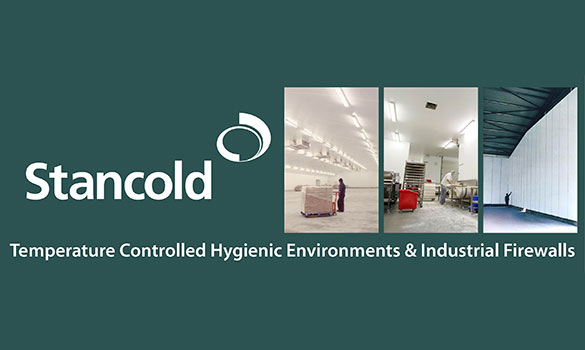 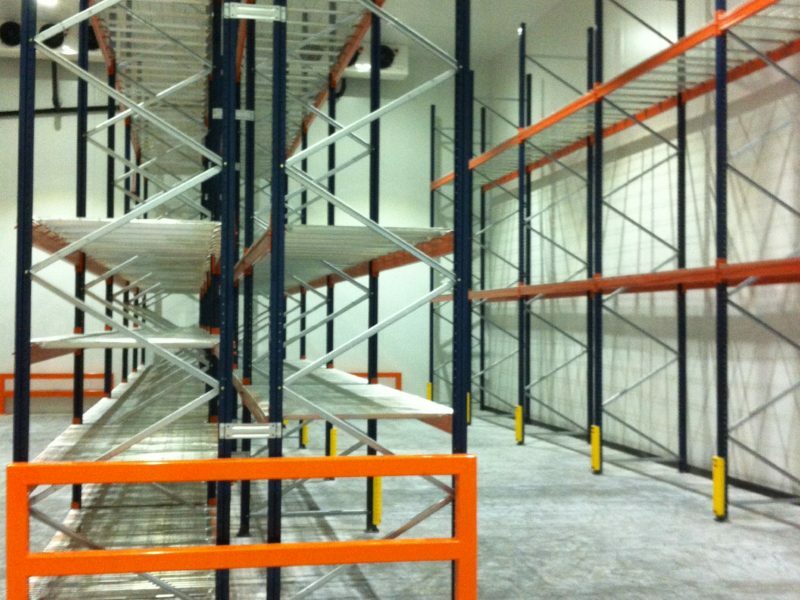 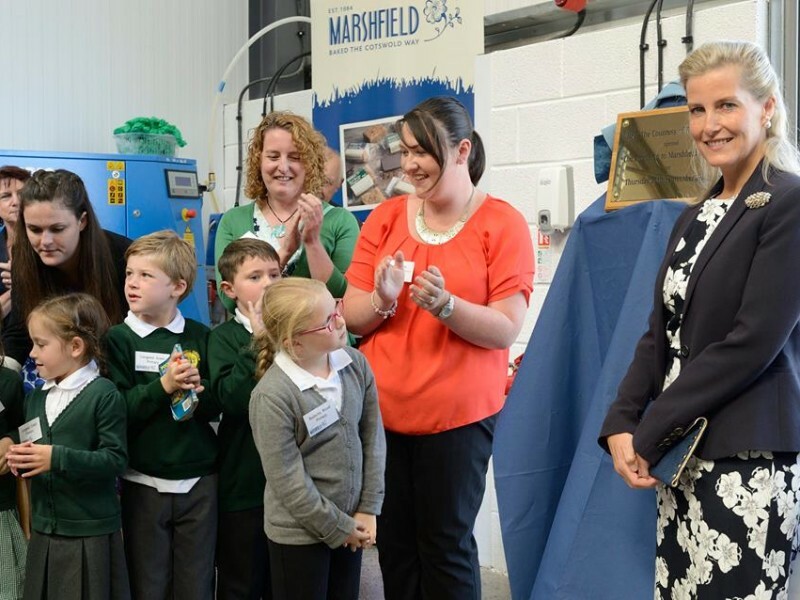 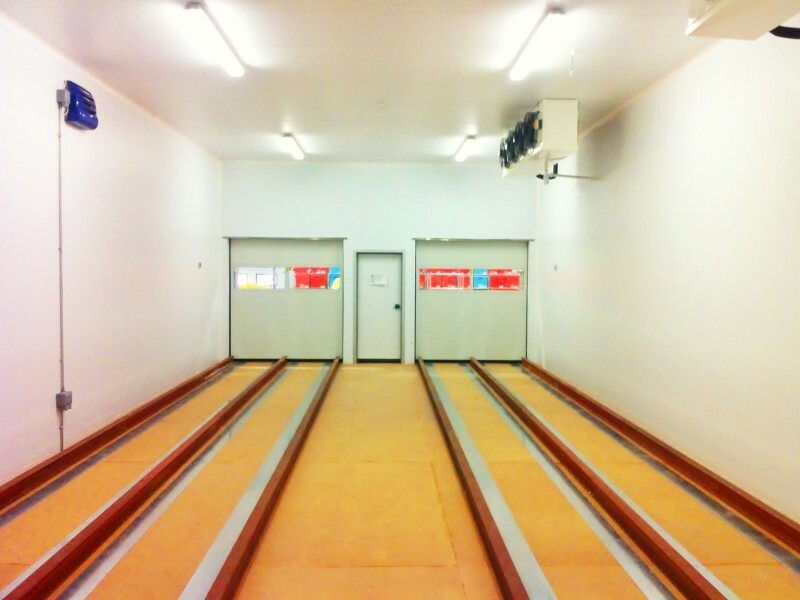 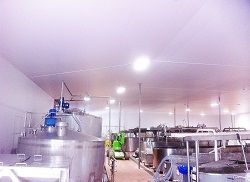 Create a hygienic food-safe food processing facility and coldstore. 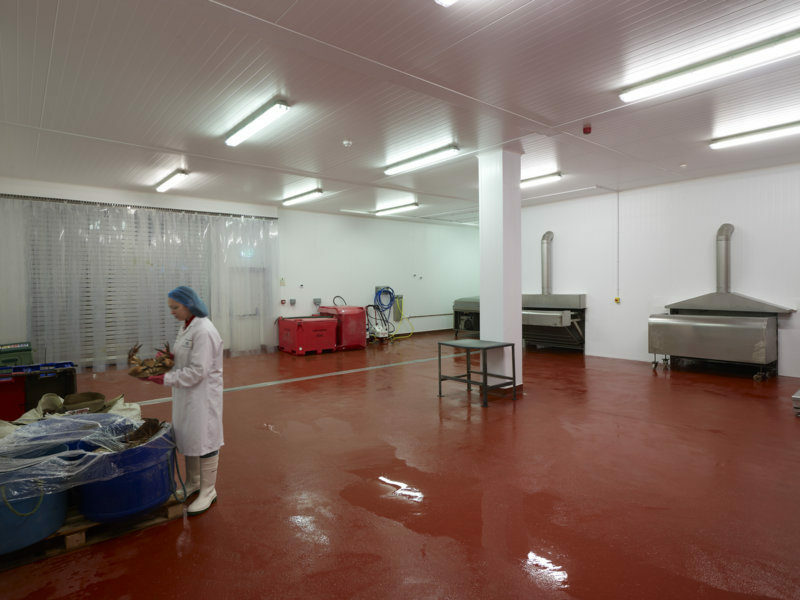 The build is an extension to an existing fresh food deli coldstore complex. 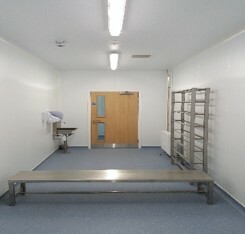 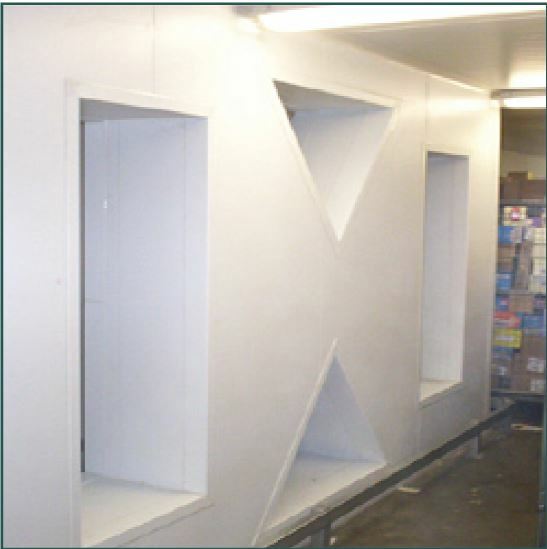 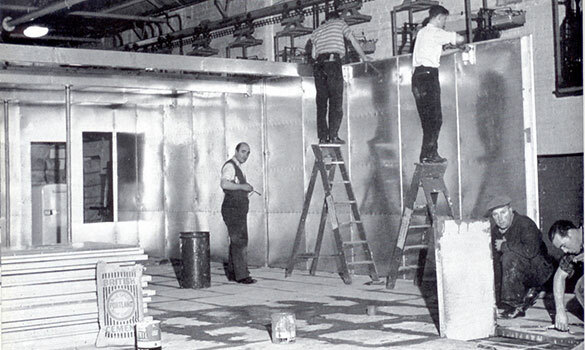 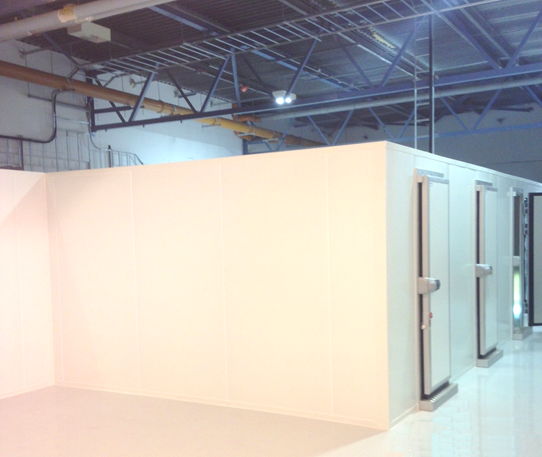 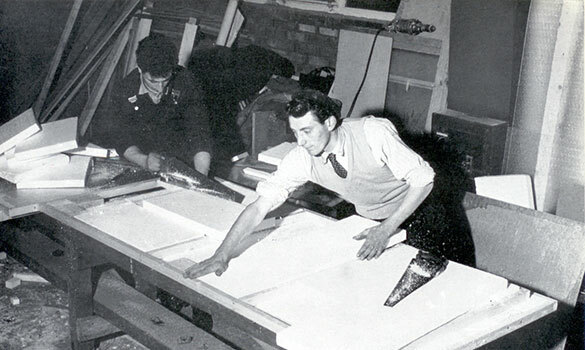 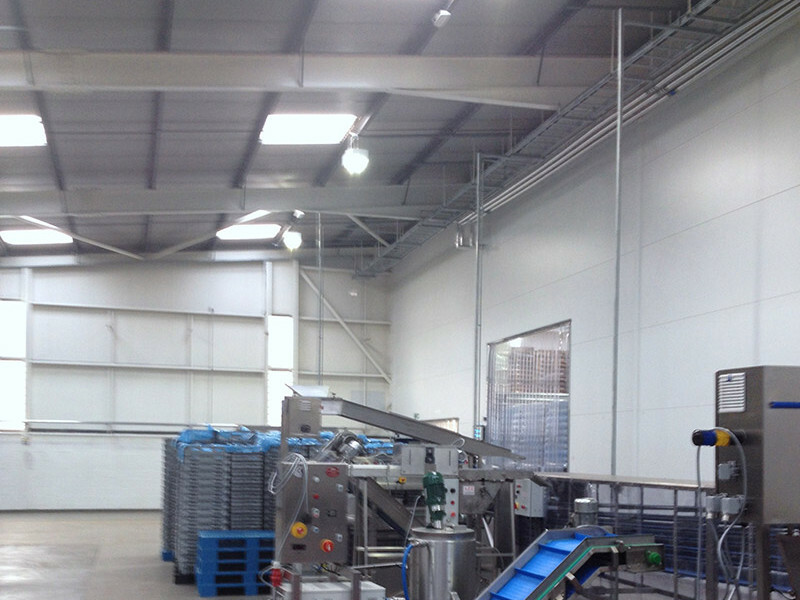 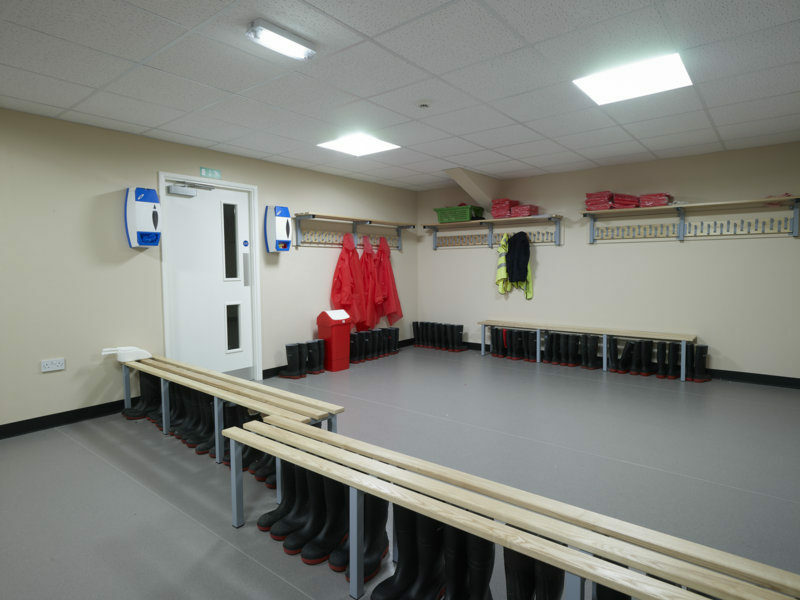 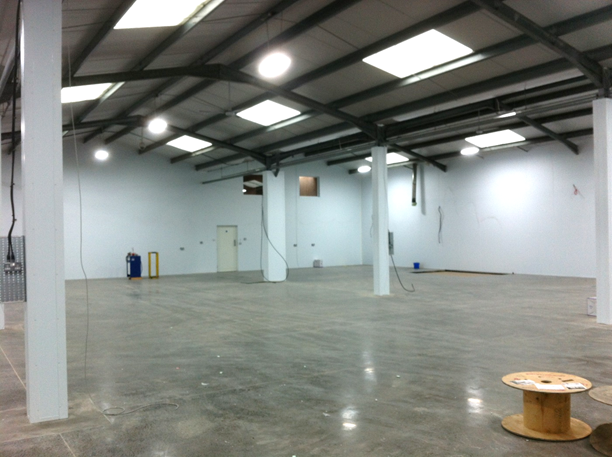 The design, supply and build also included refurbishing existing insulated panel walls and ceilings.